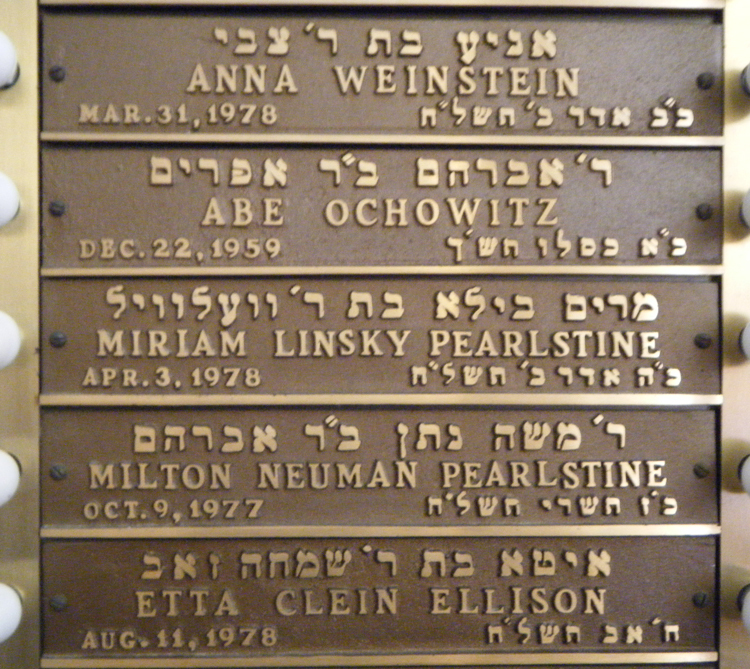 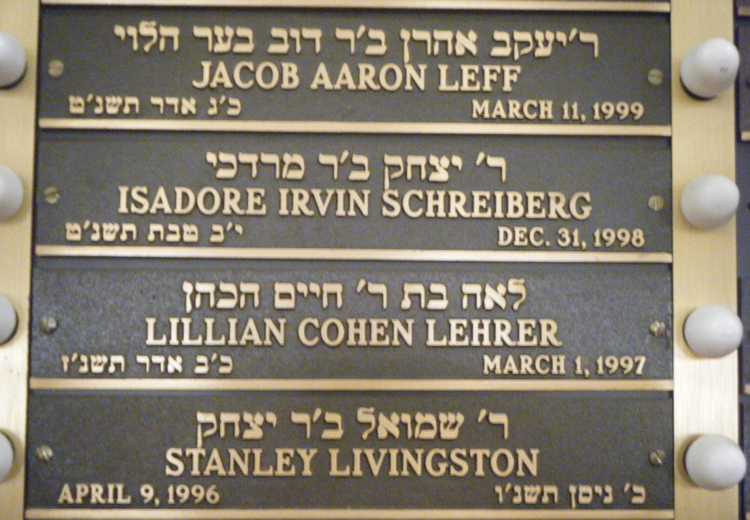 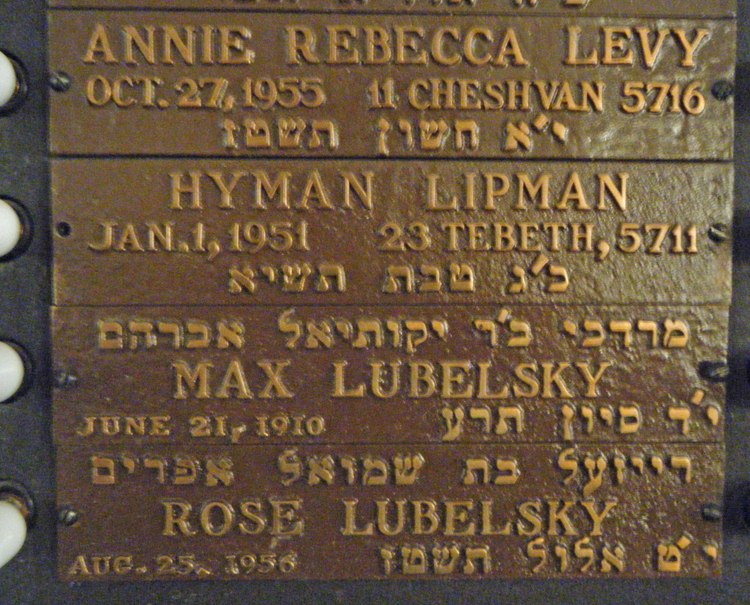 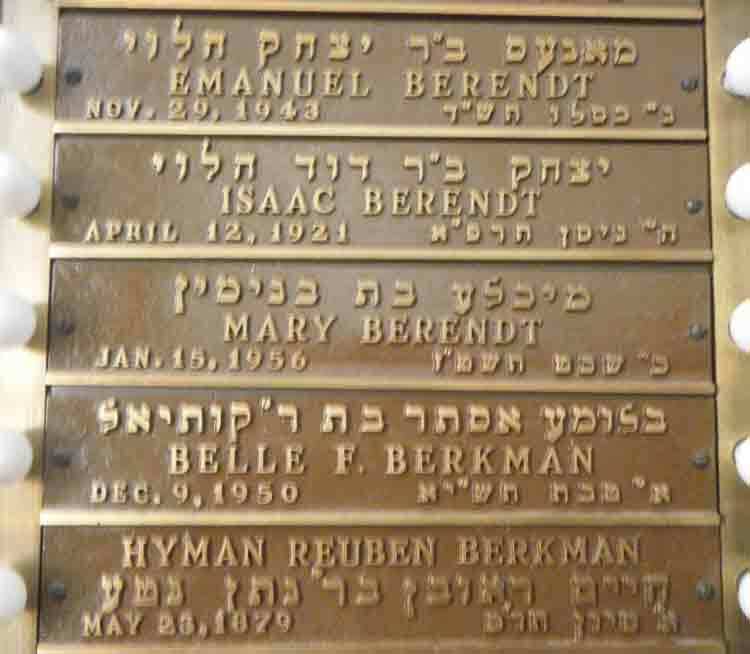 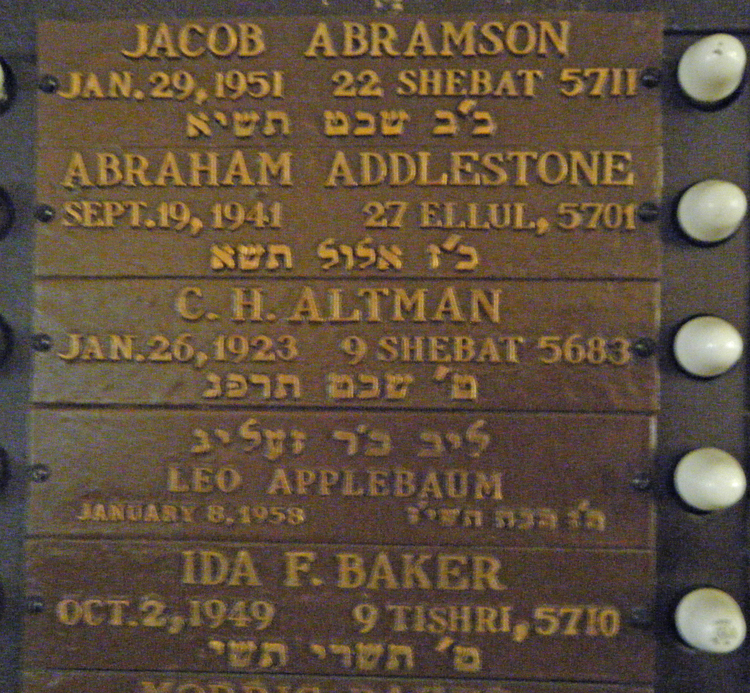 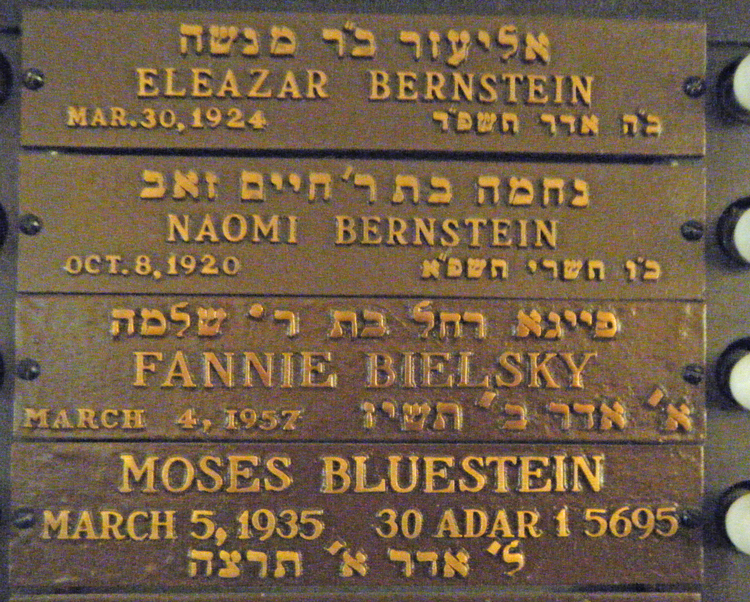 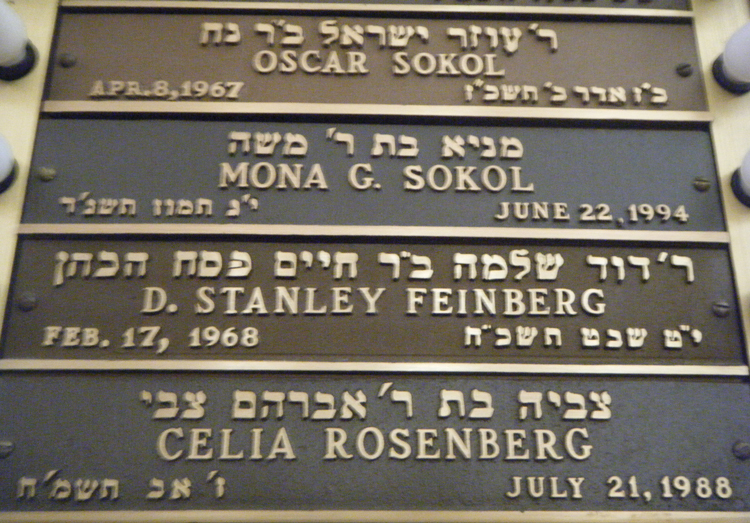 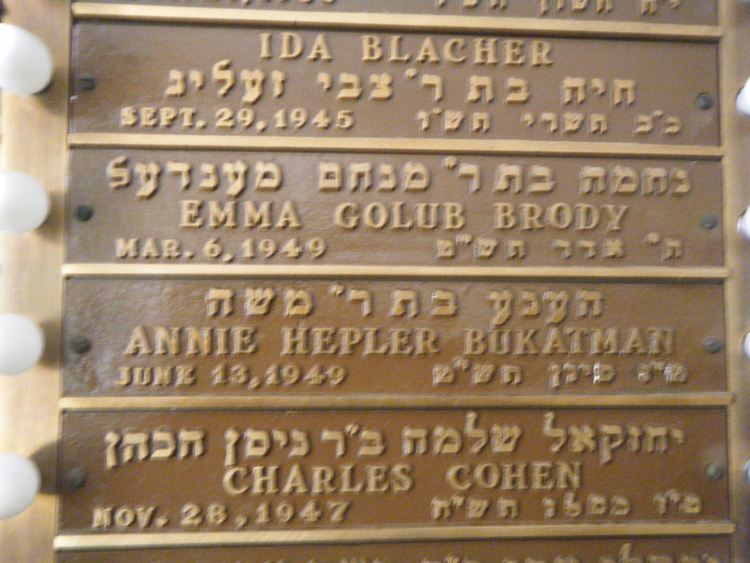 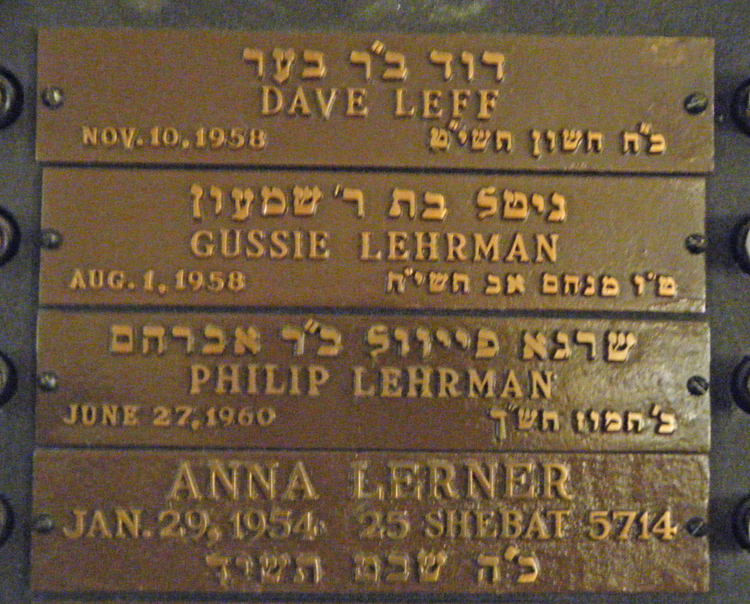 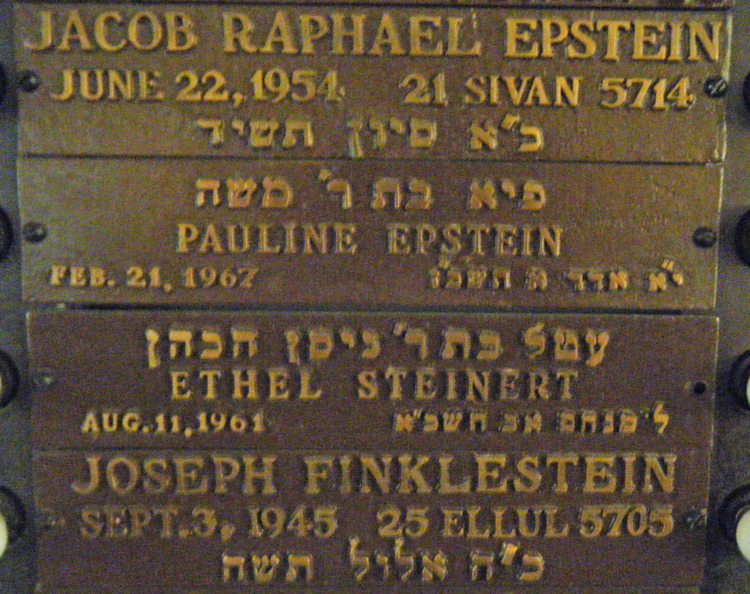 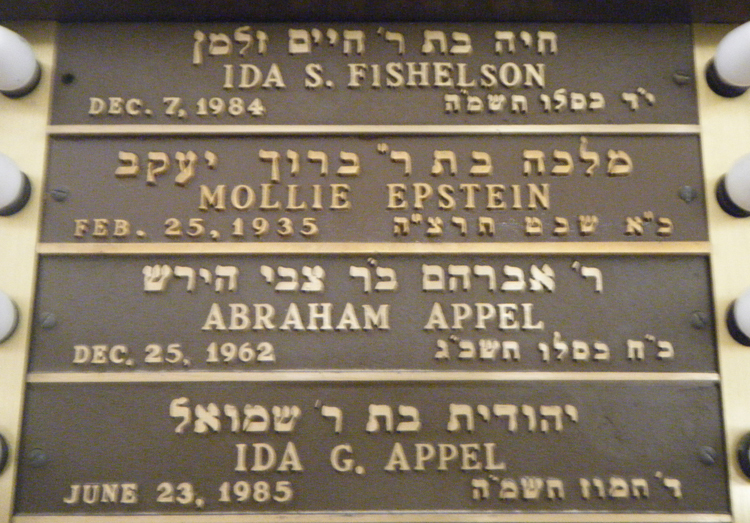 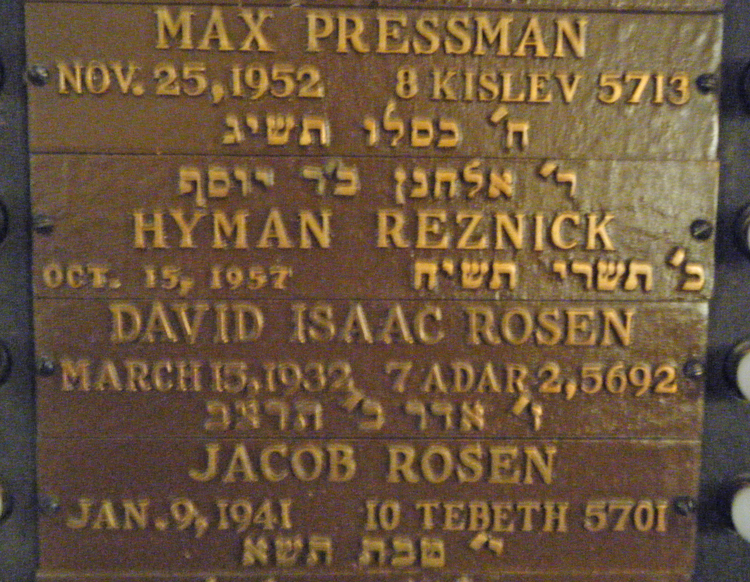 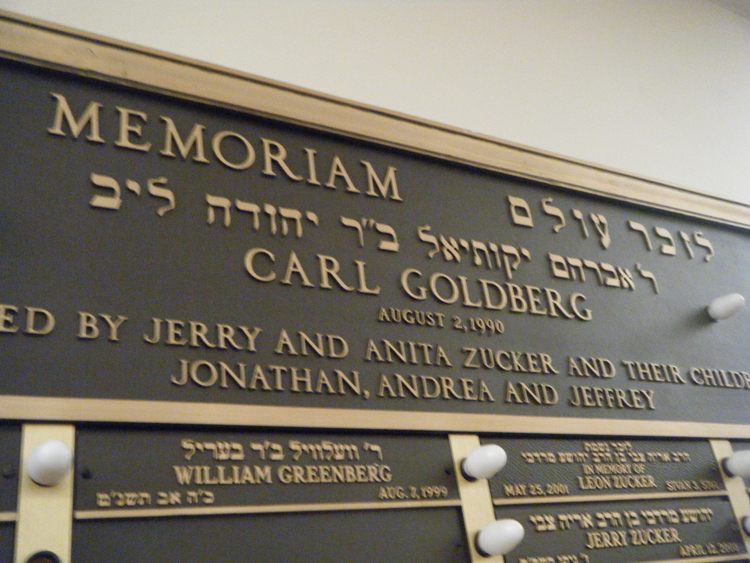 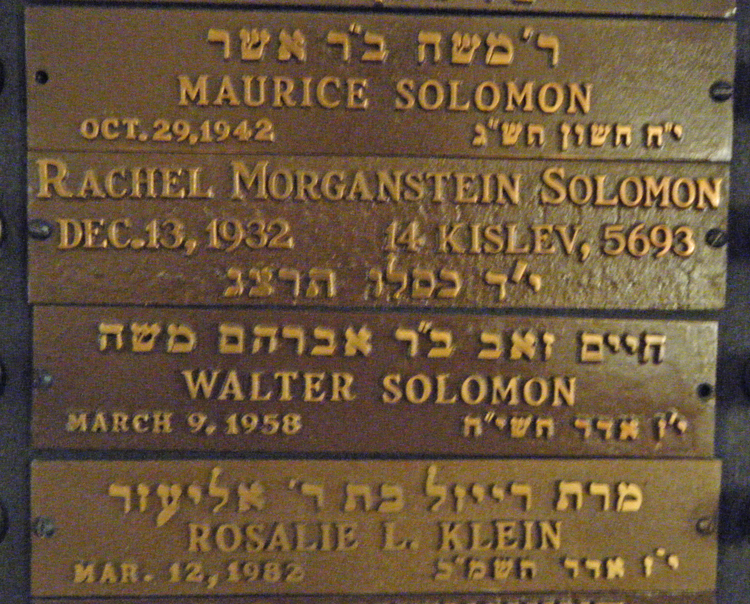 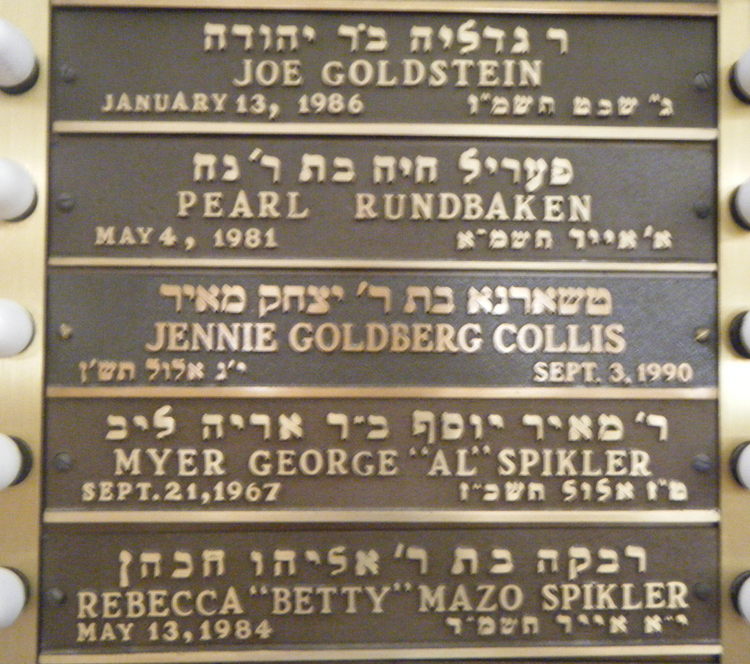 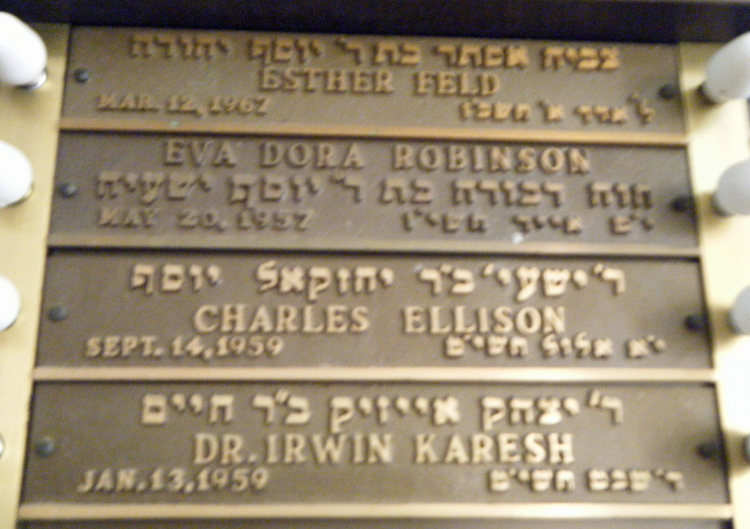 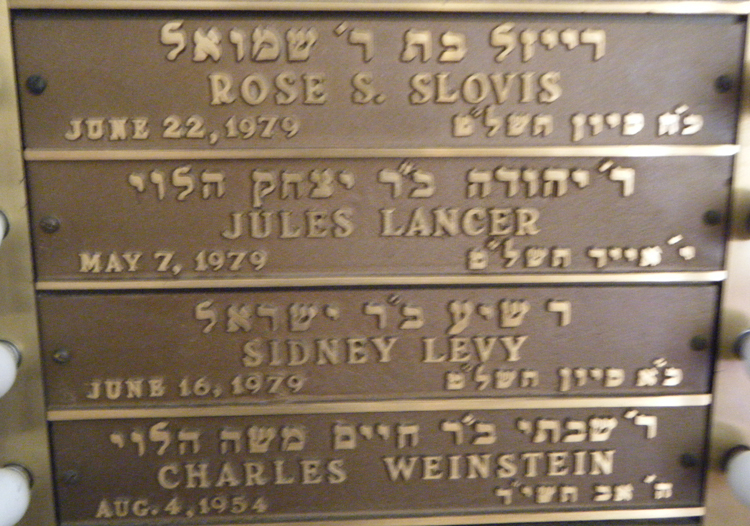 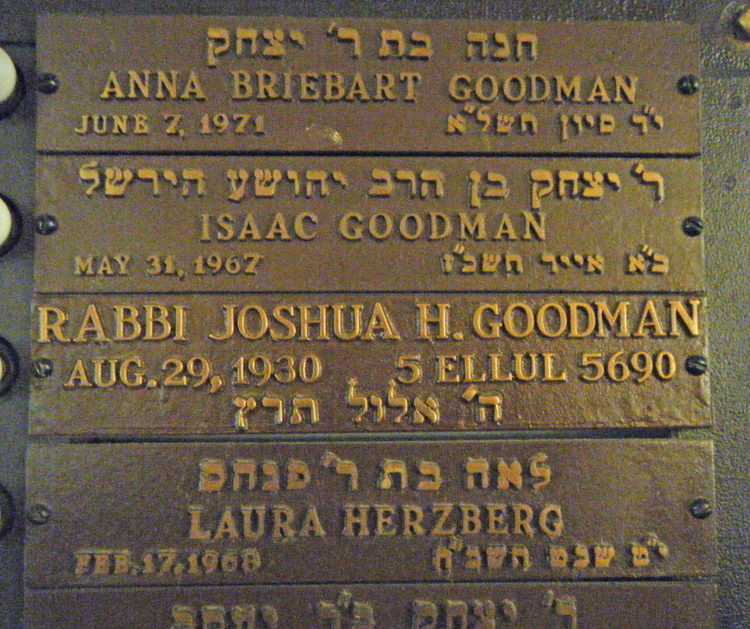 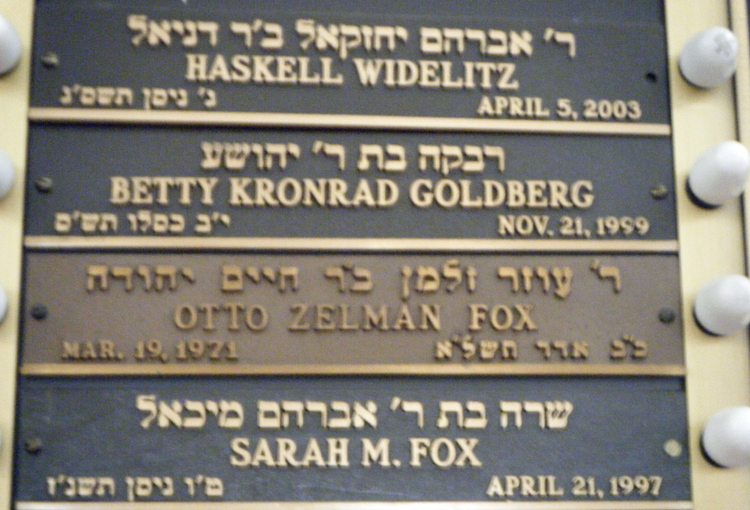 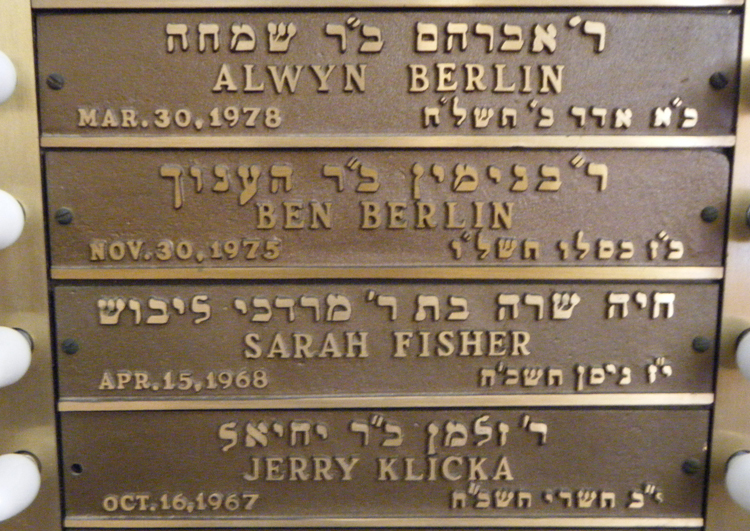 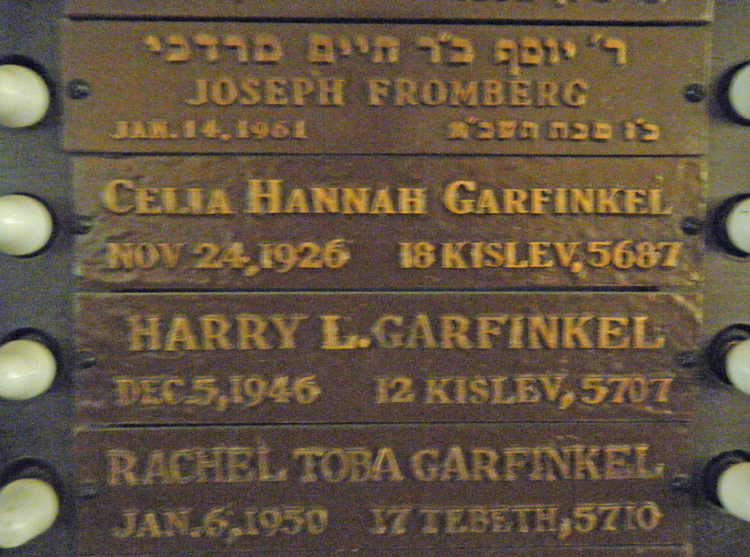 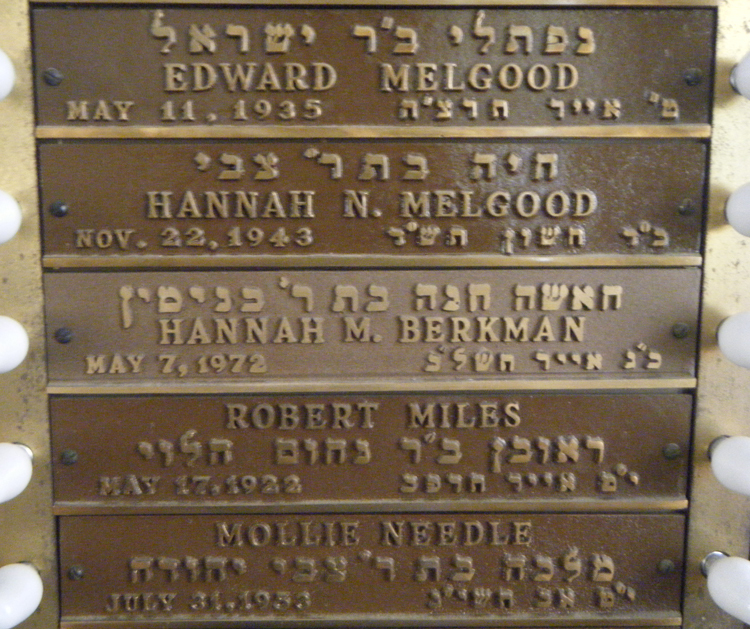 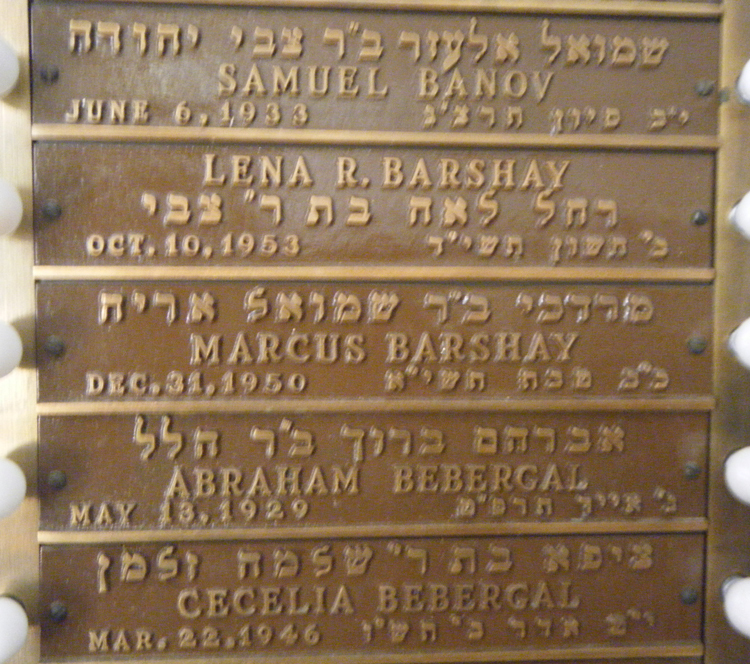 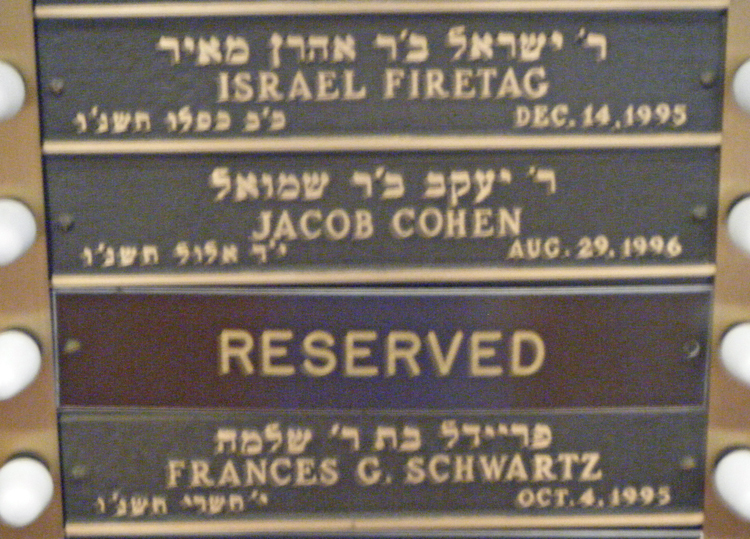 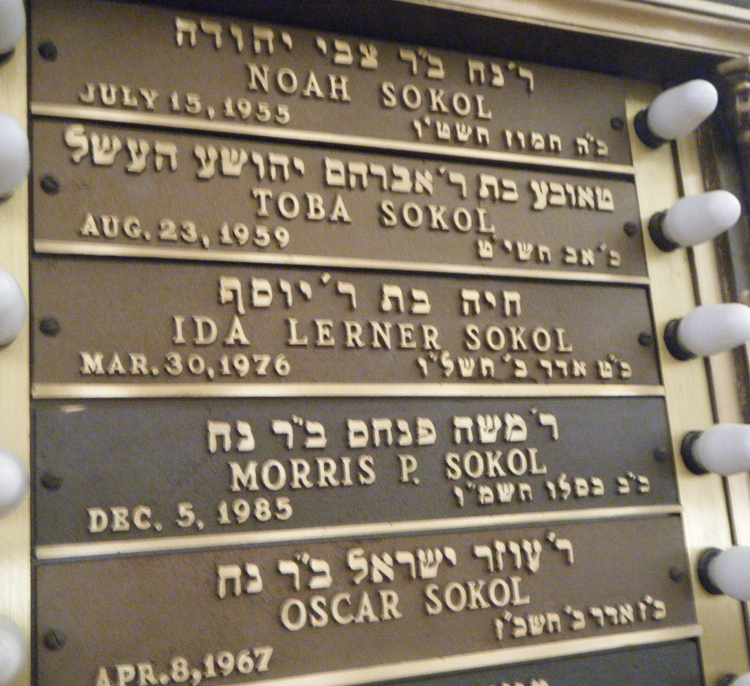 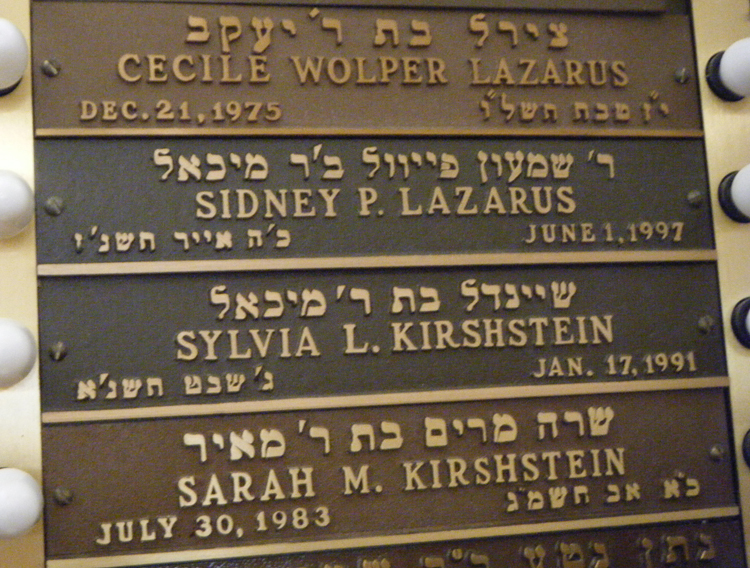 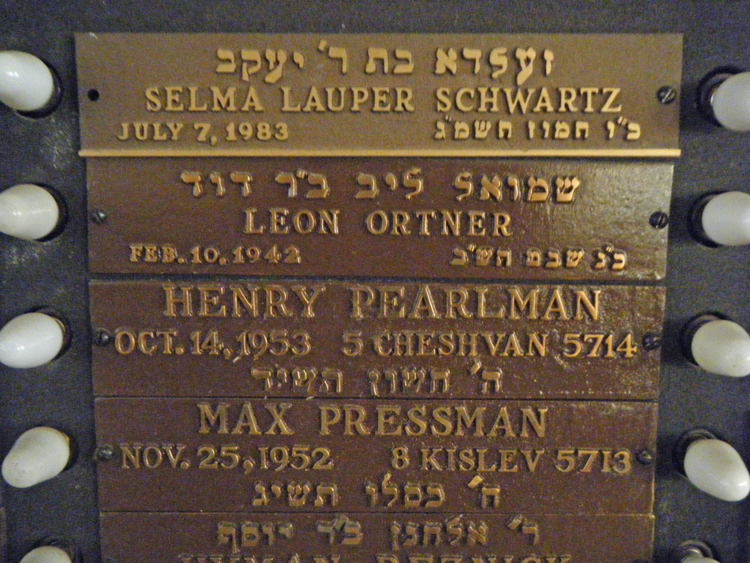 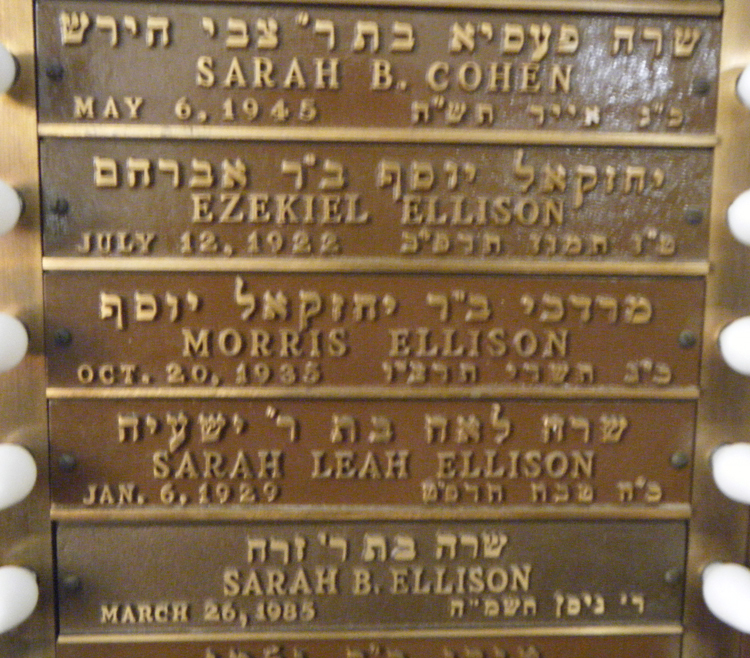 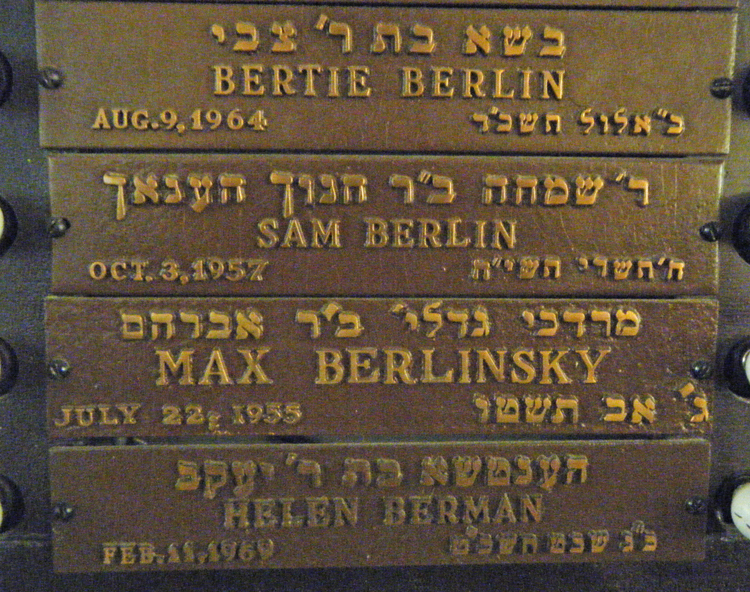 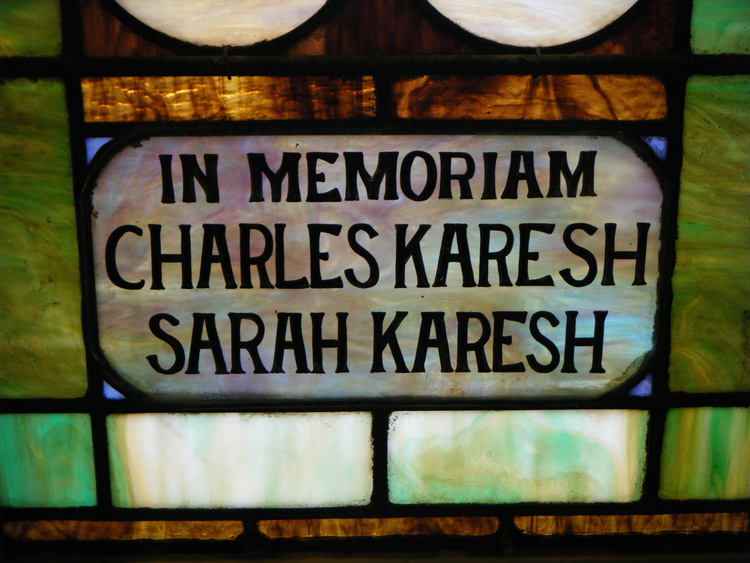 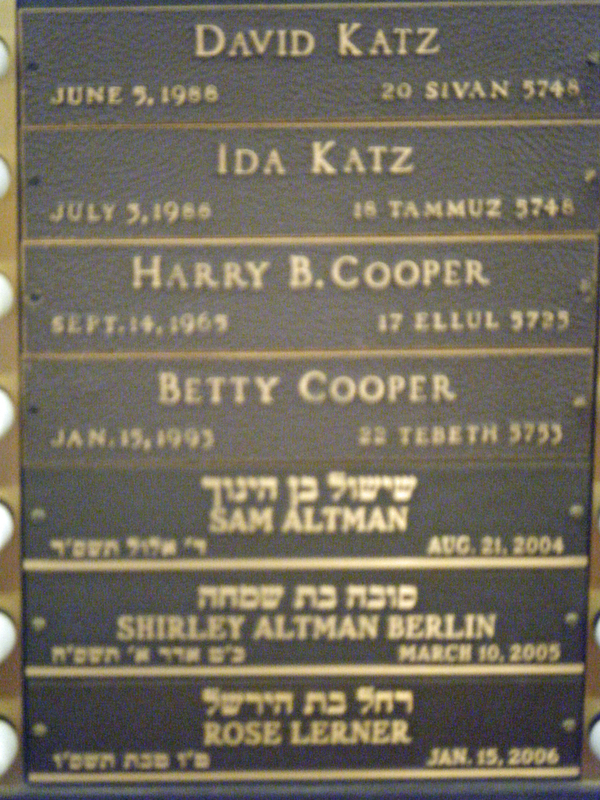 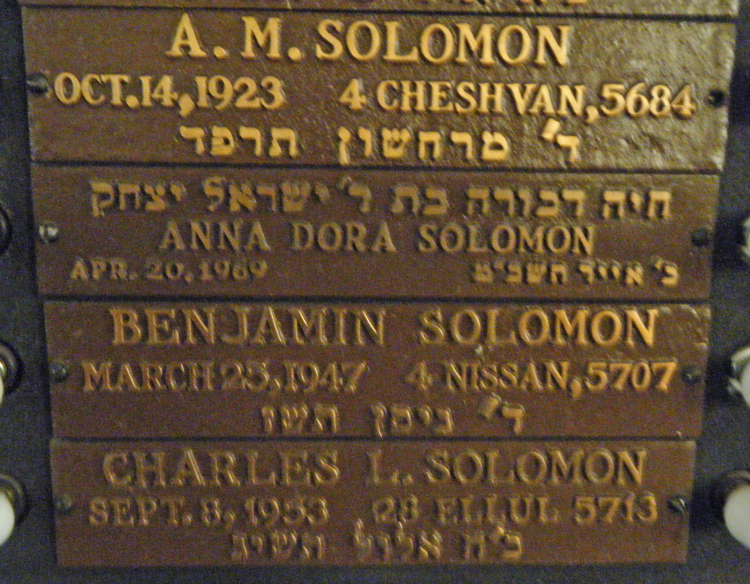 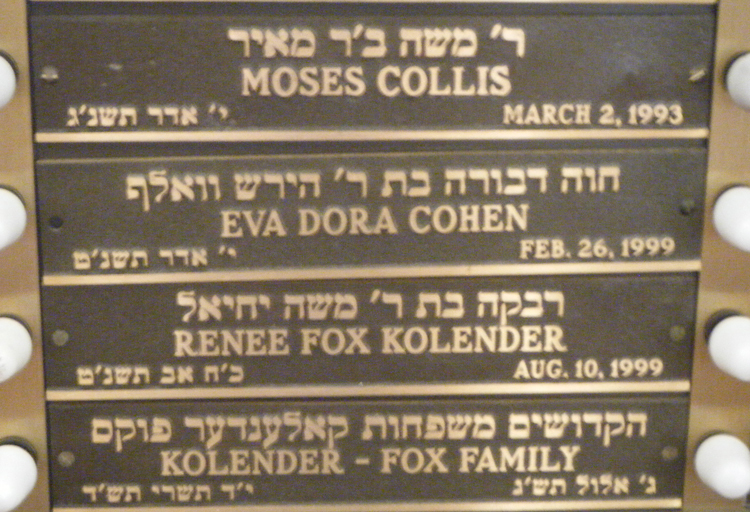 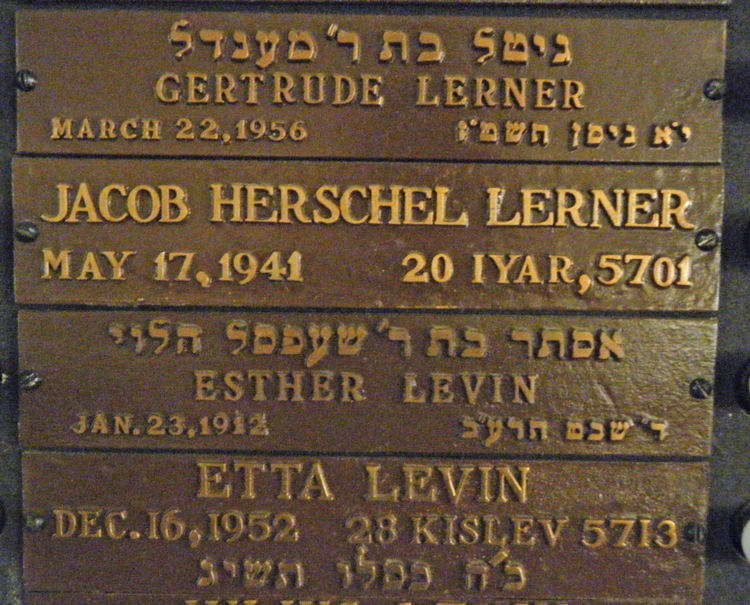 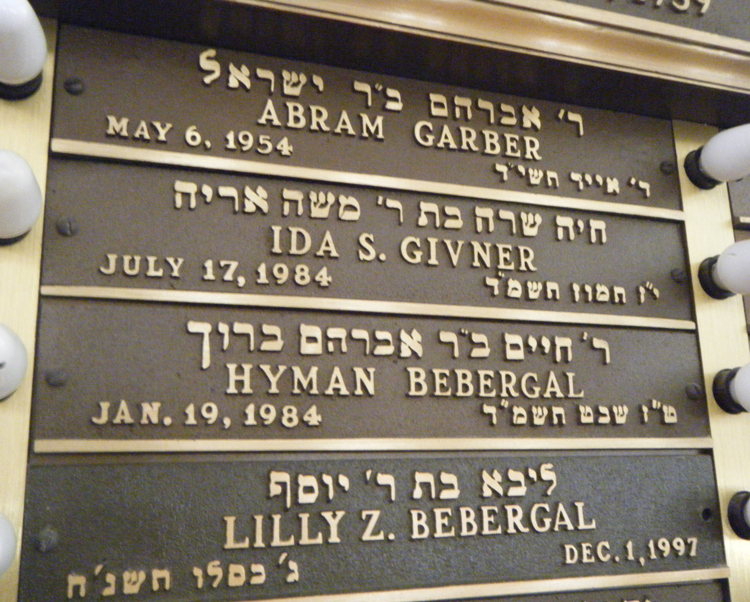 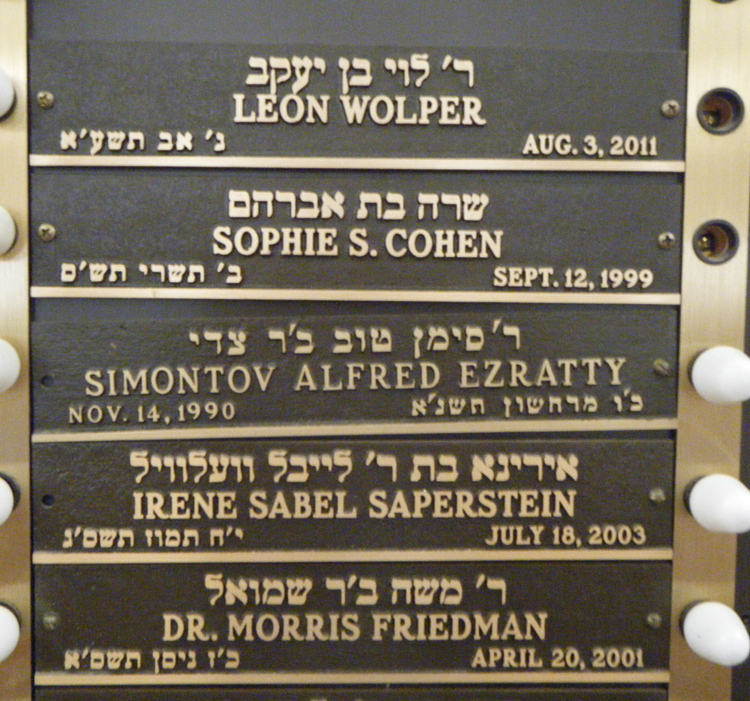 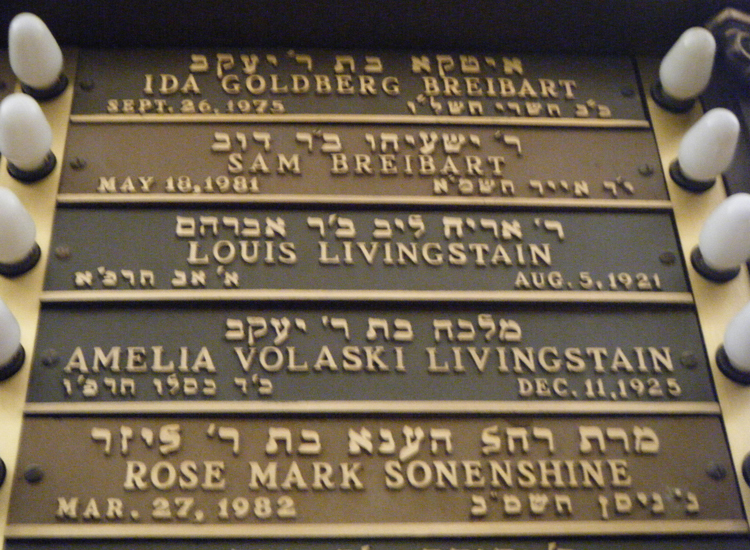 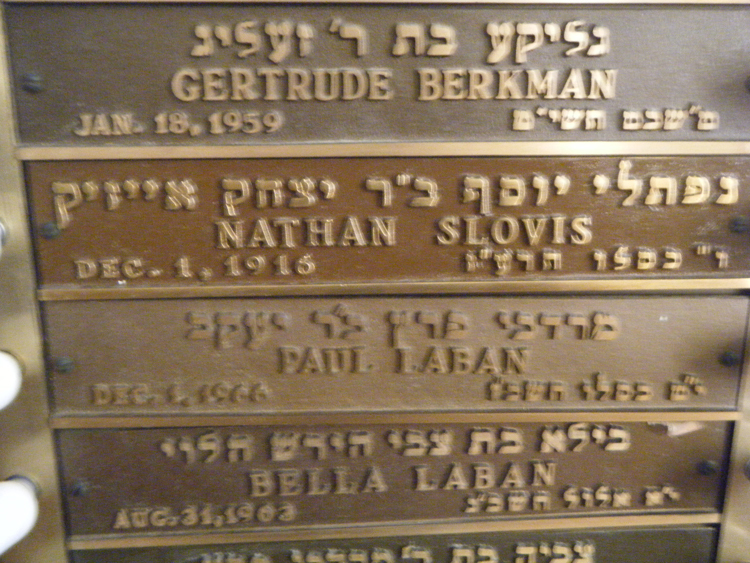 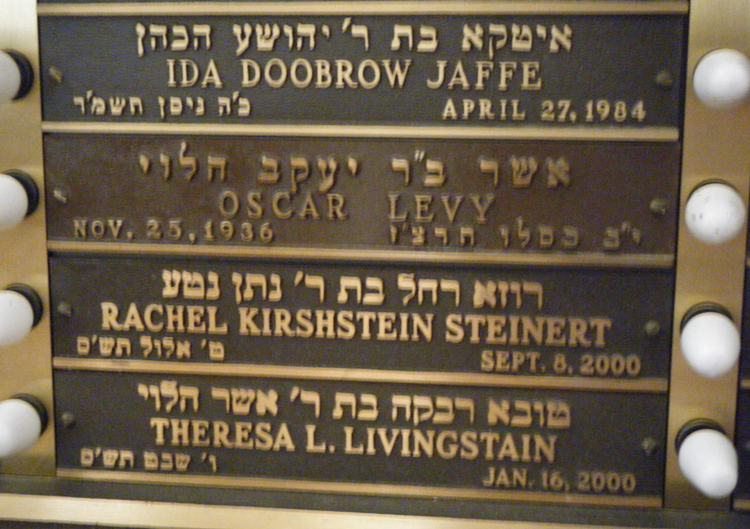 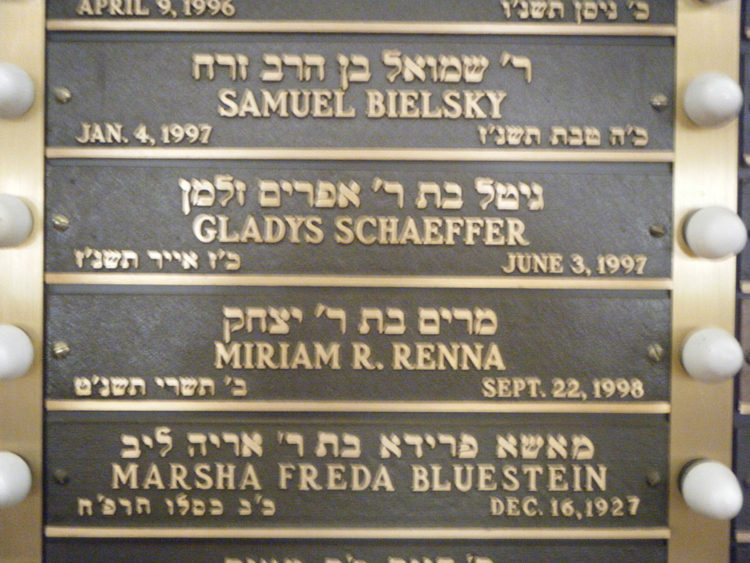 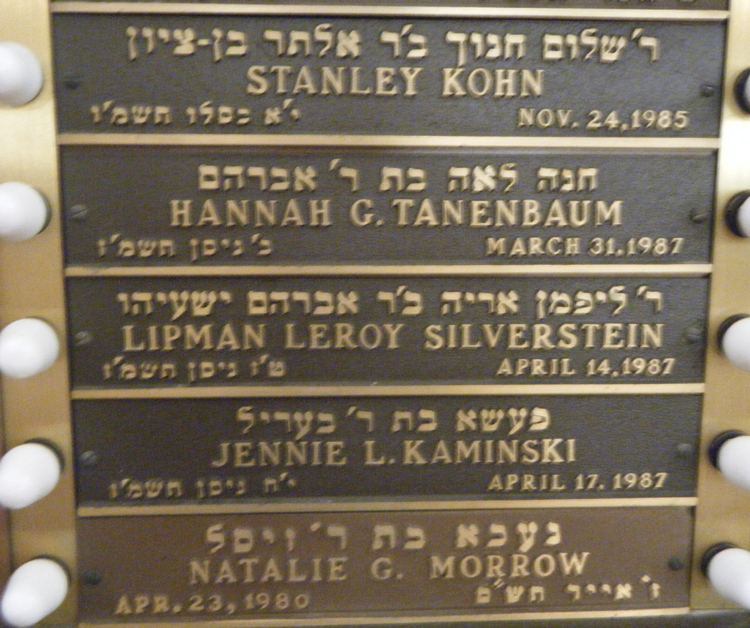 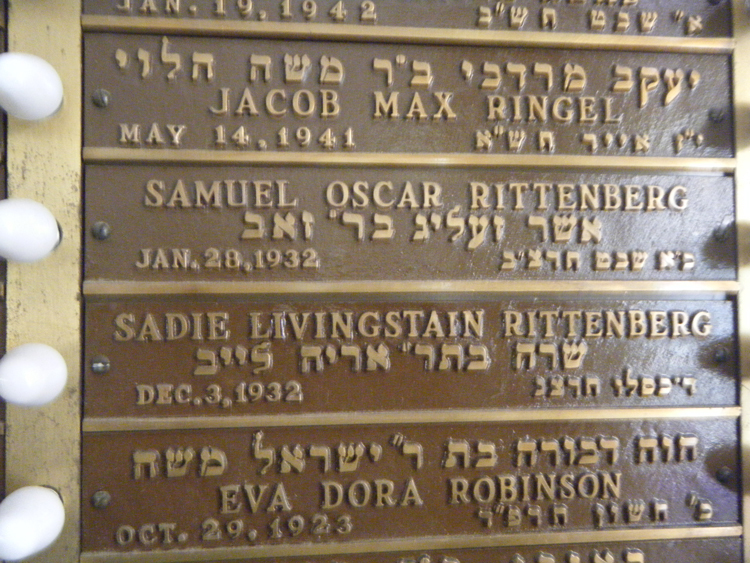 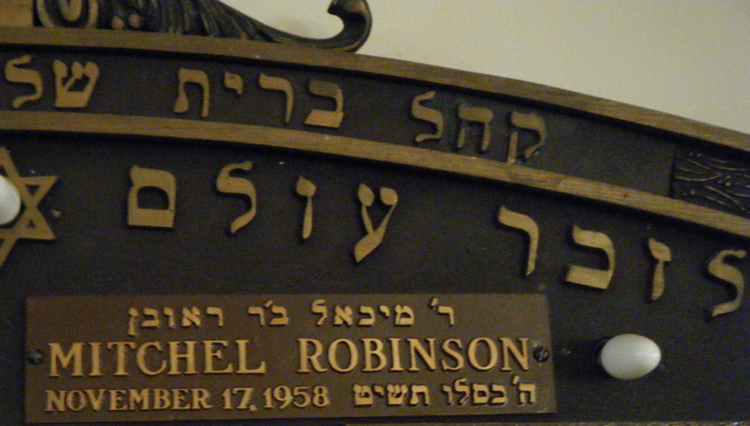 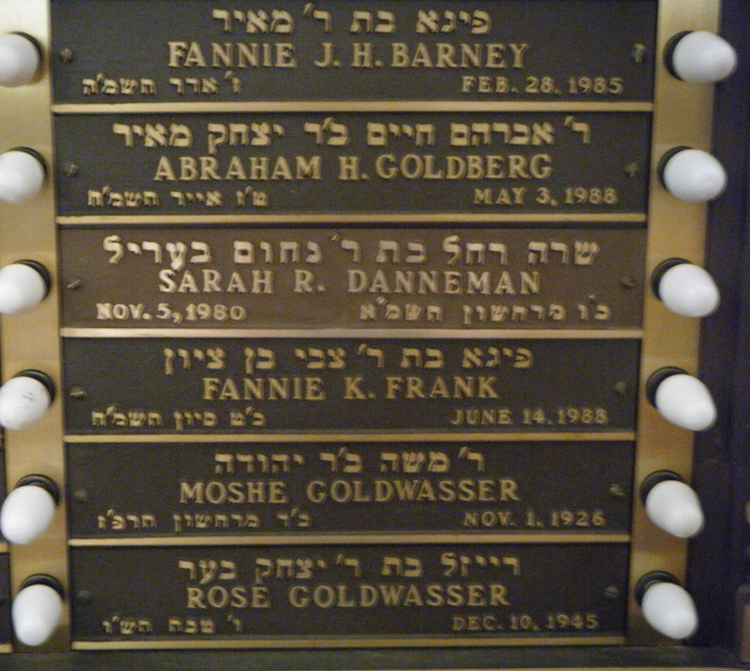 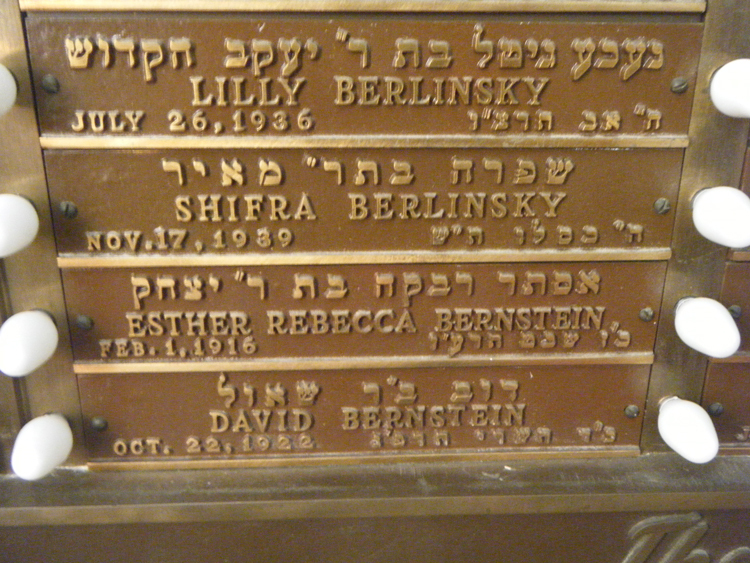 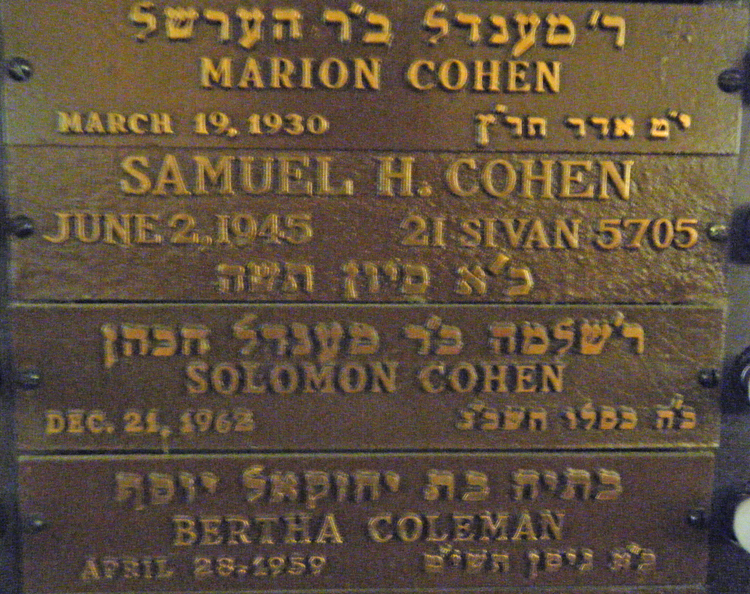 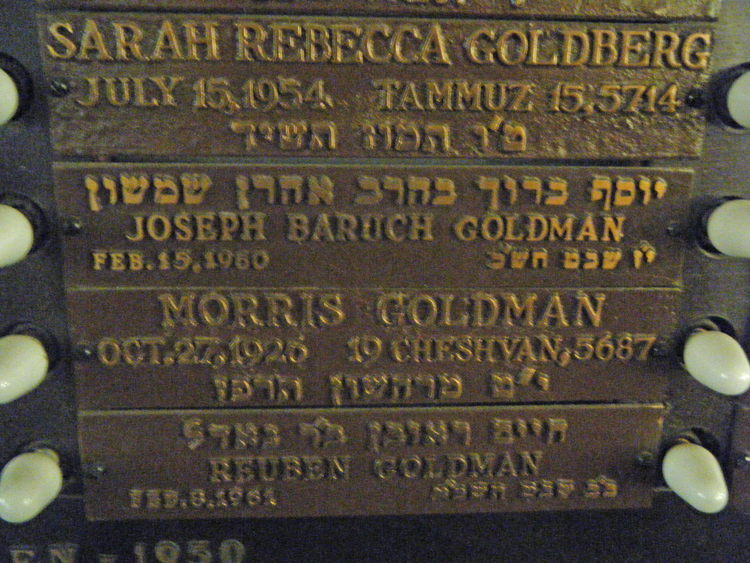 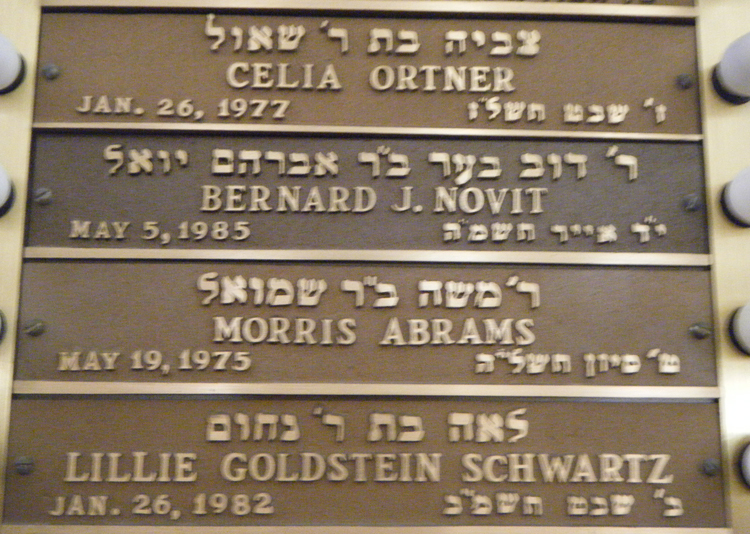 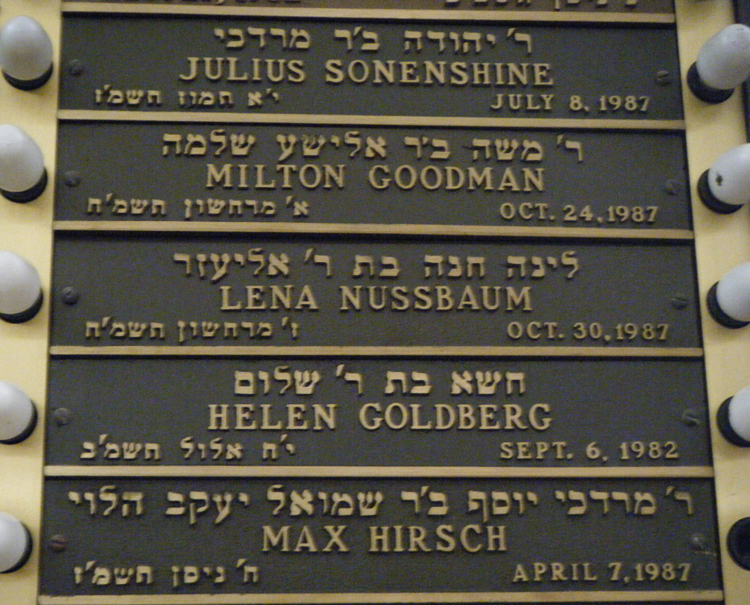 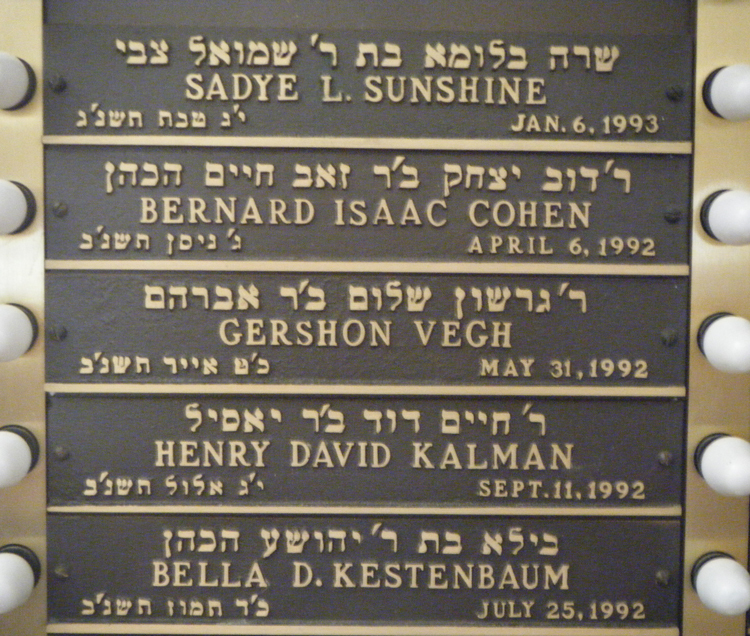 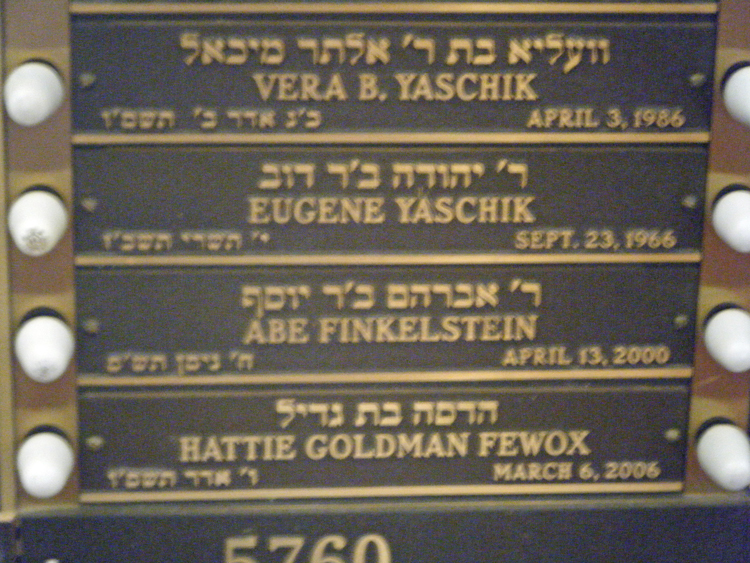 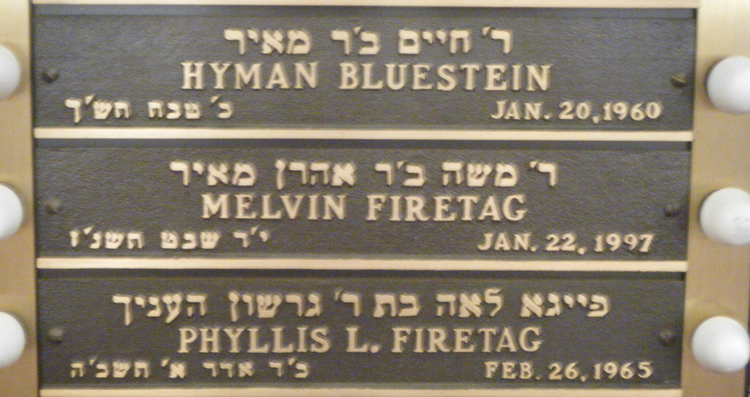 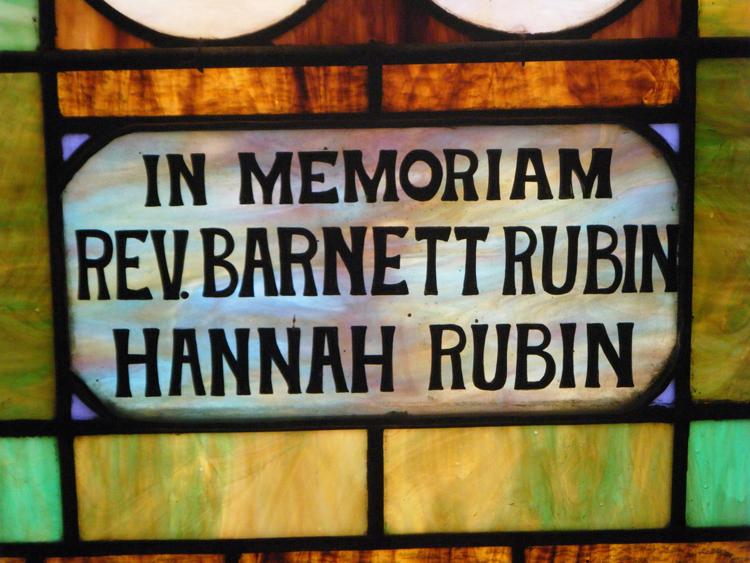 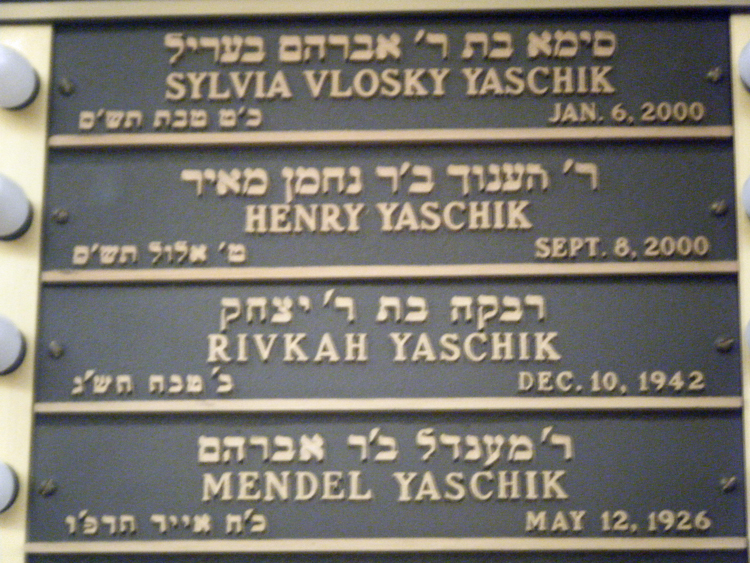 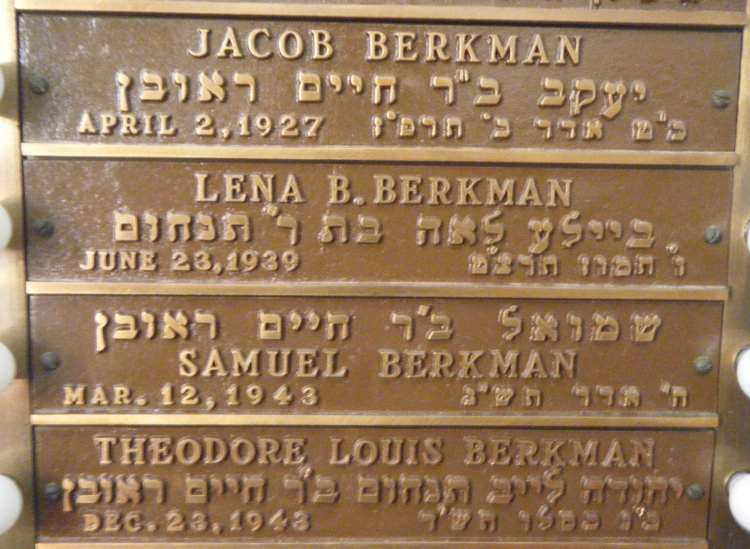 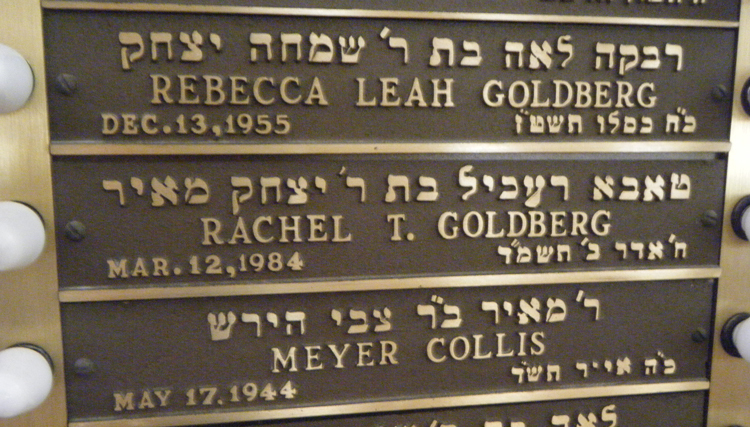 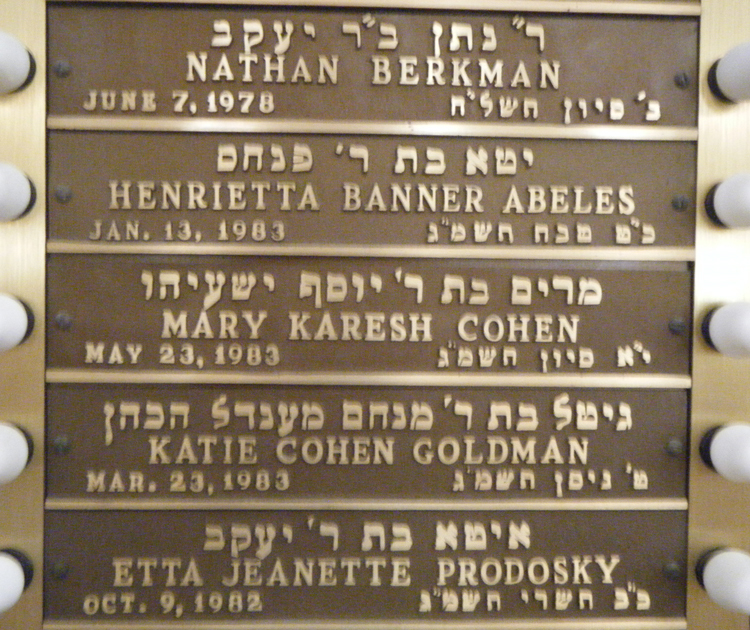 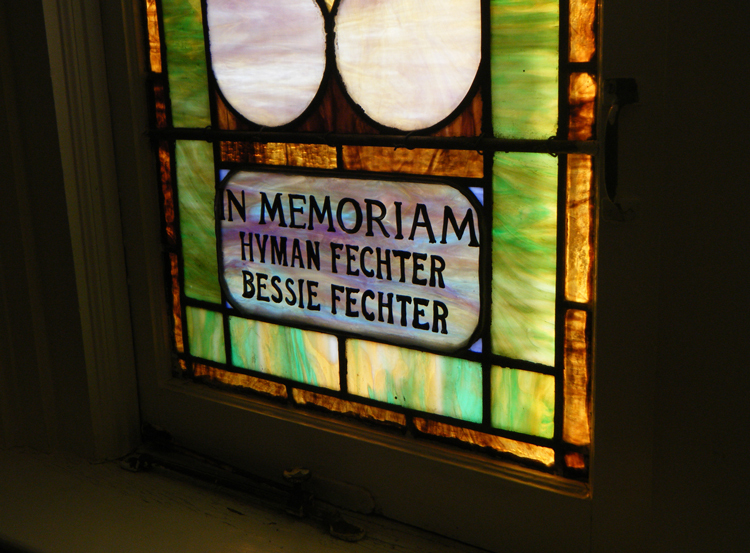 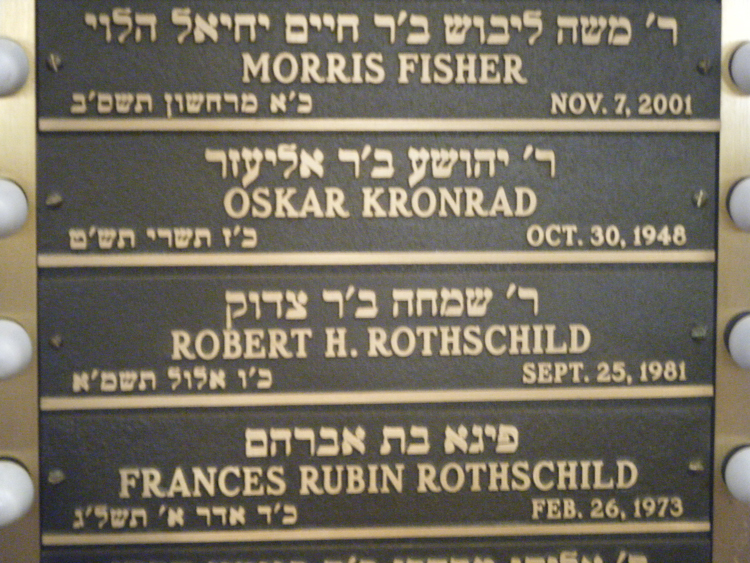 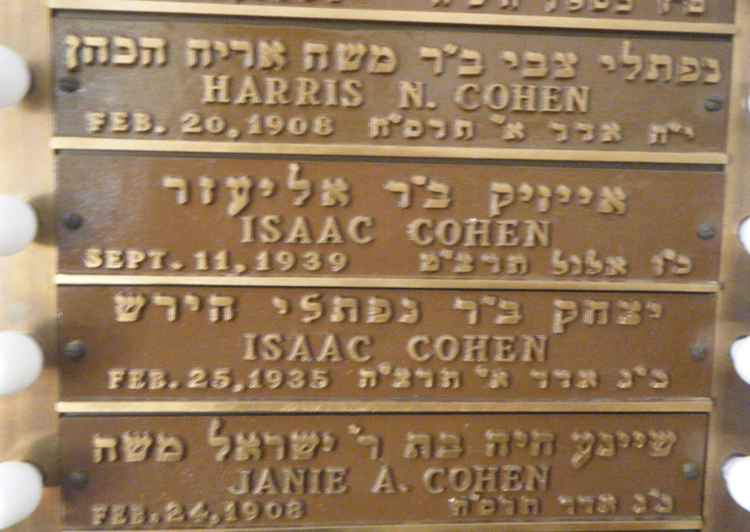 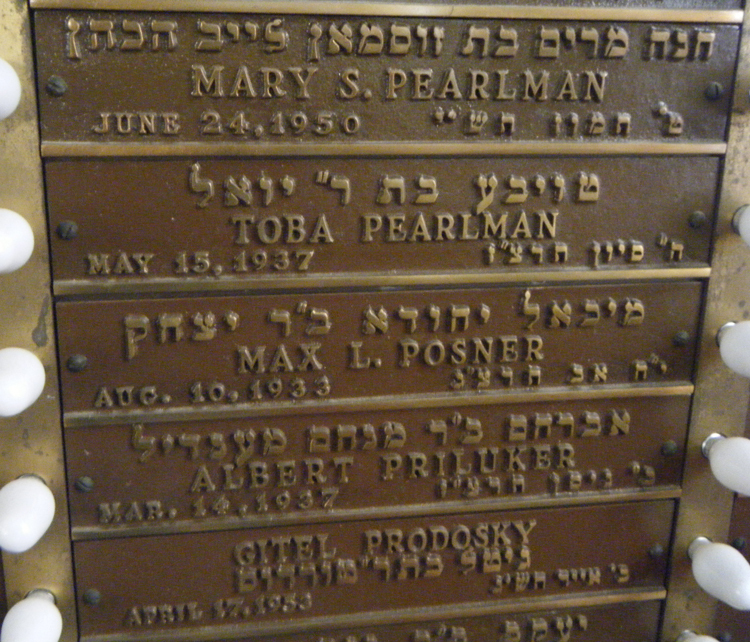 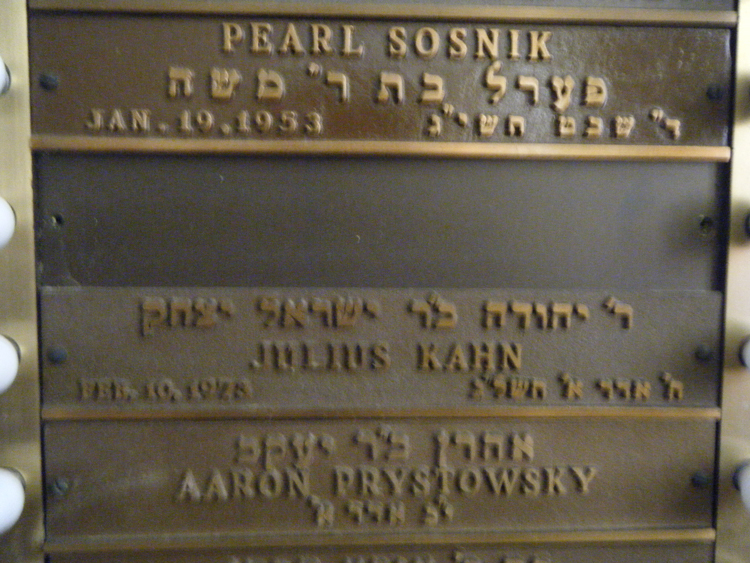 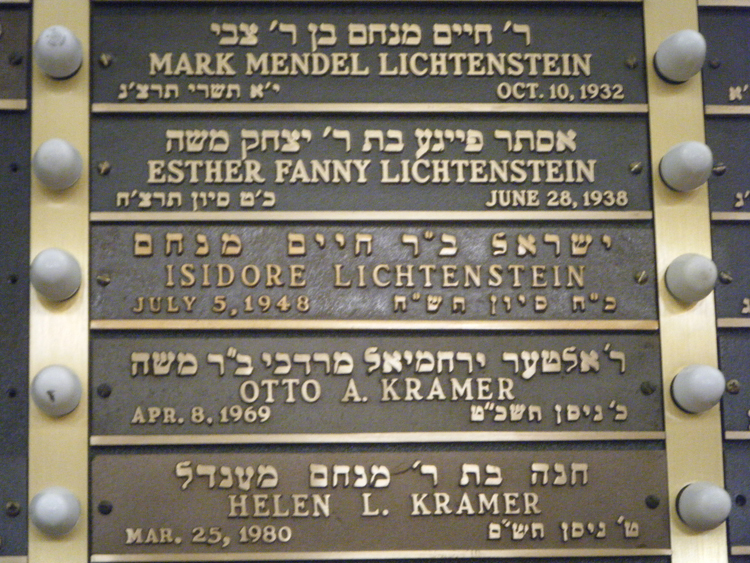 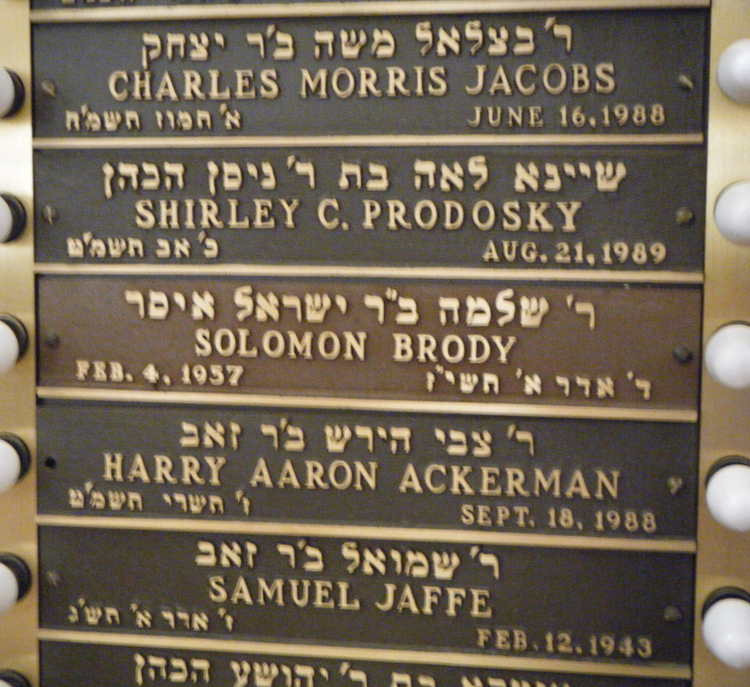 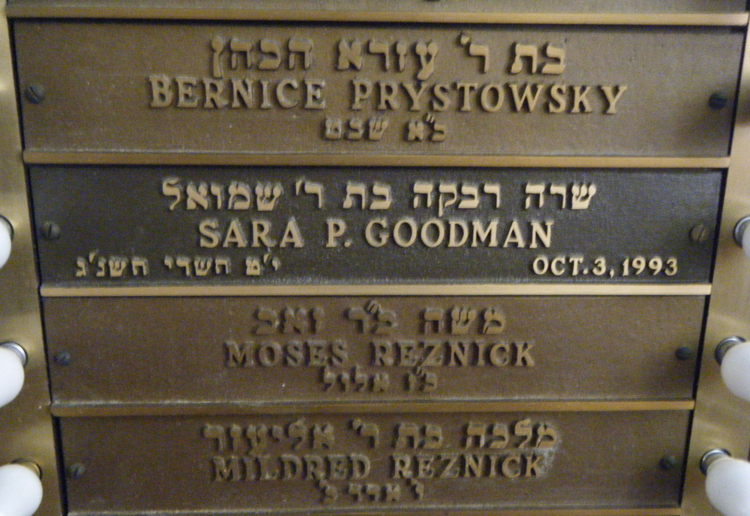 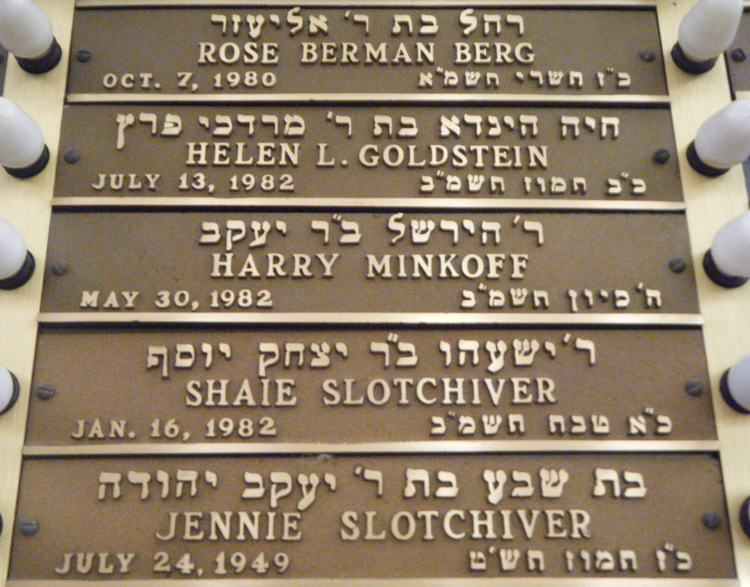 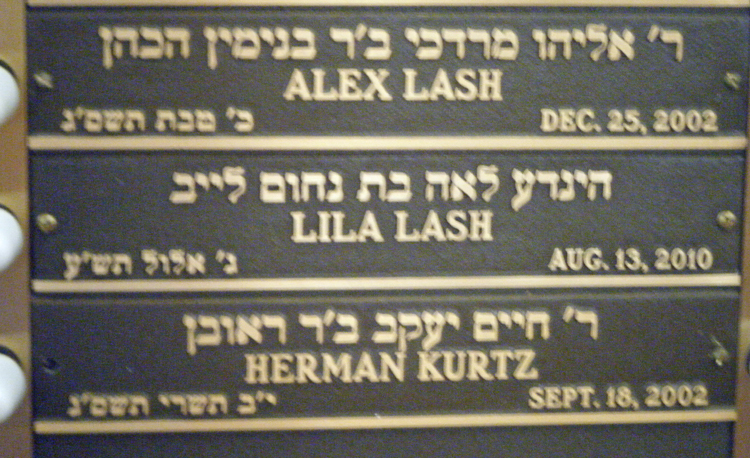 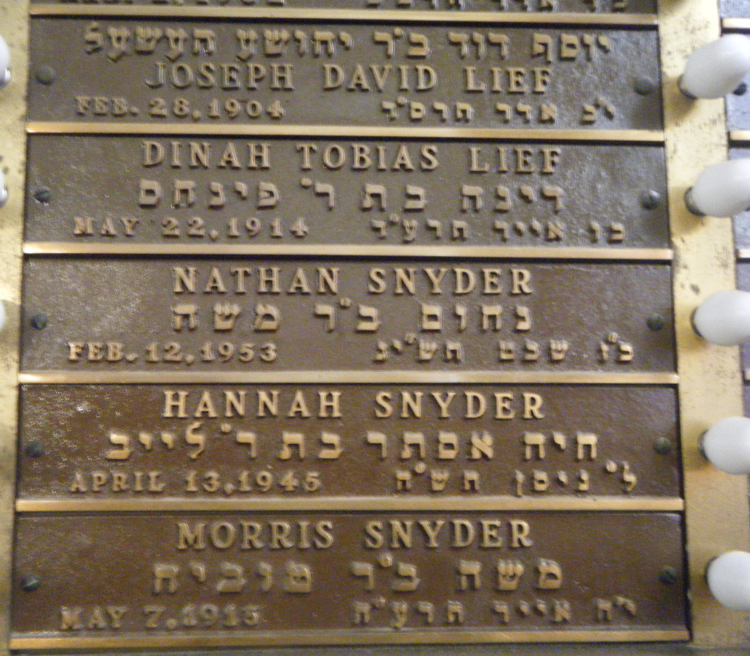 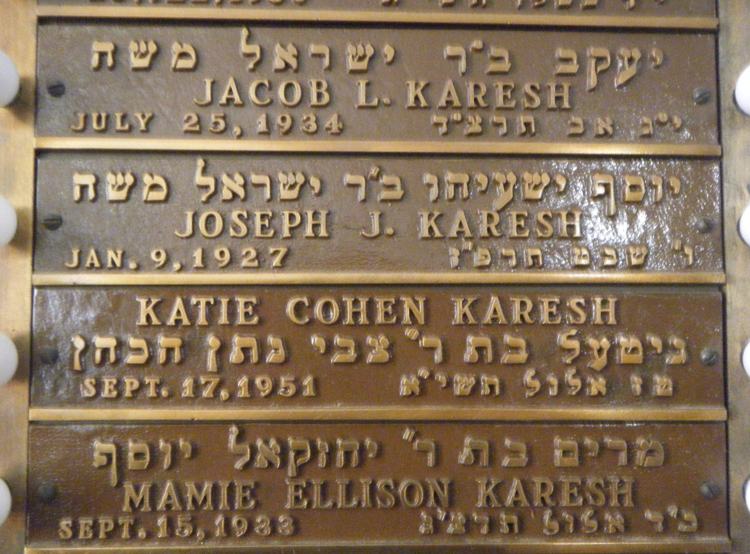 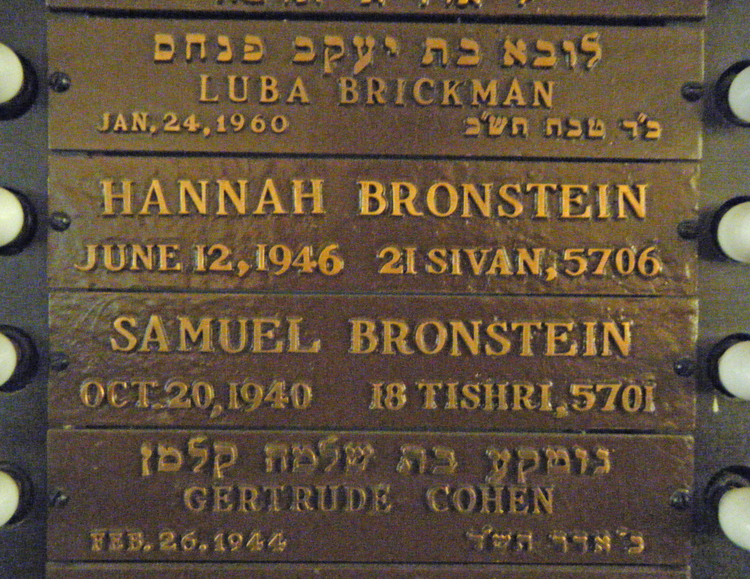 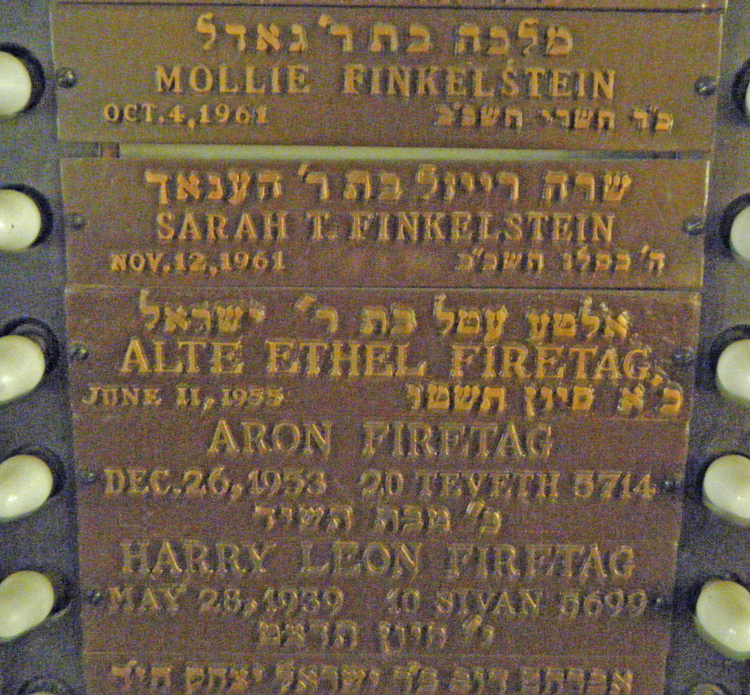 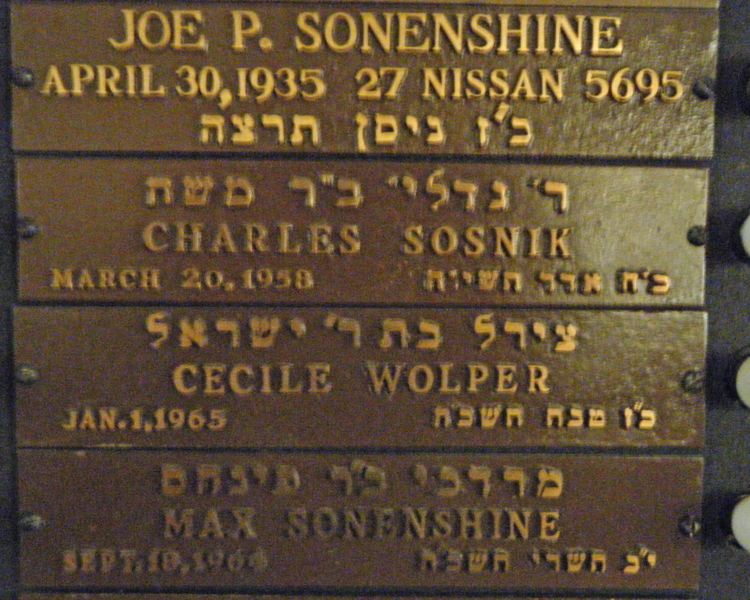 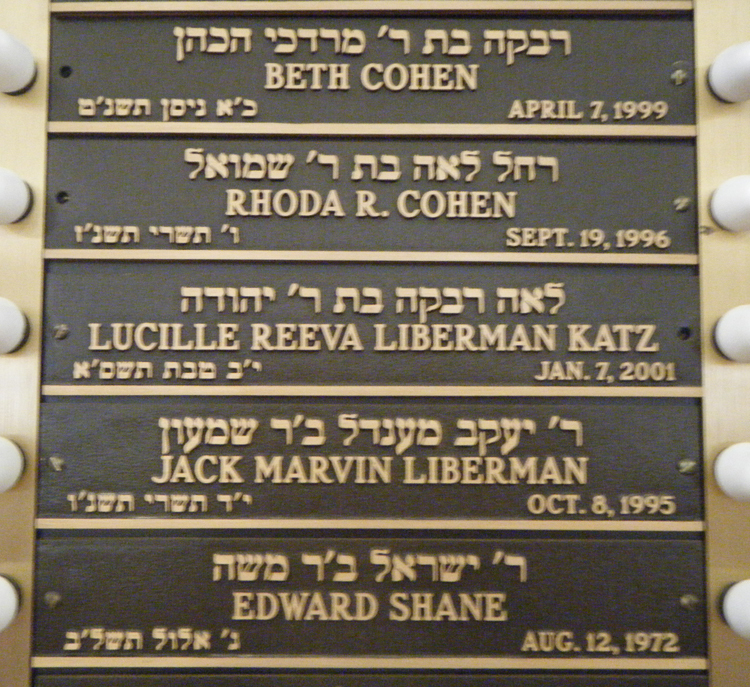 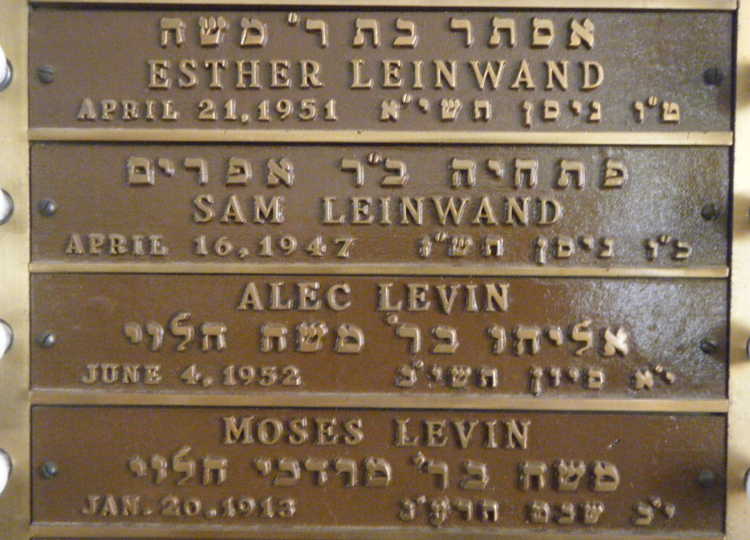 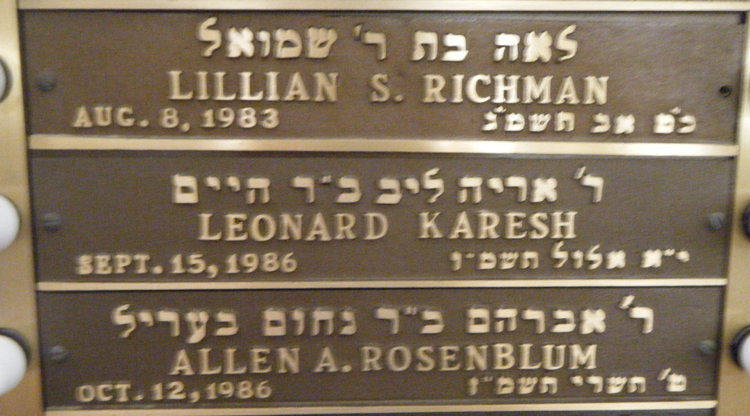 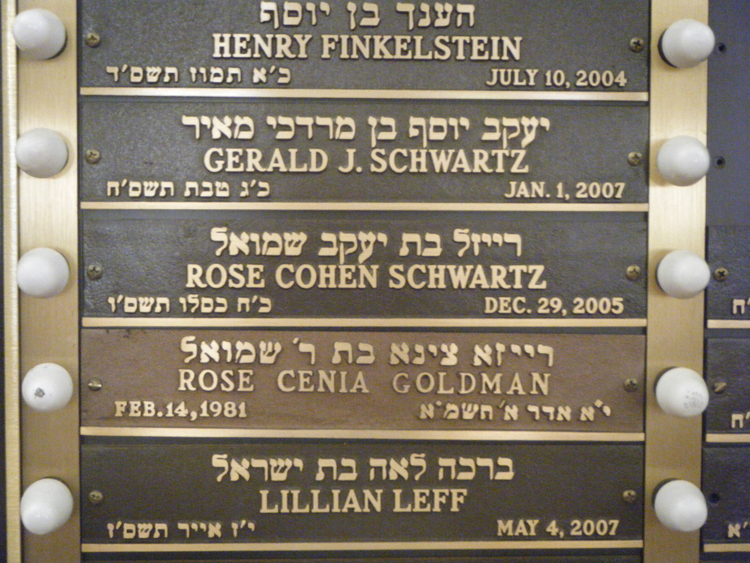 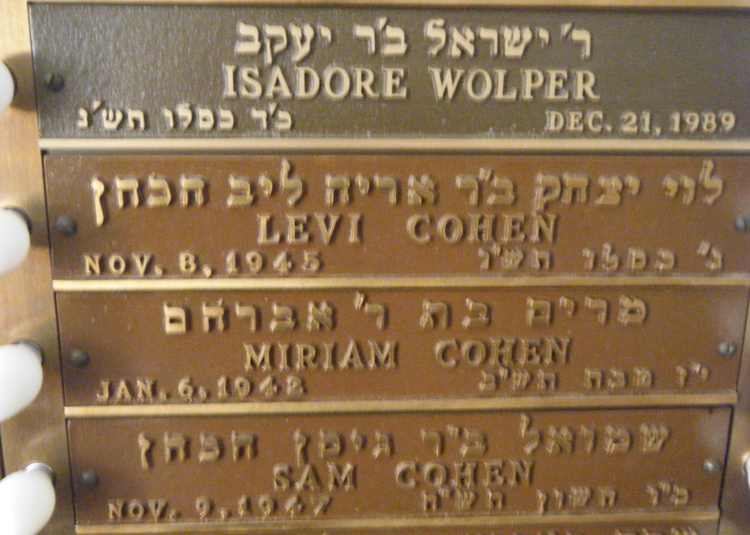 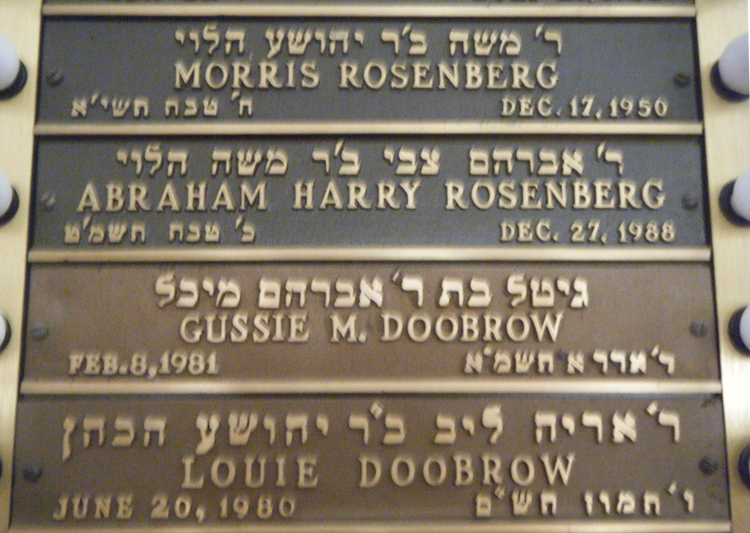 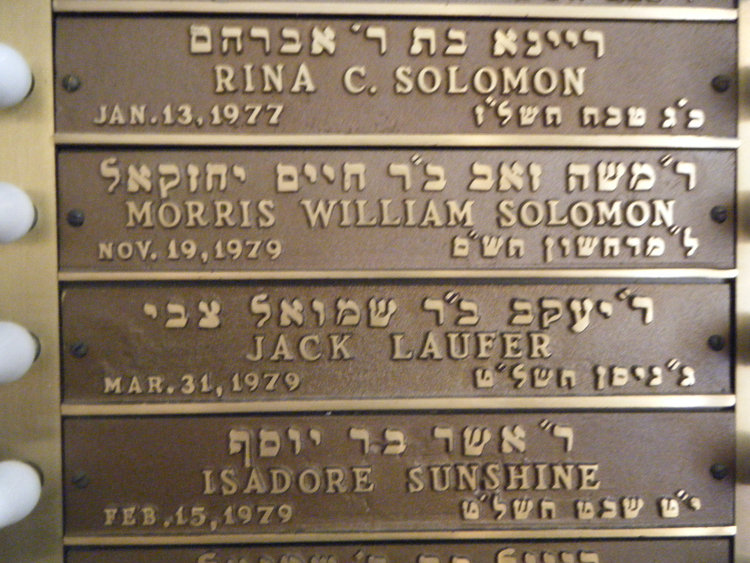 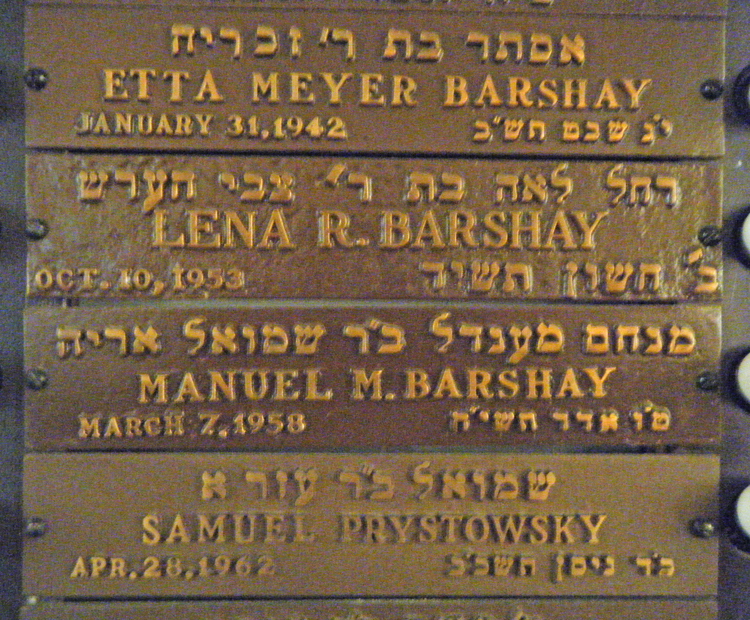 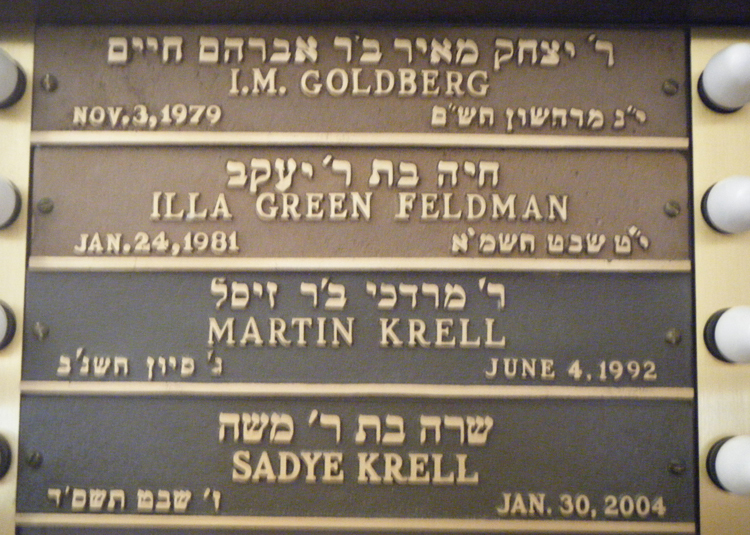 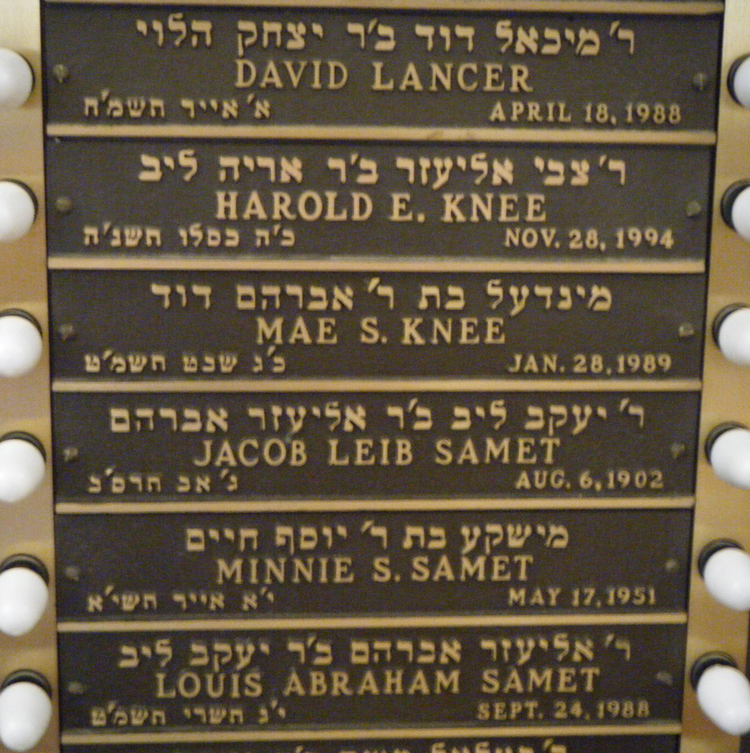 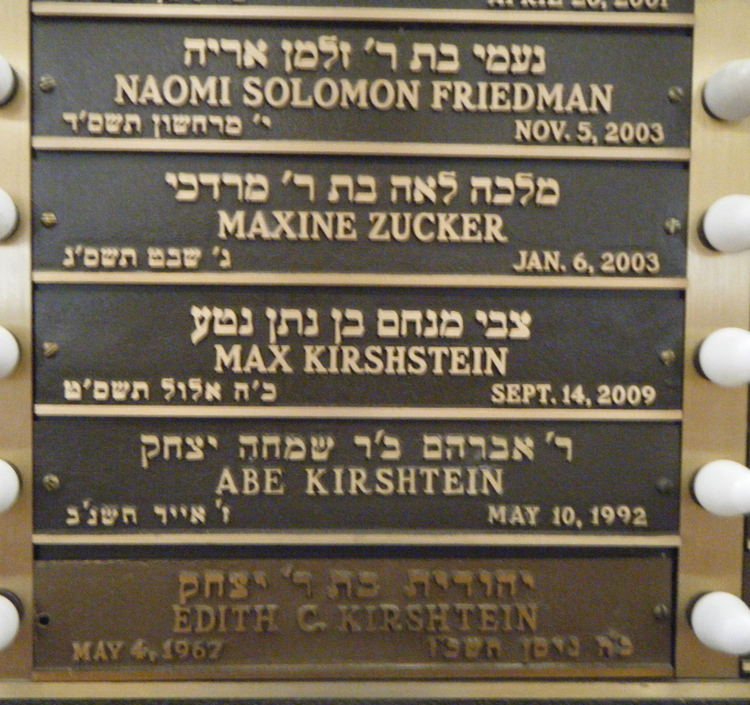 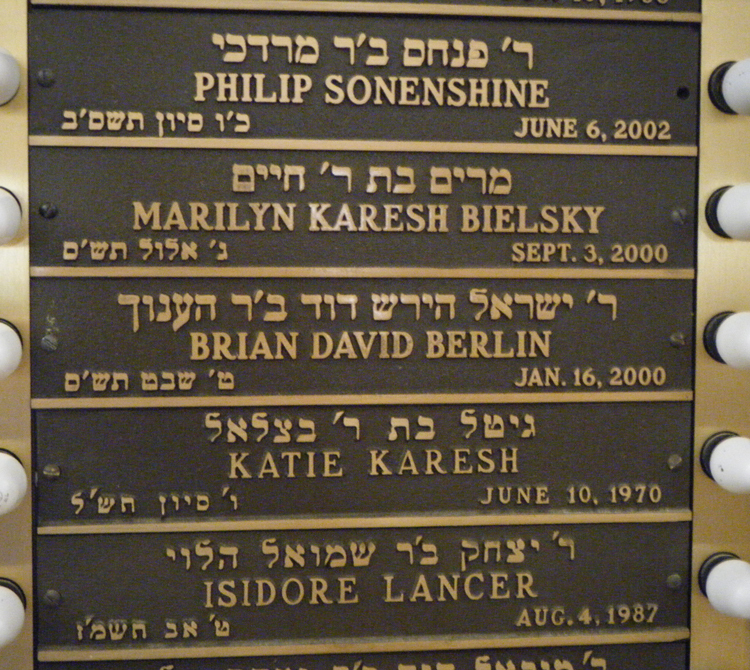 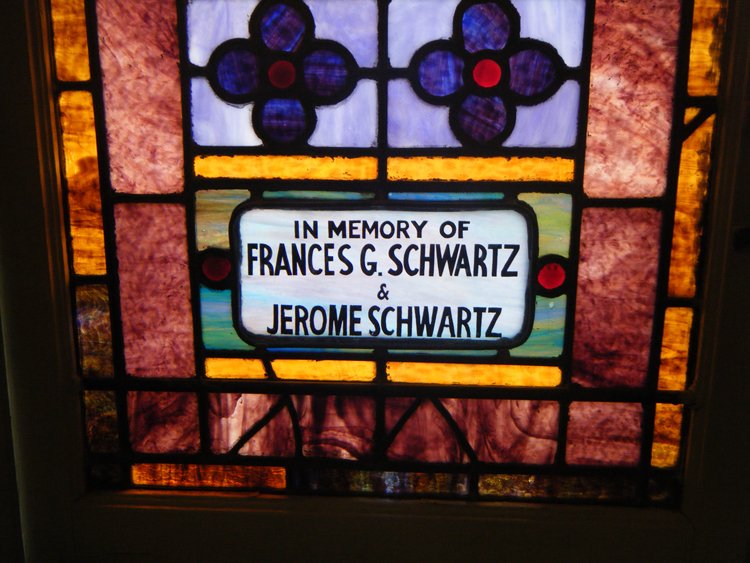 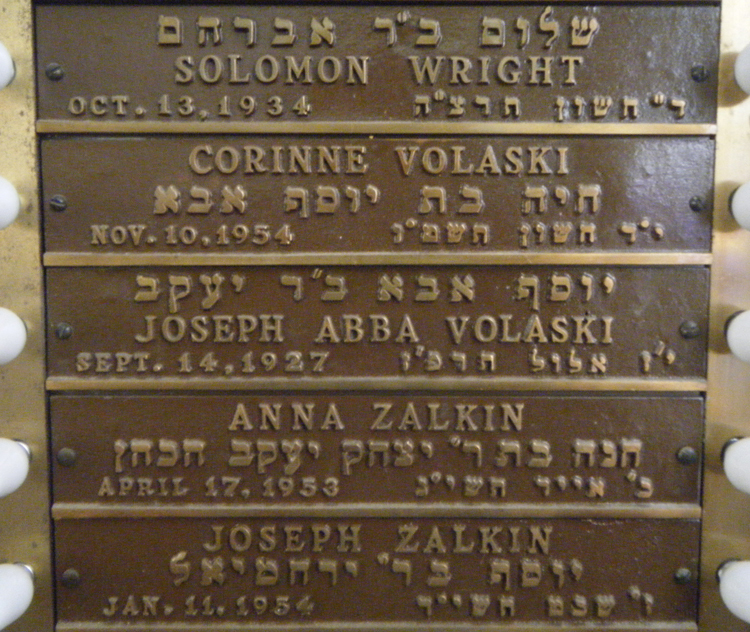 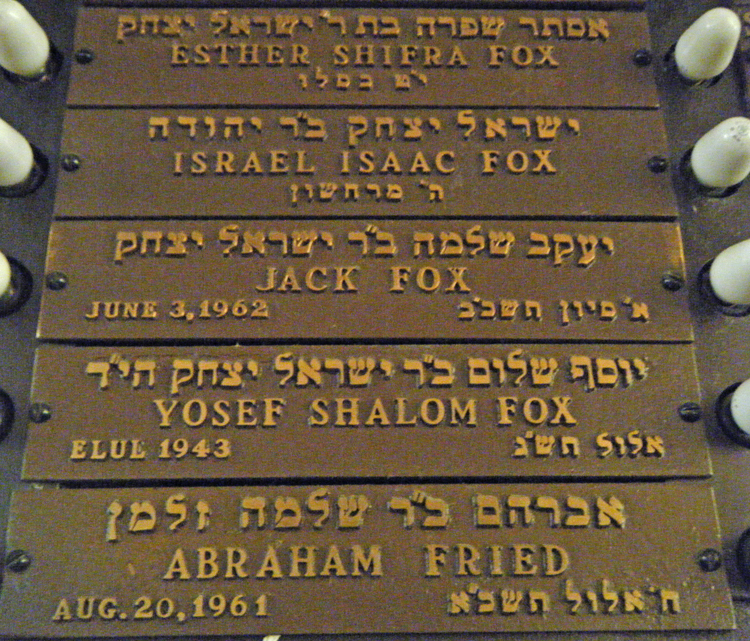 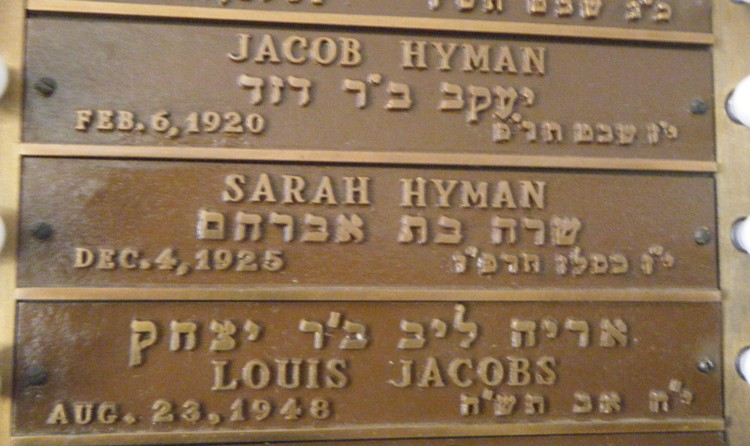 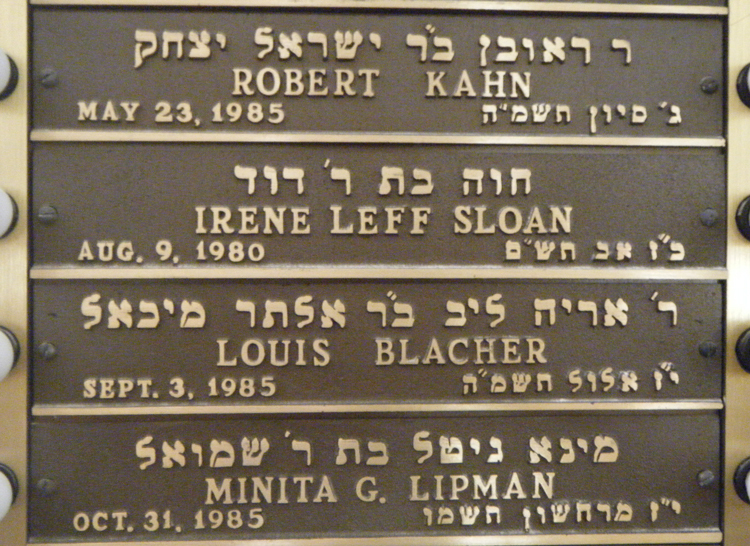 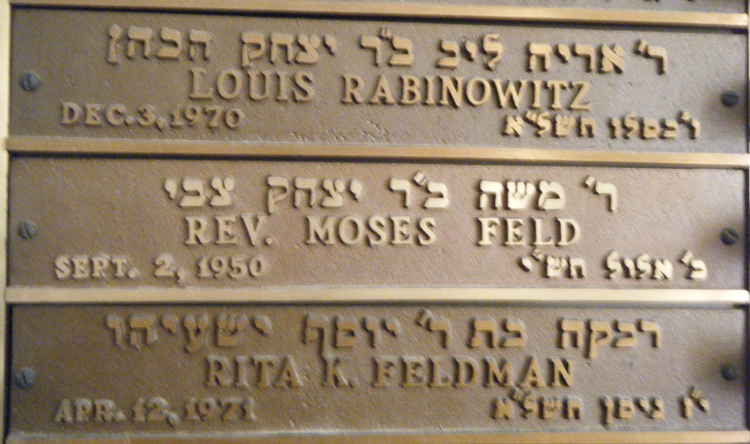 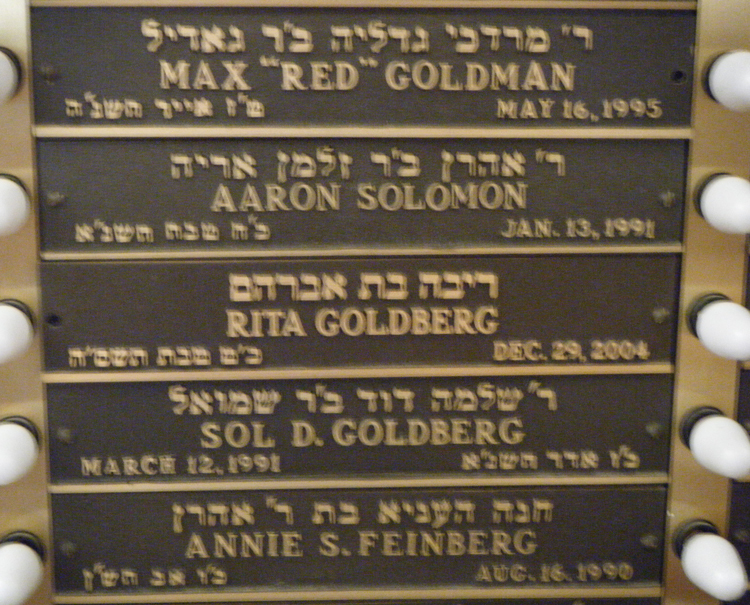 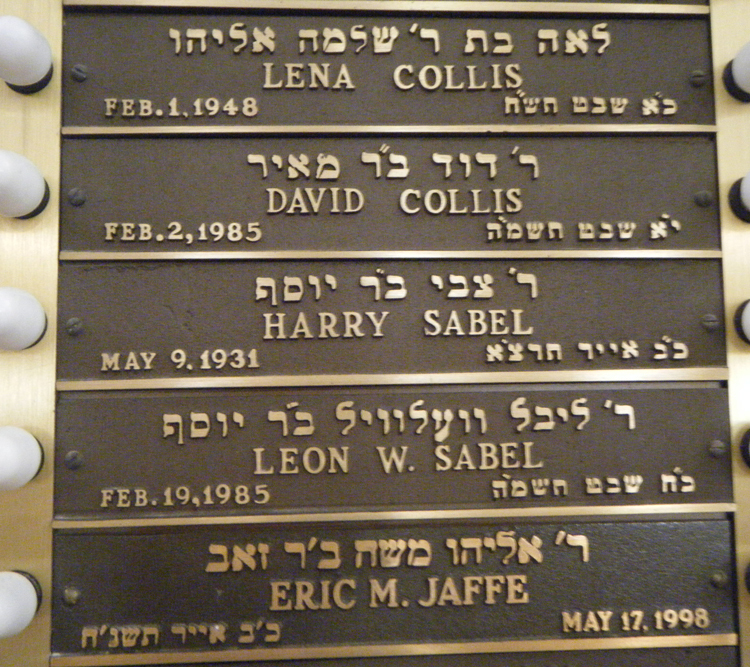 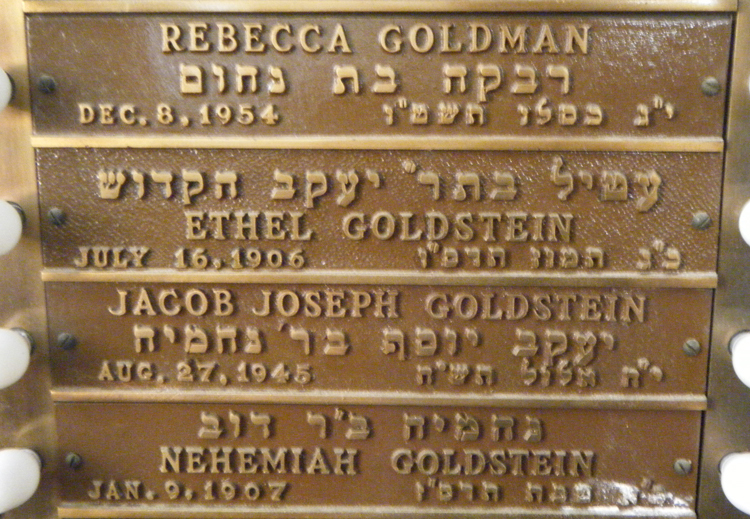 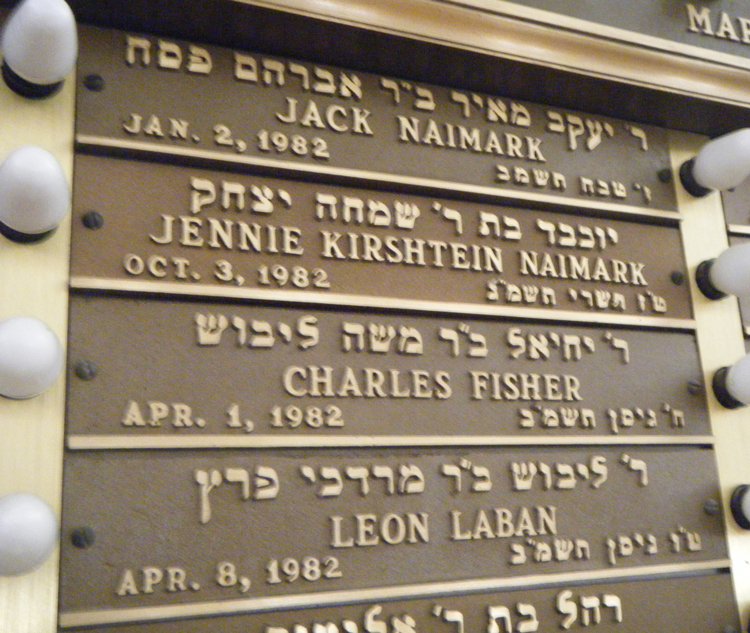 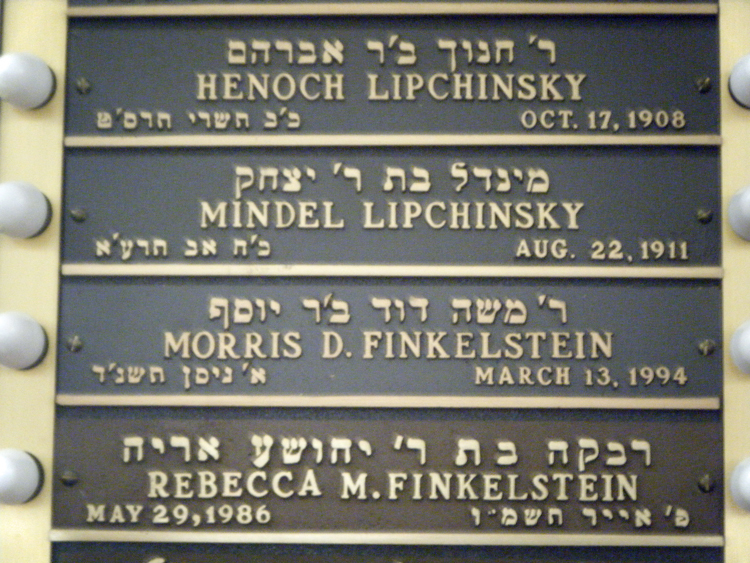 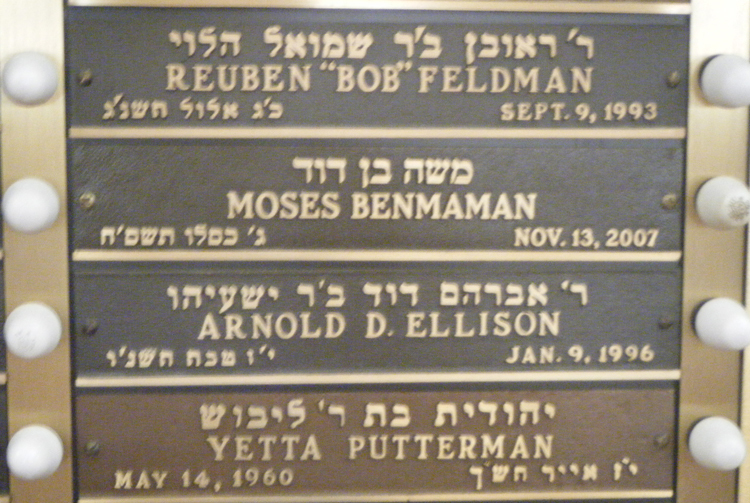 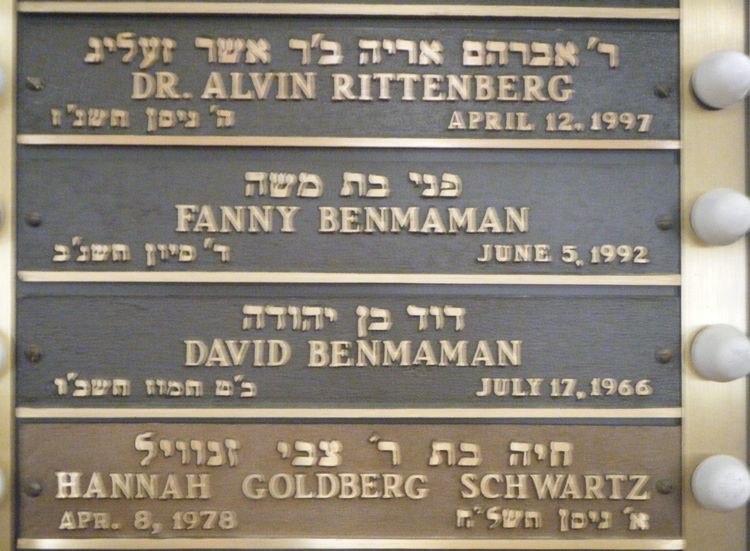 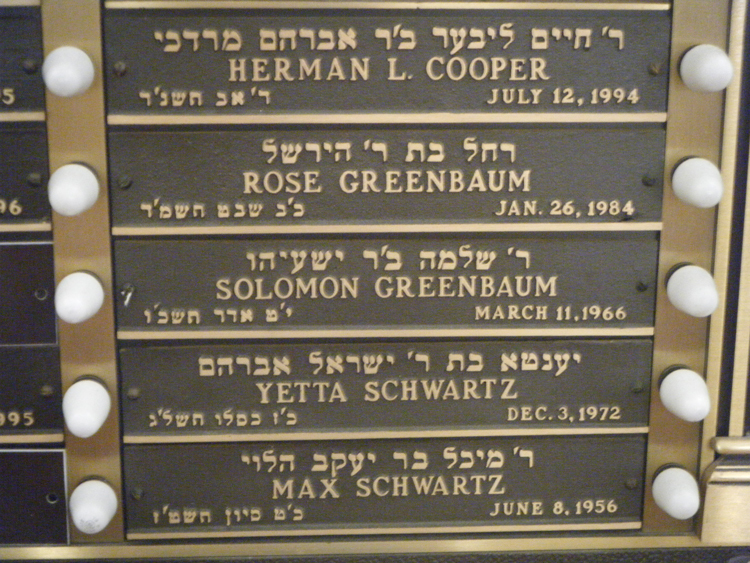 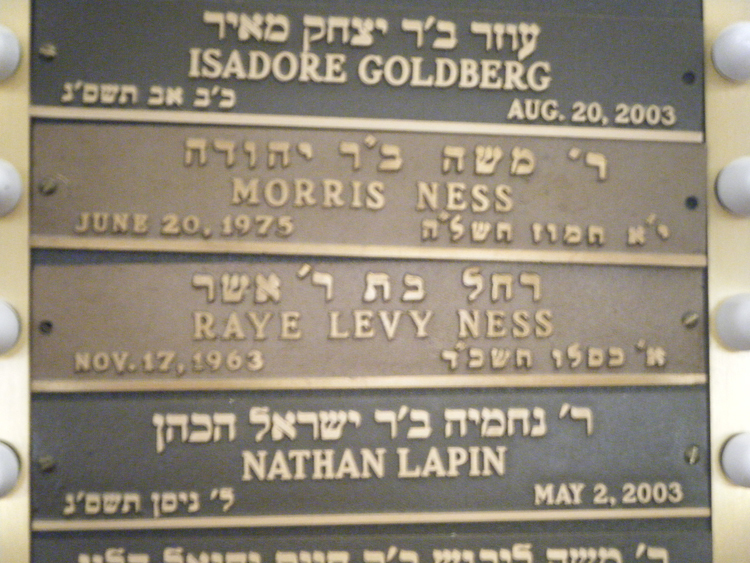 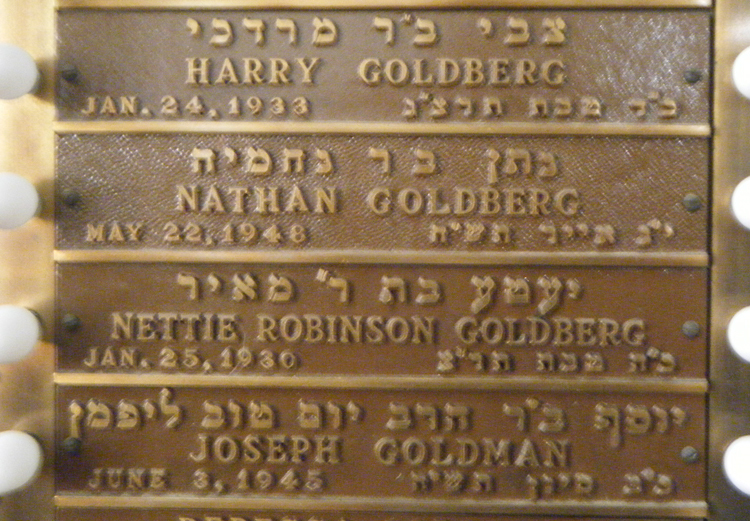 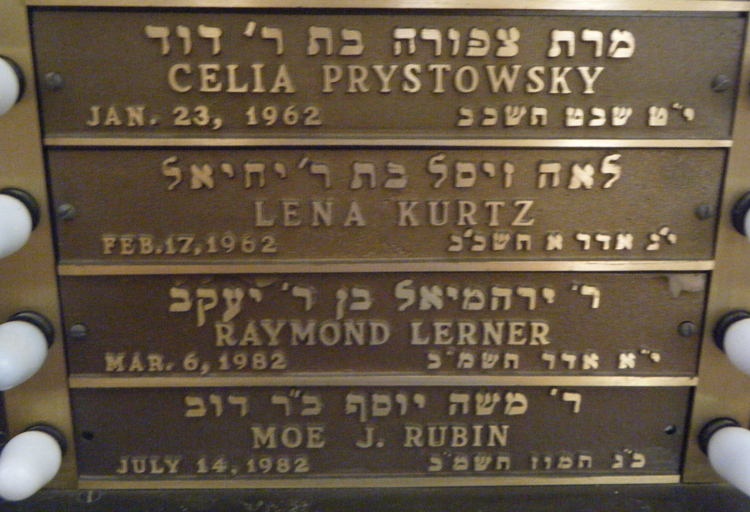 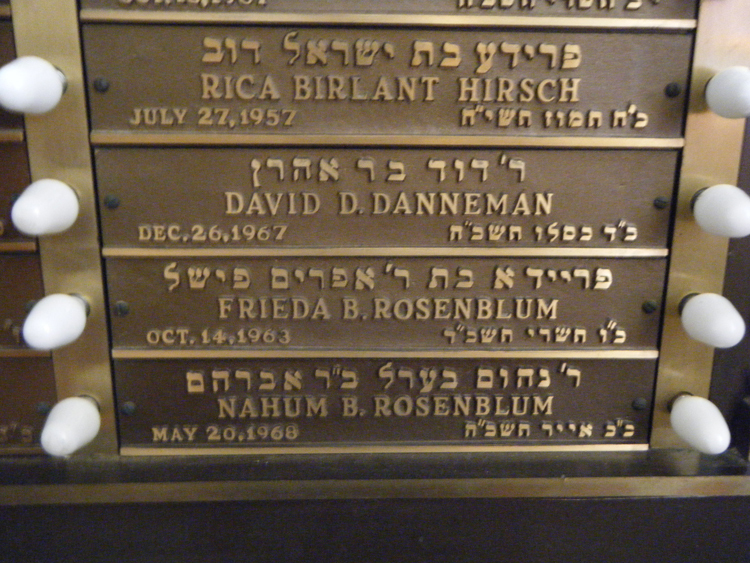 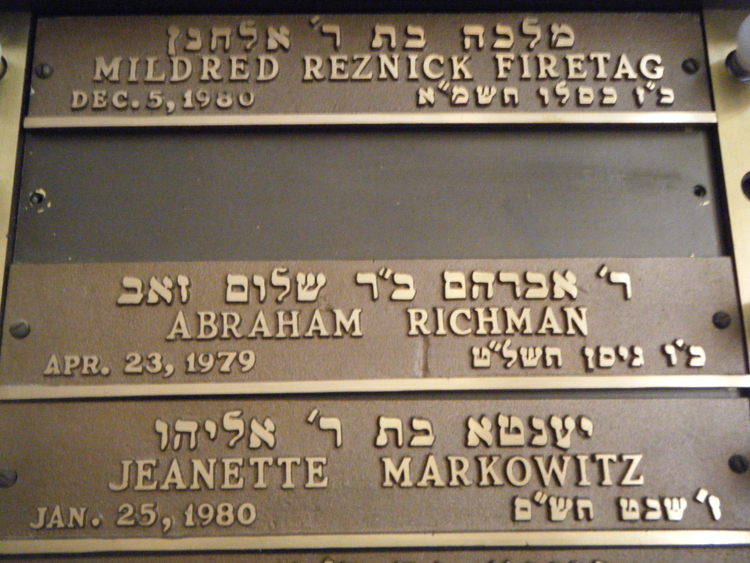 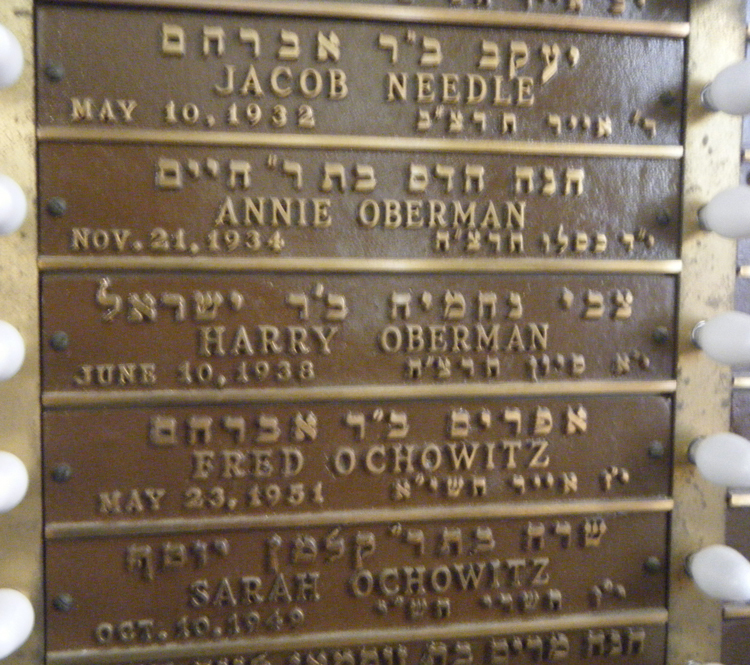 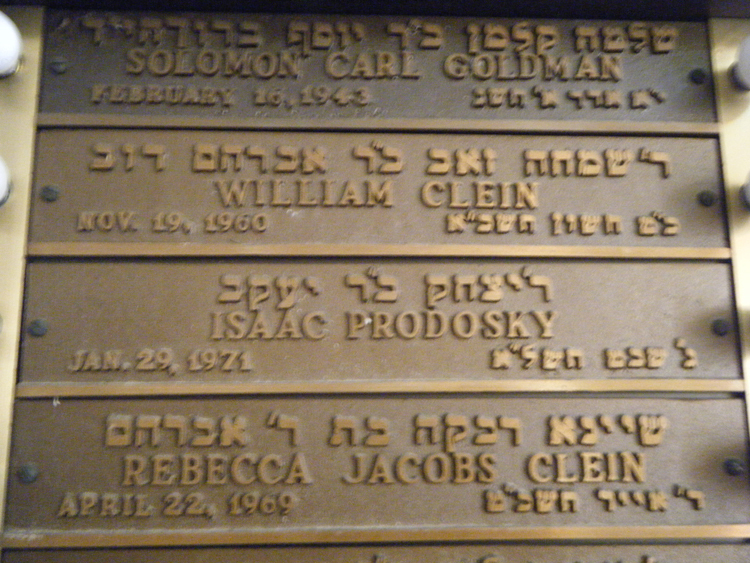 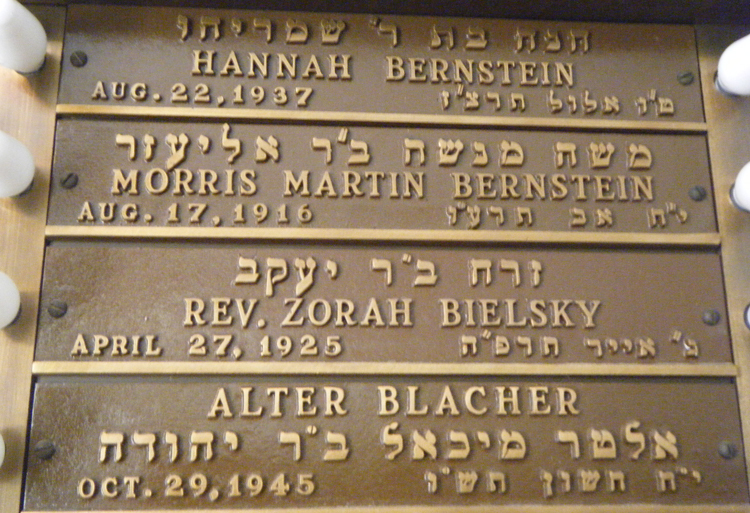 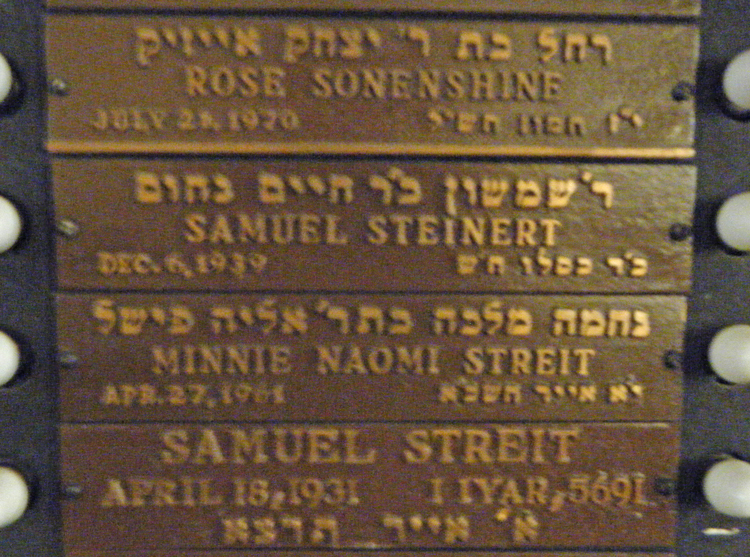 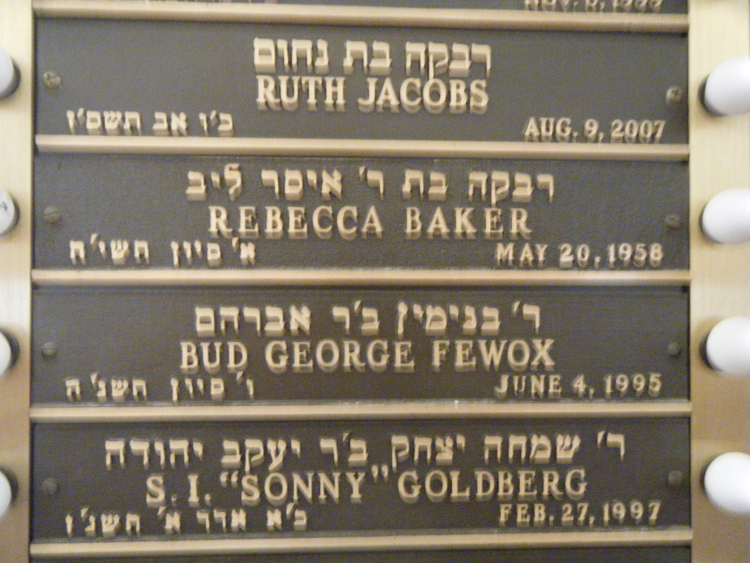 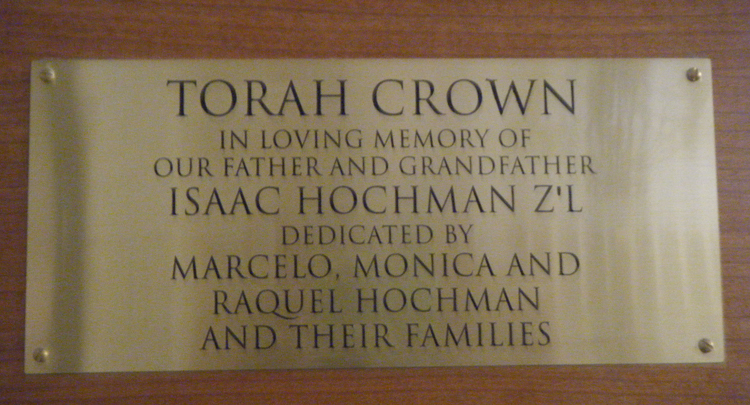 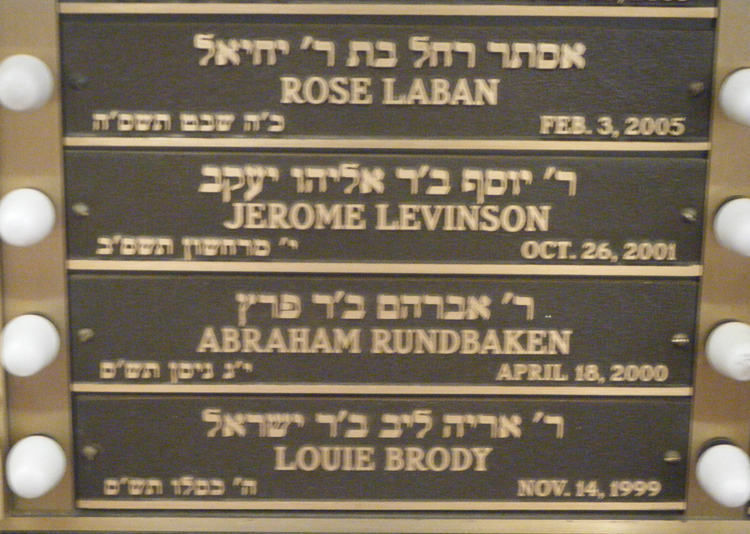 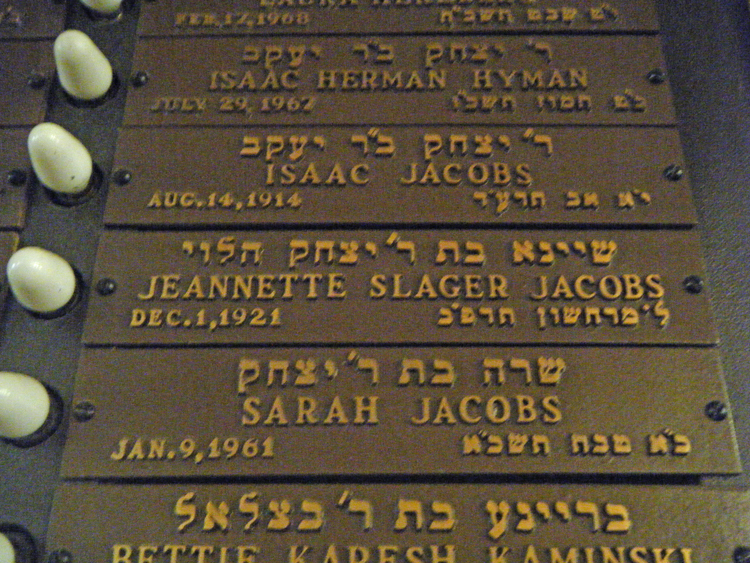 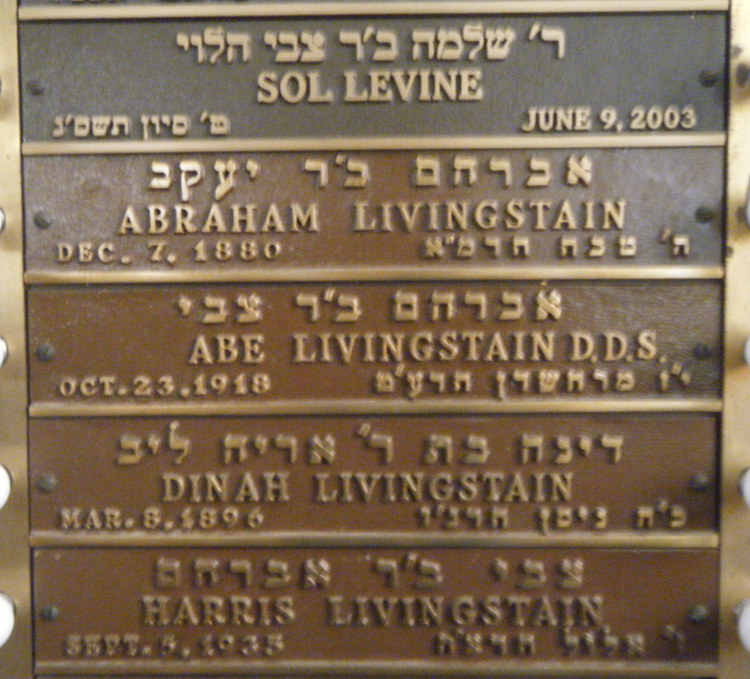 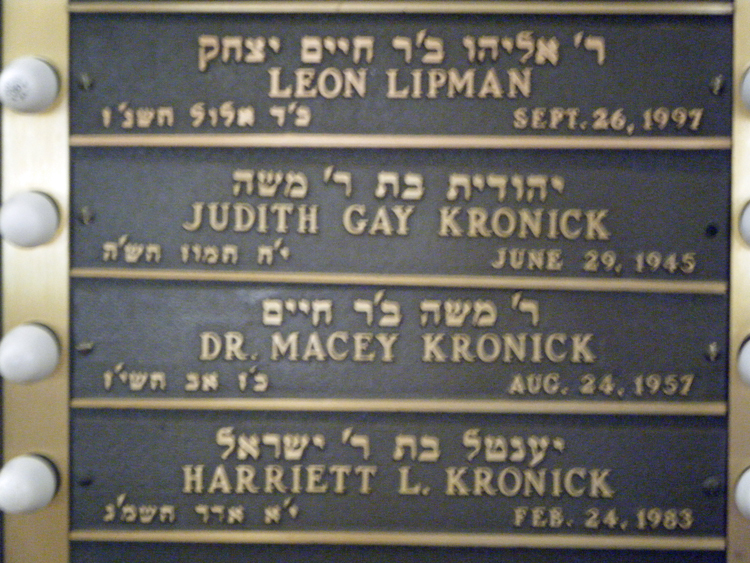 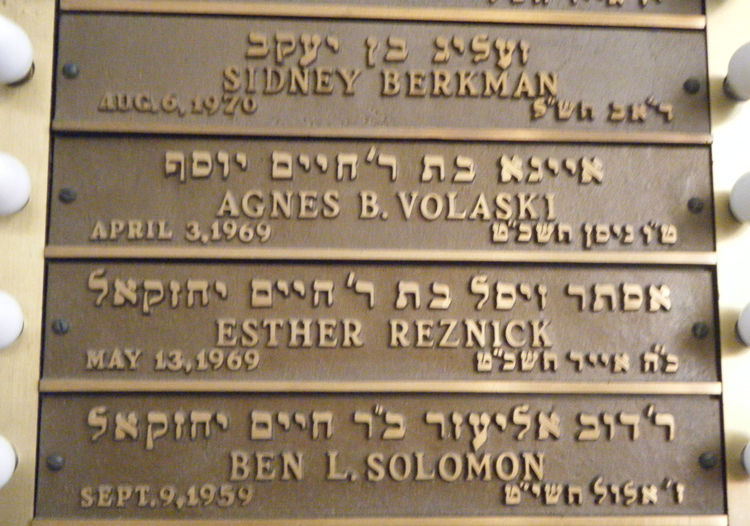 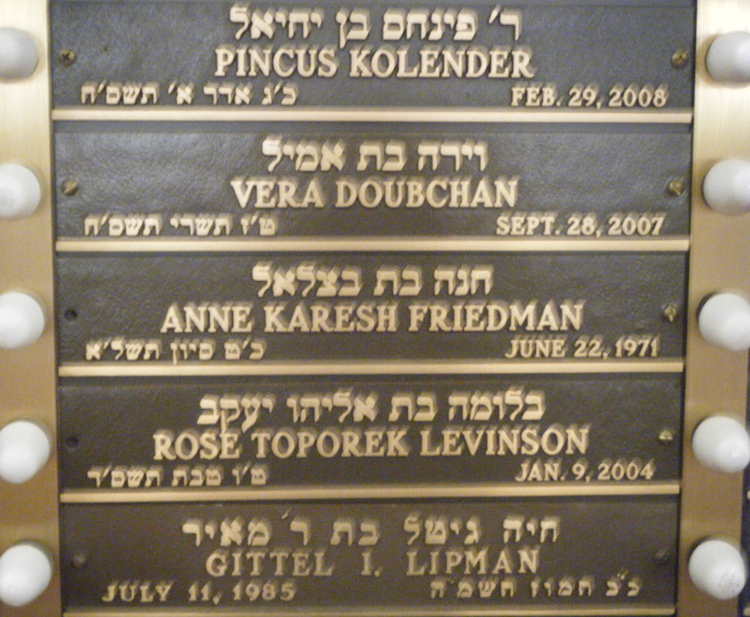 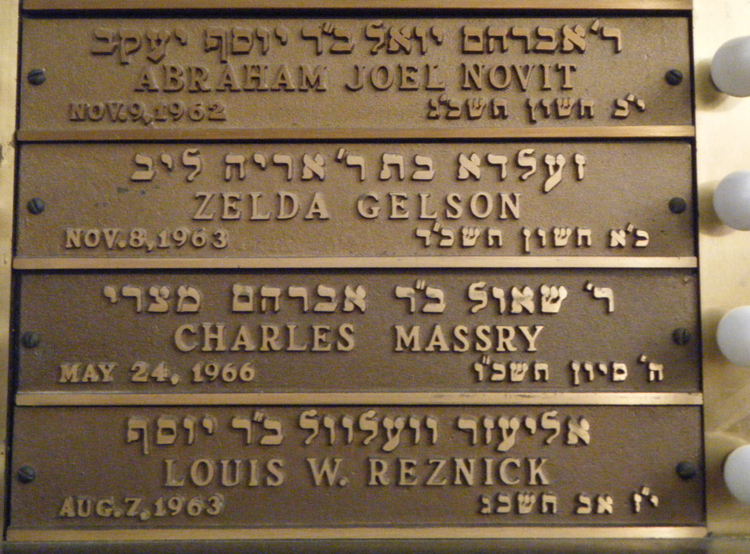 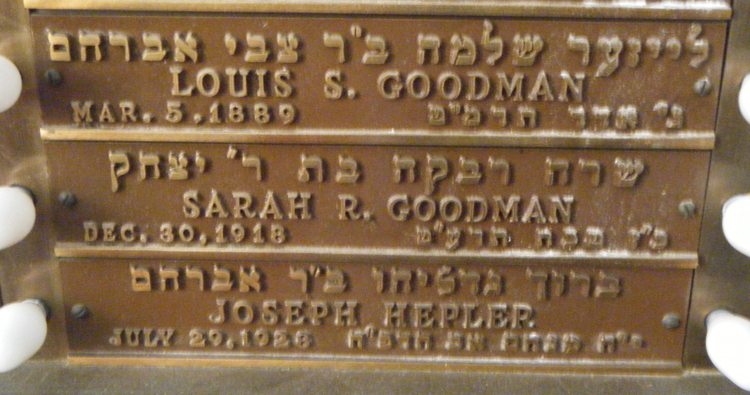 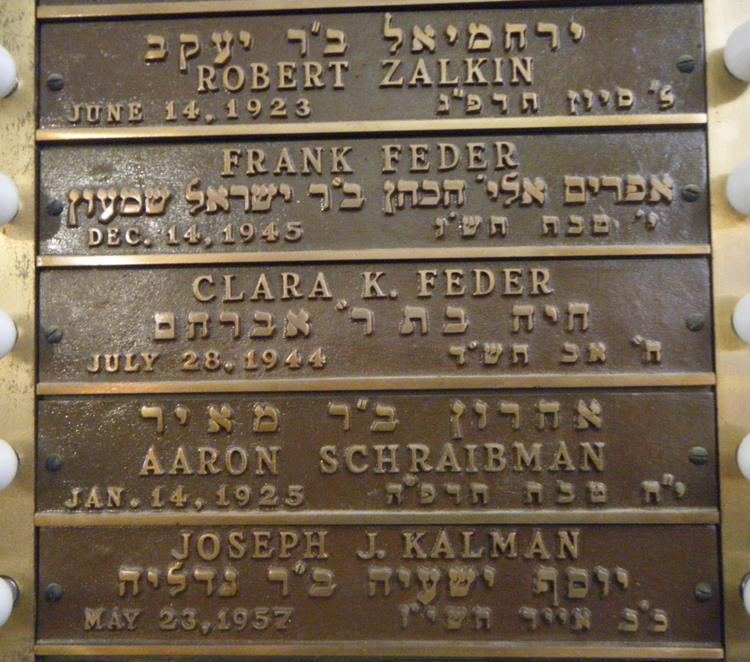 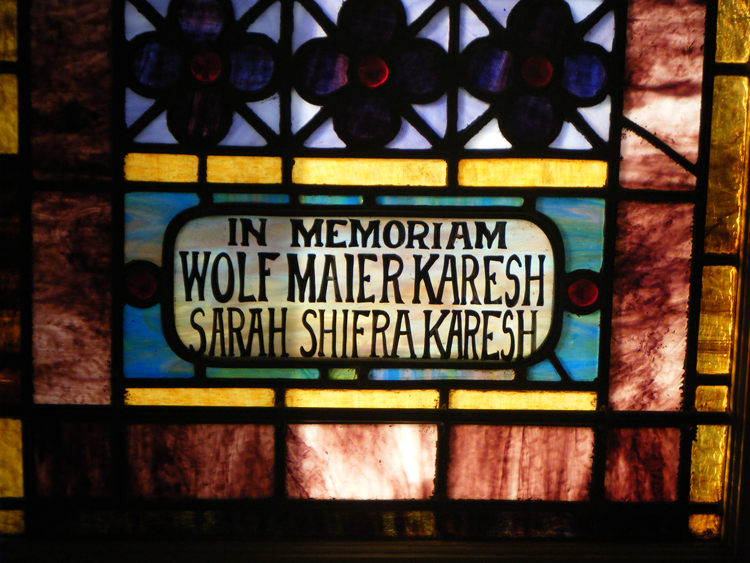 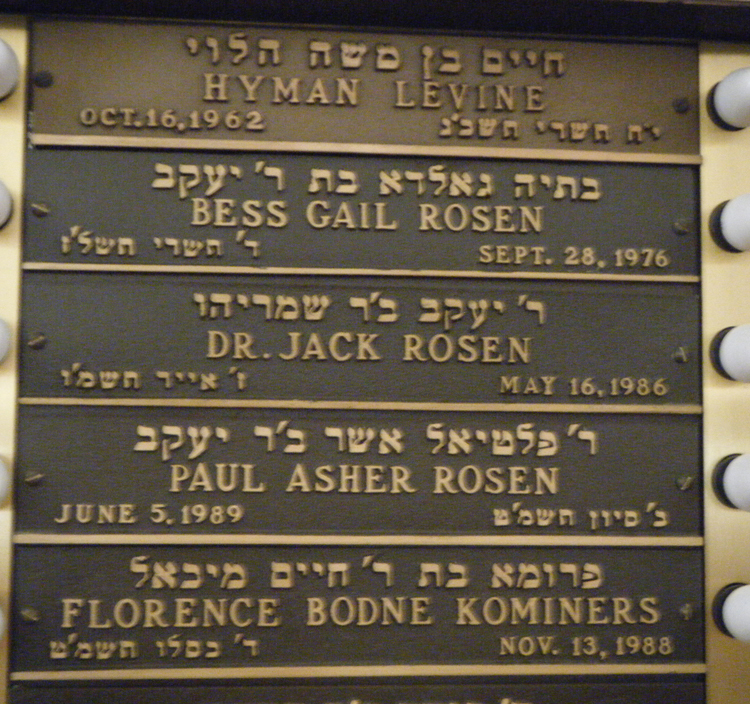 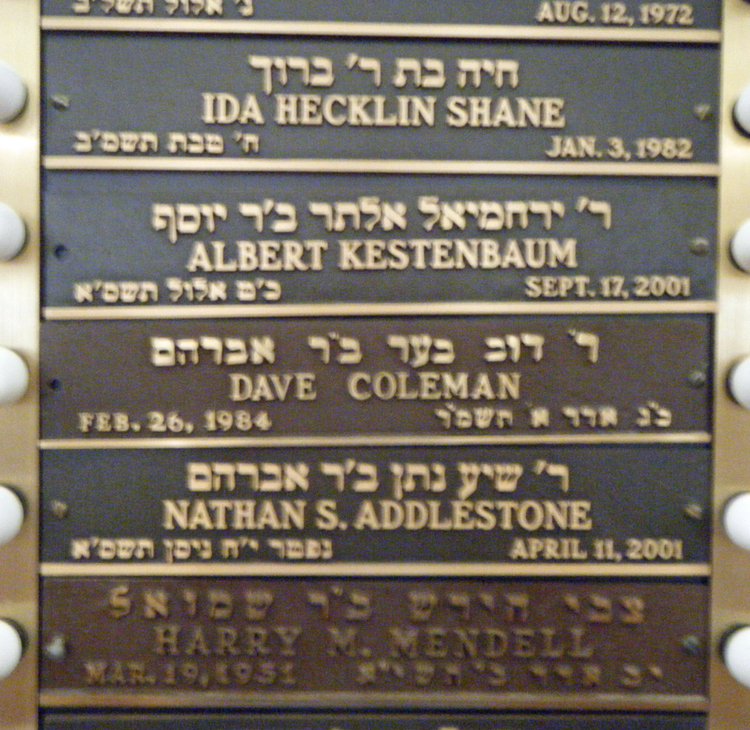 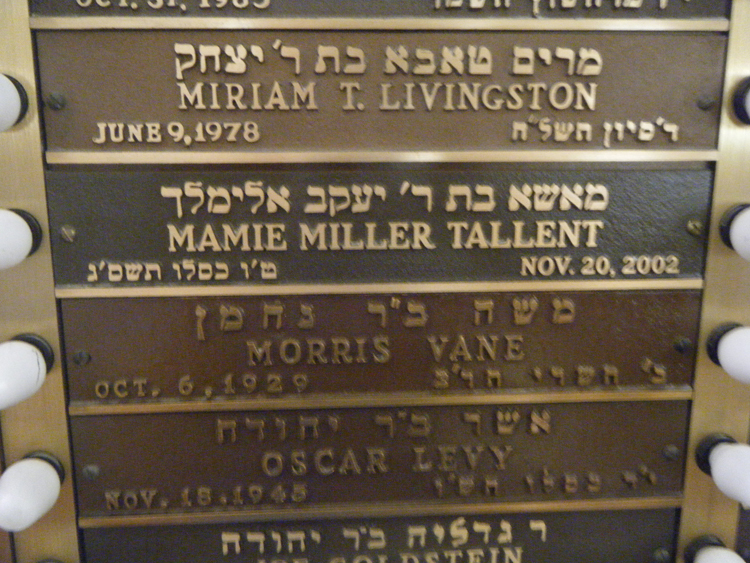 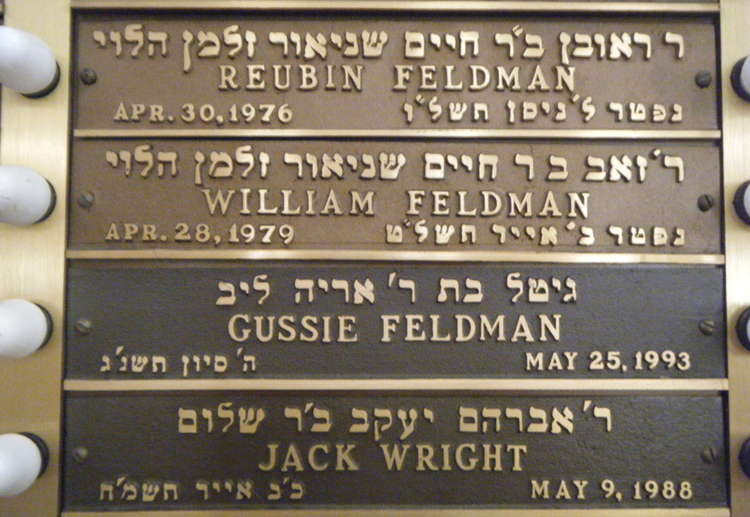 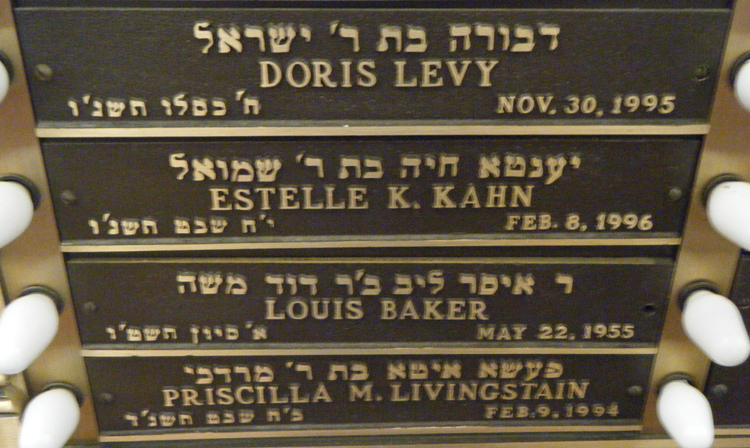 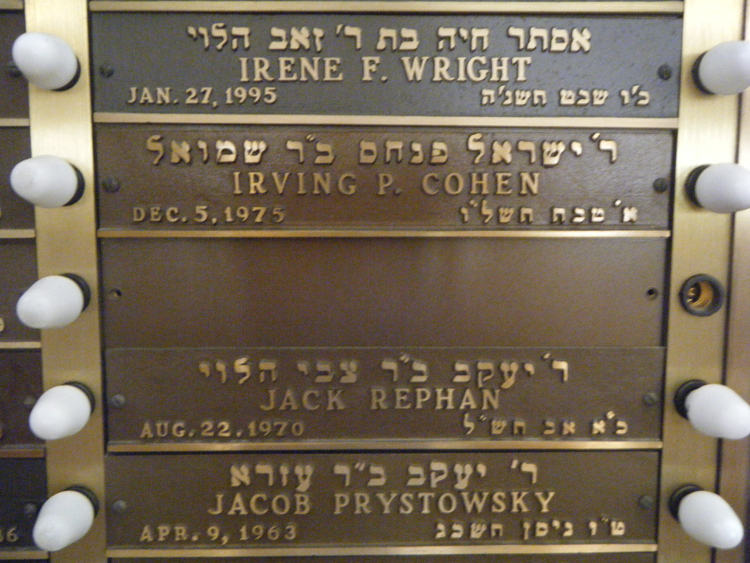 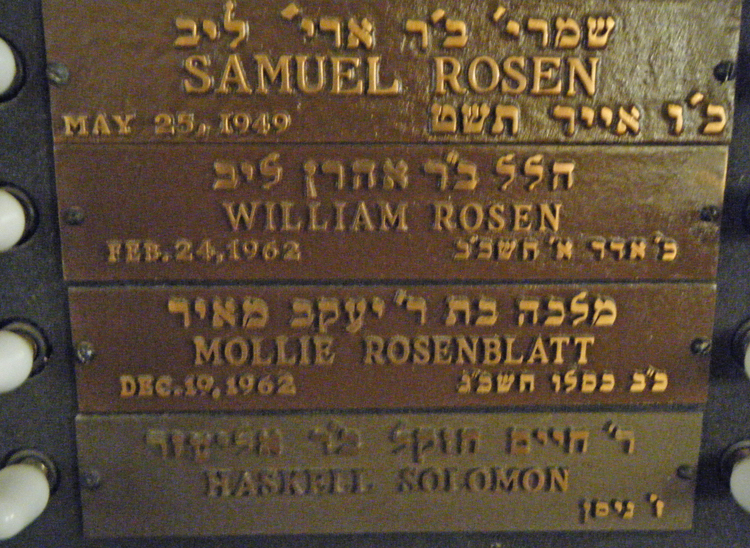 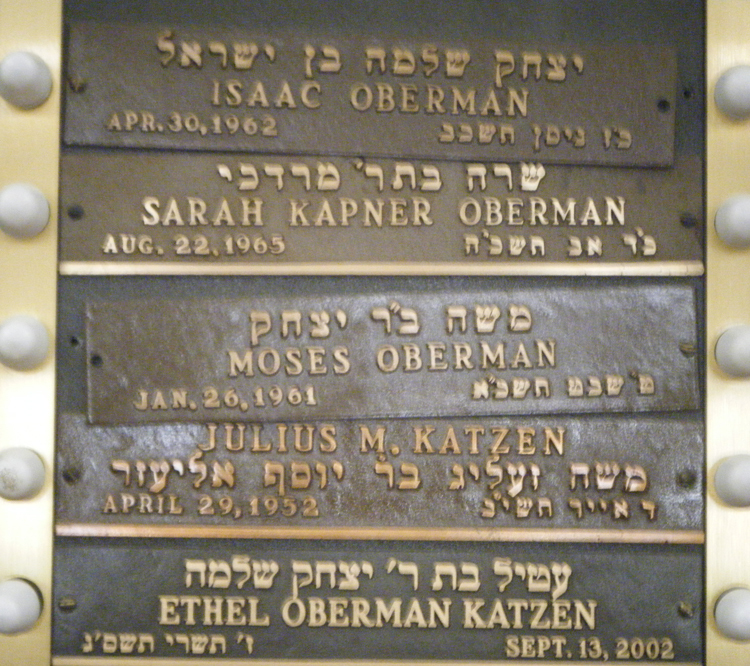 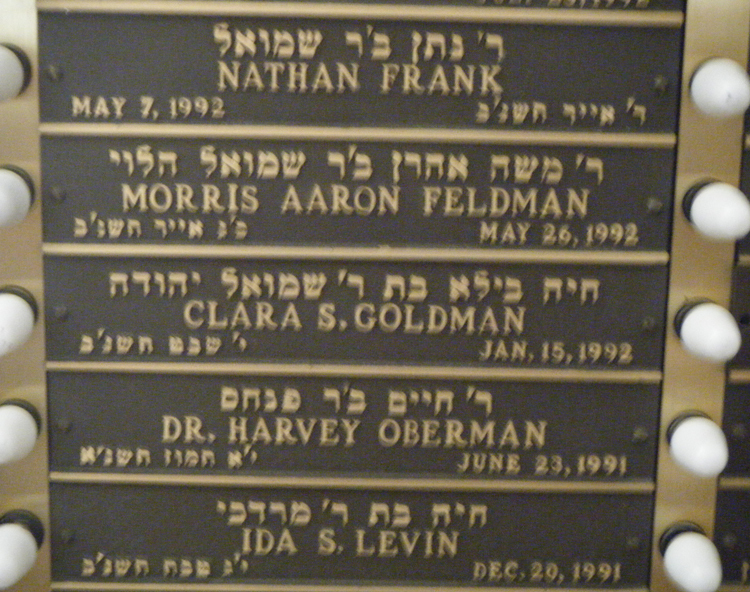 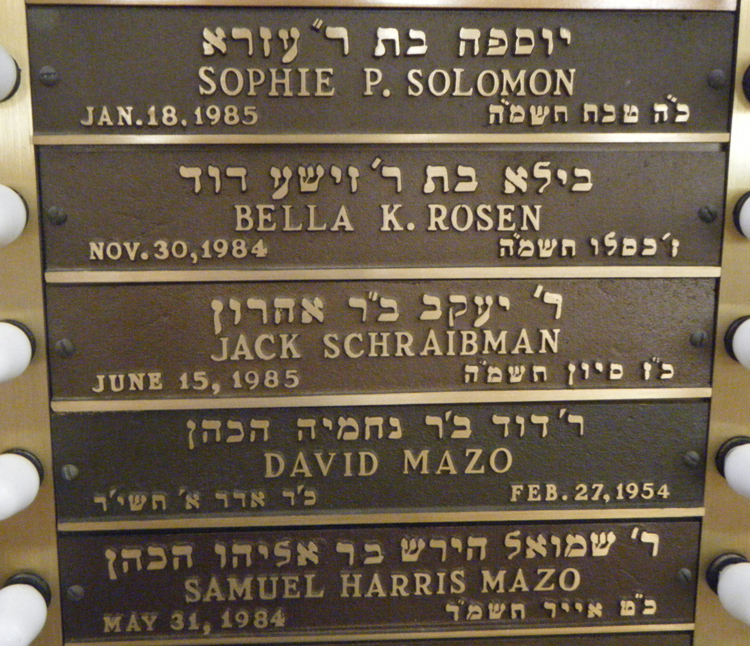 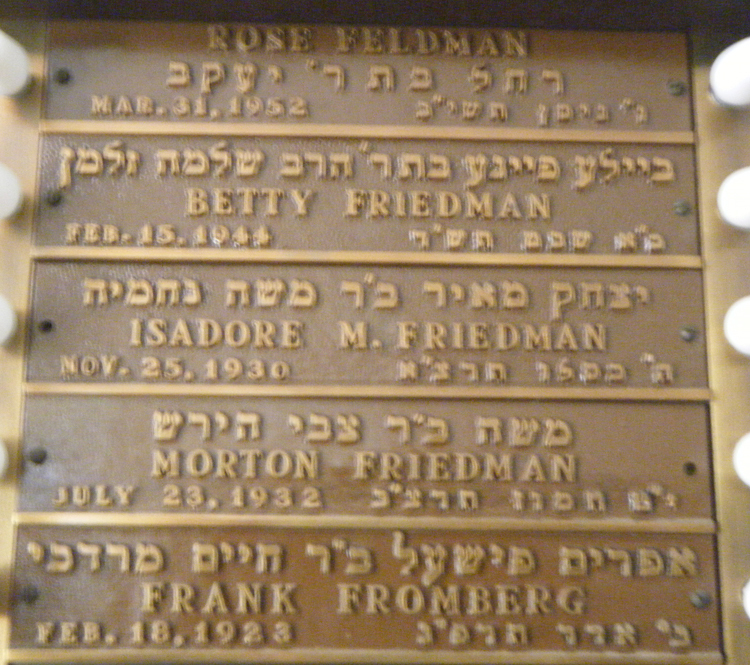 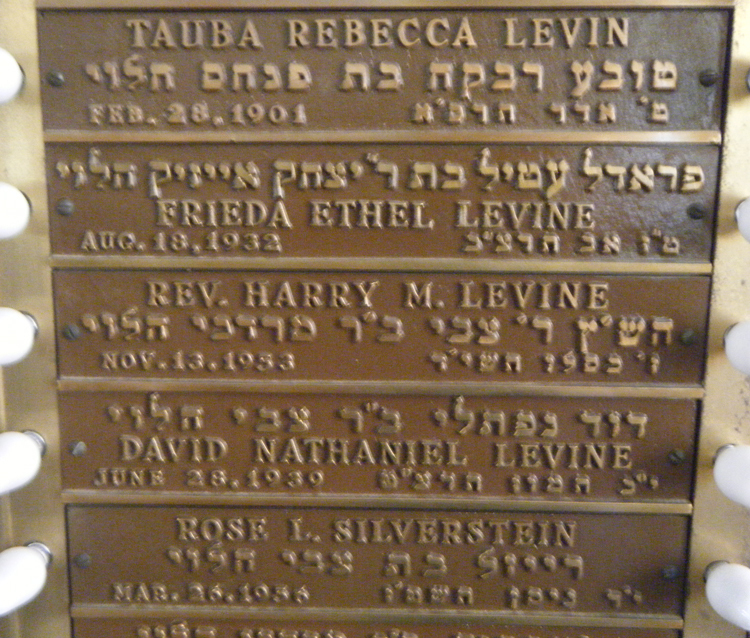 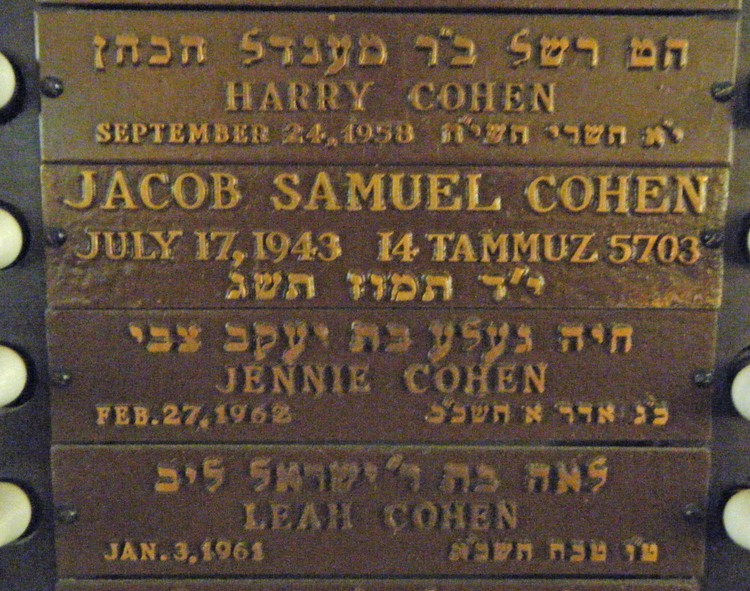 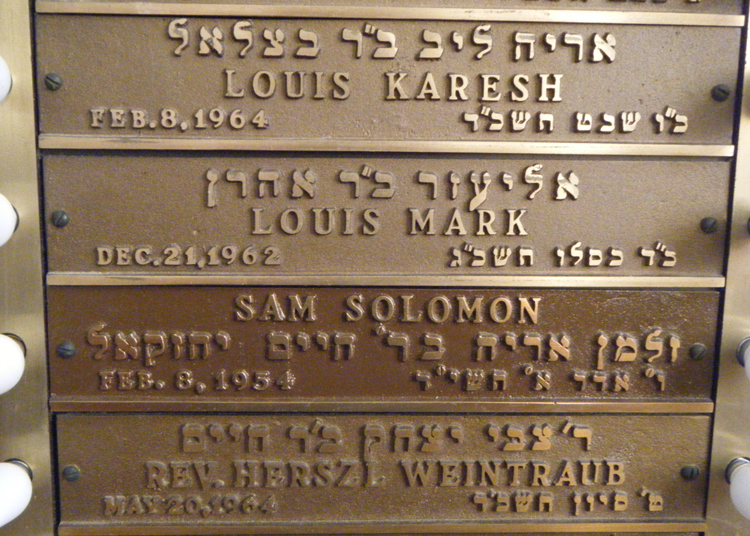 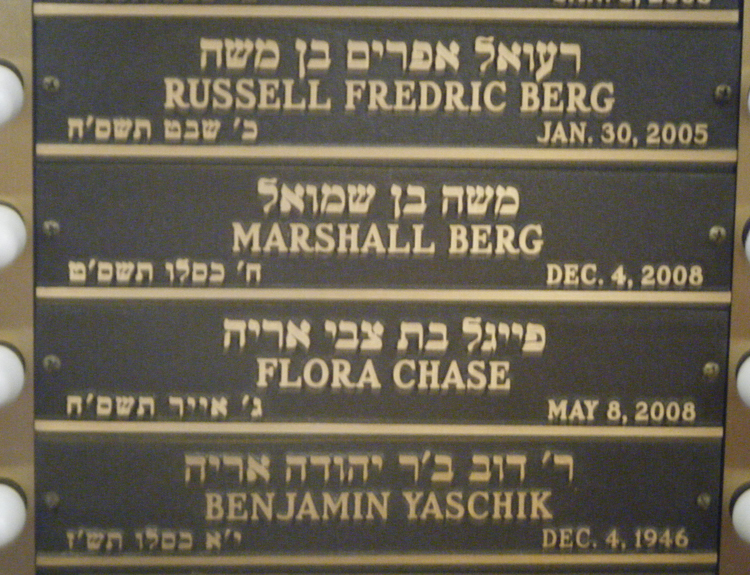 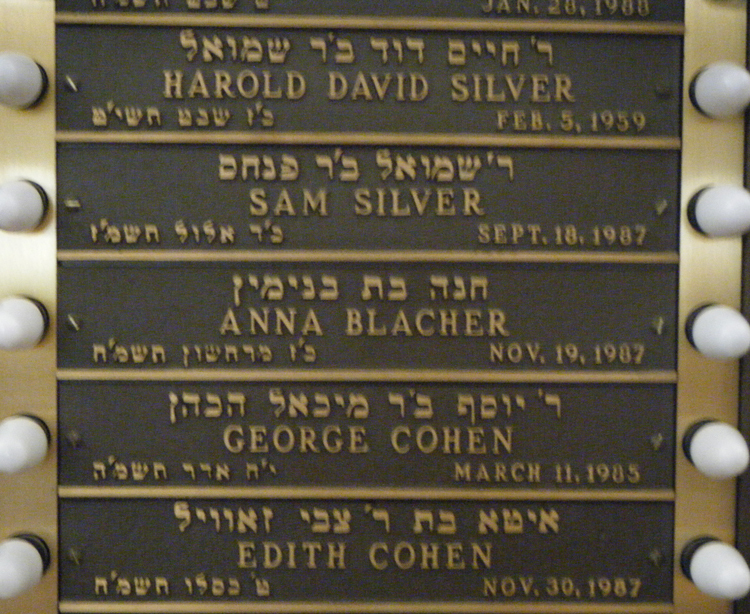 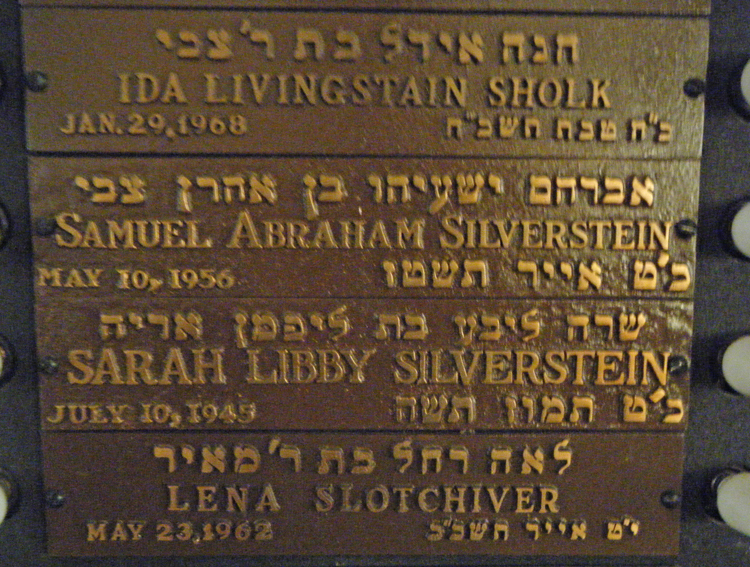 COLEMAN Ralph R. 03-Jun-1917 20-Feb-1971 26 Shevath Refael Reuven Dov Ber Bertha ELLISON M.D. 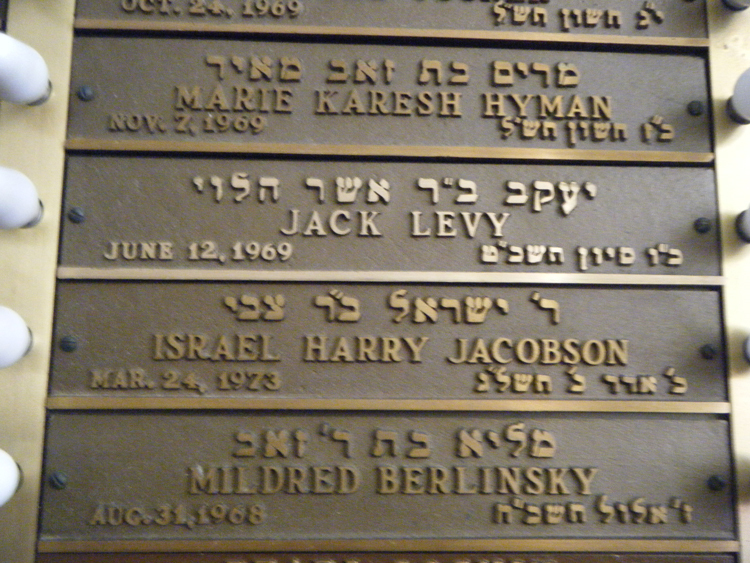 KIRSCHNER Jack, Pvt. 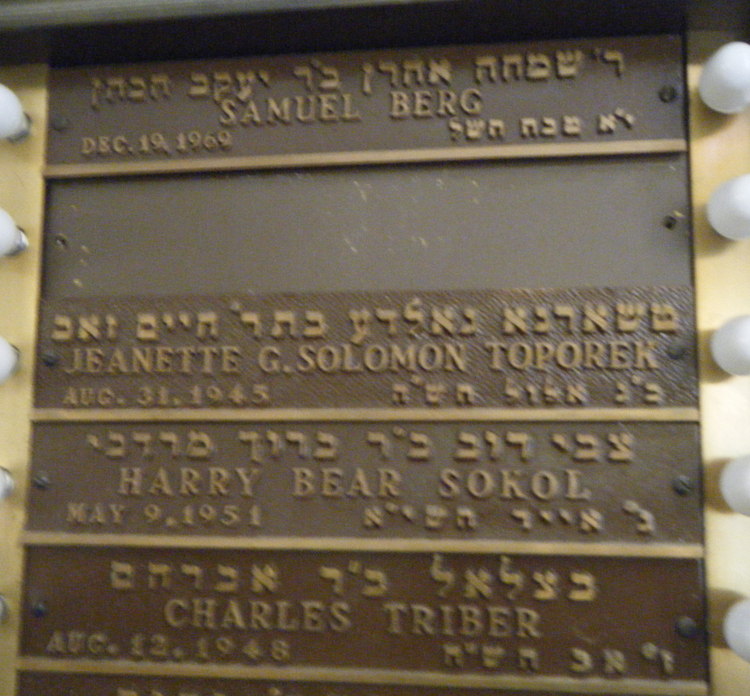 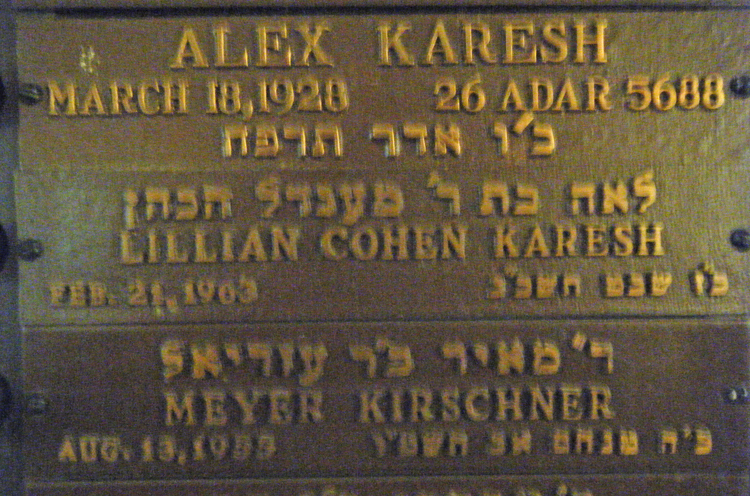 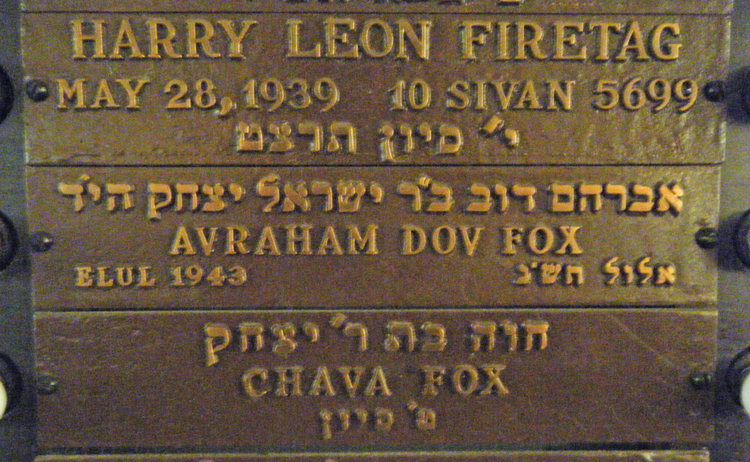 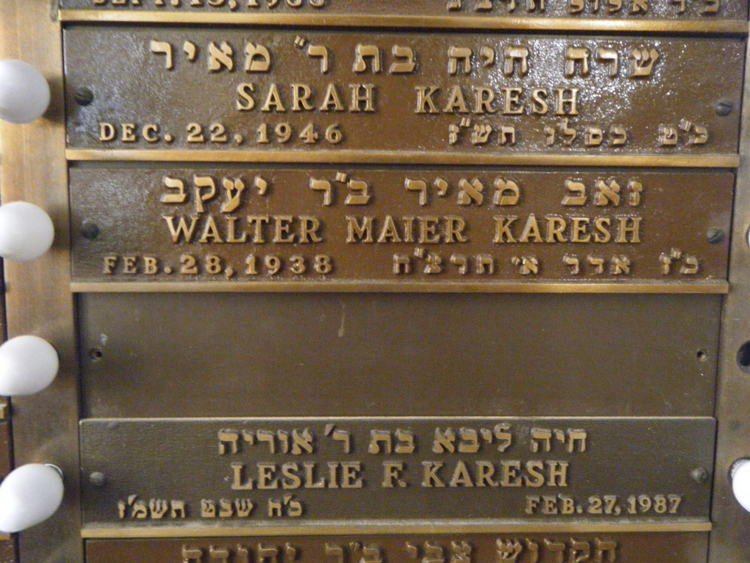 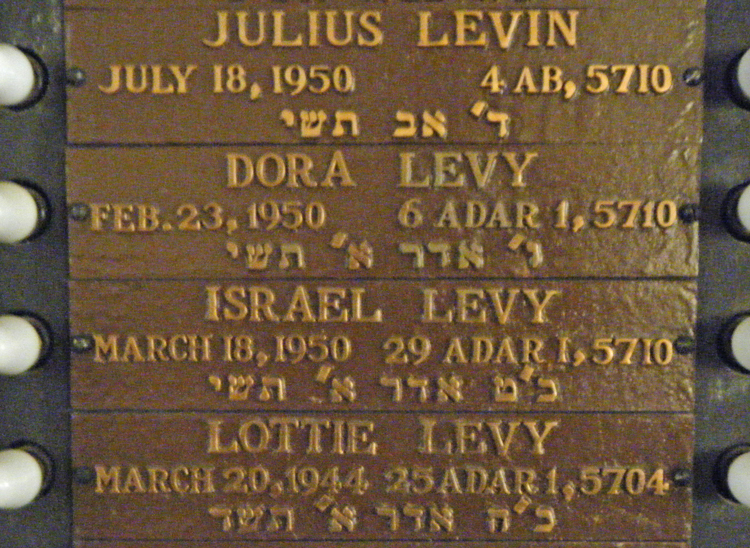 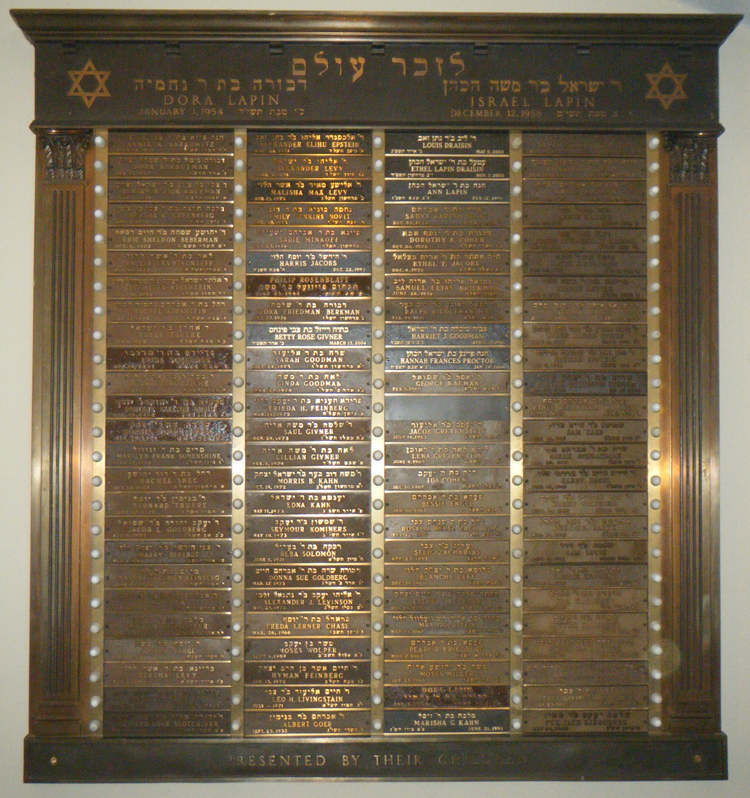 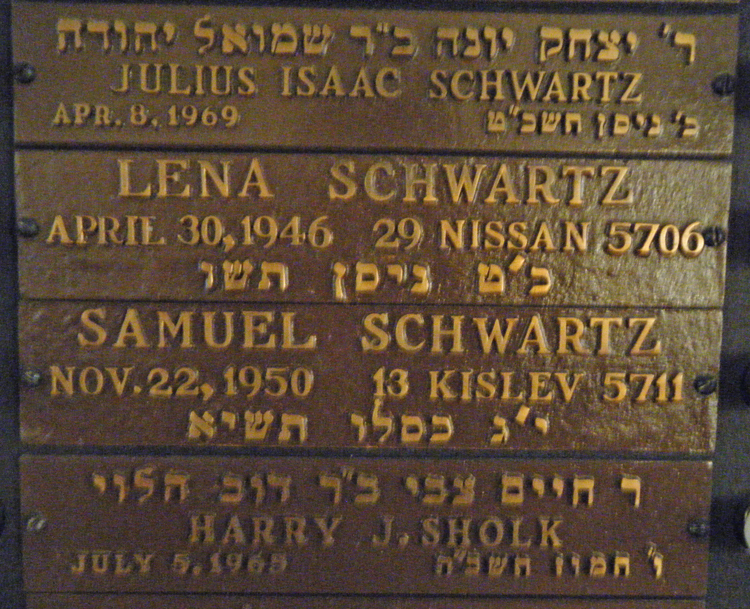 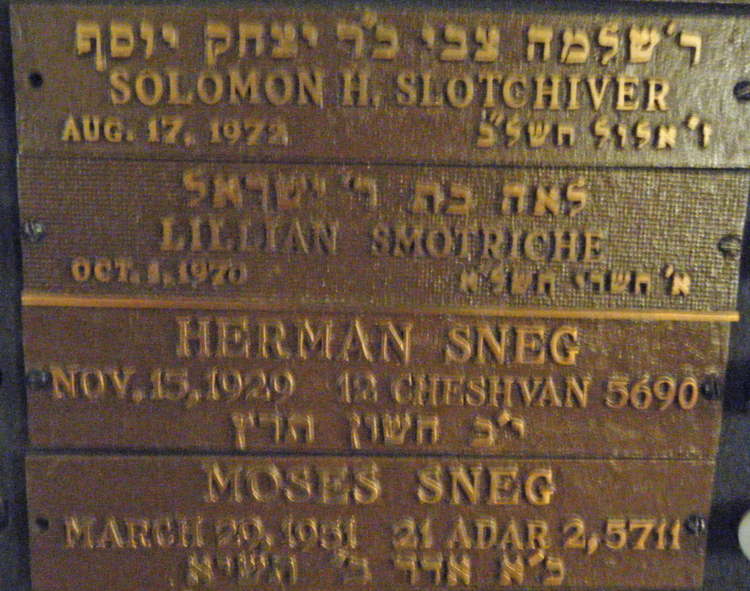 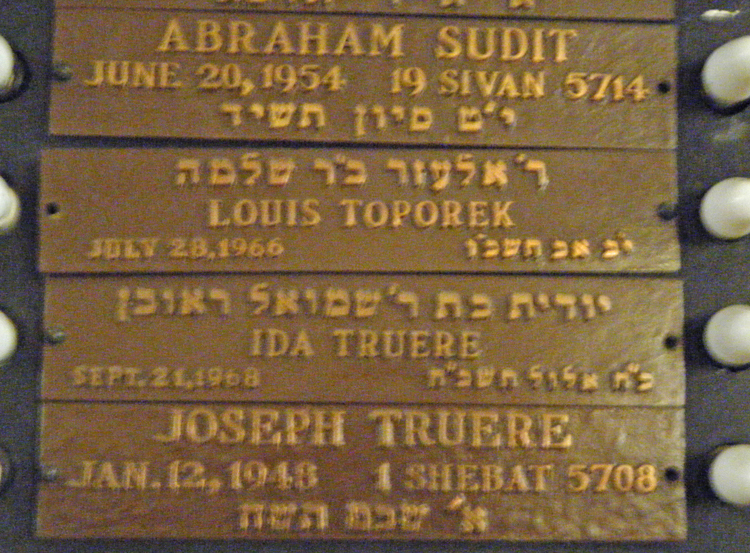 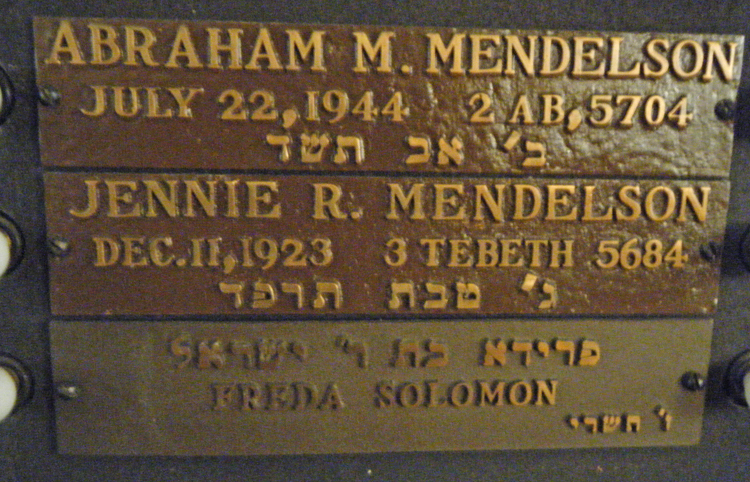 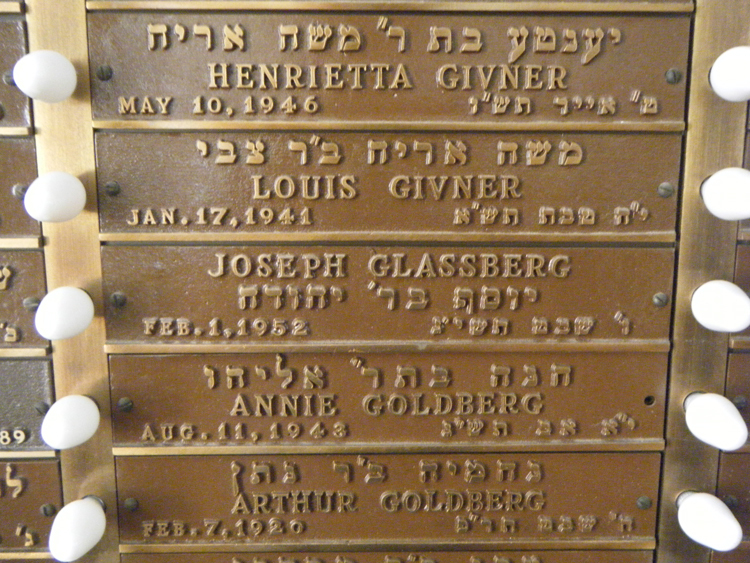 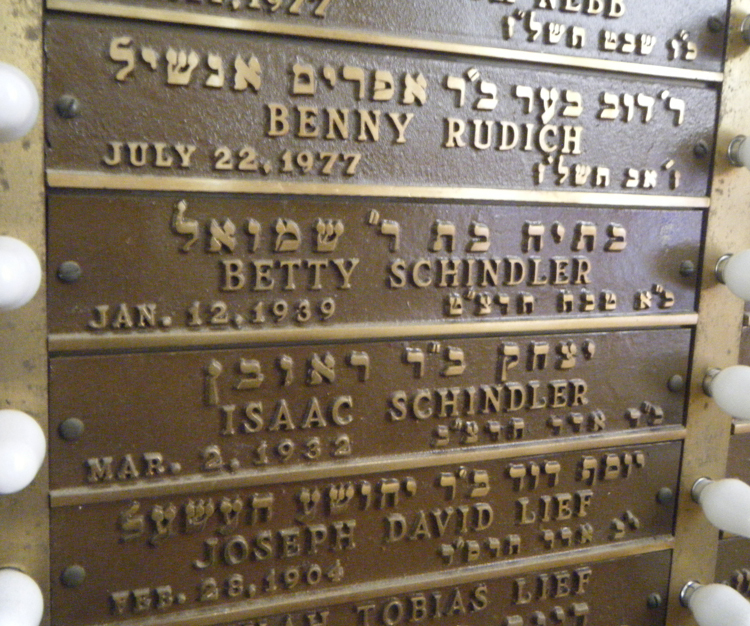 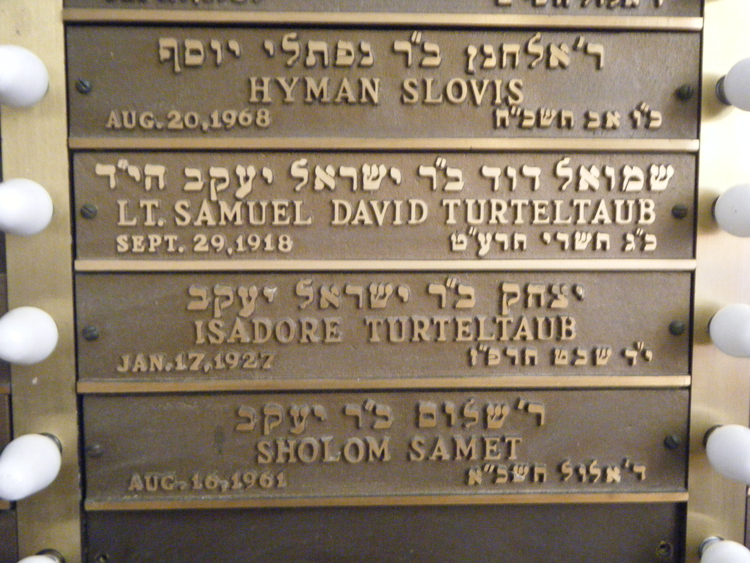 20-May-1945 8 Sivane Shlomo Yaakov Meir PVT. 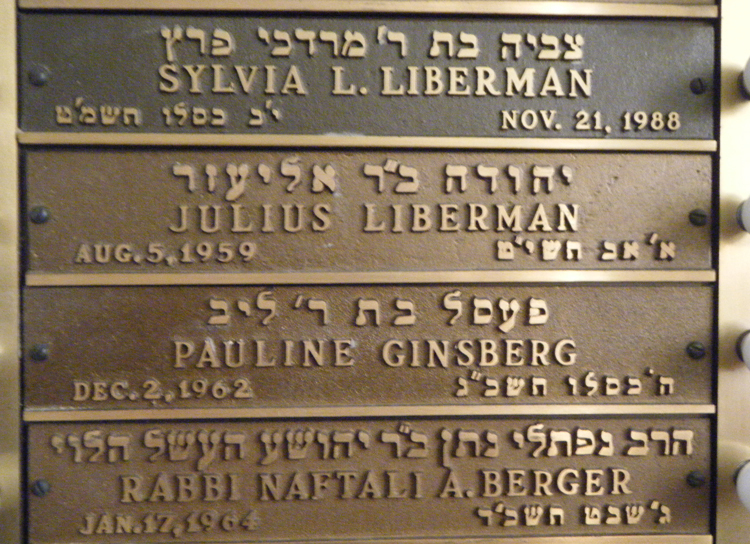 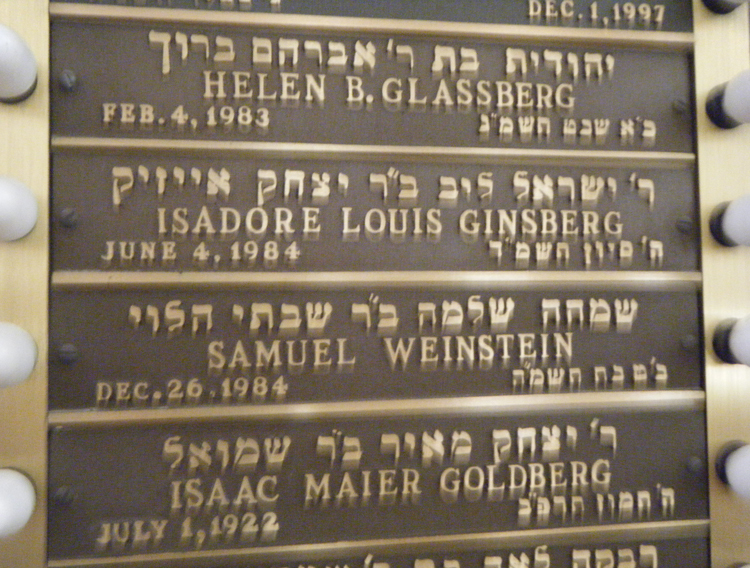 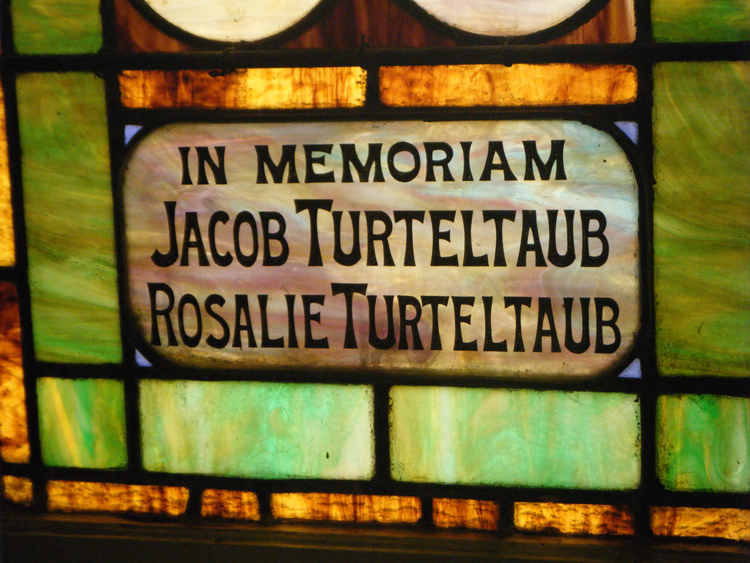 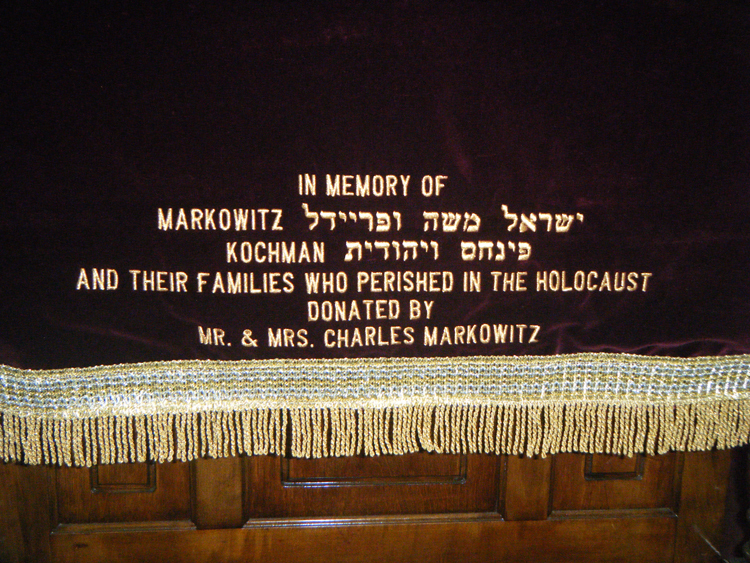 Indexing of Names and Photographs Supplied by Stephane Grauzam. 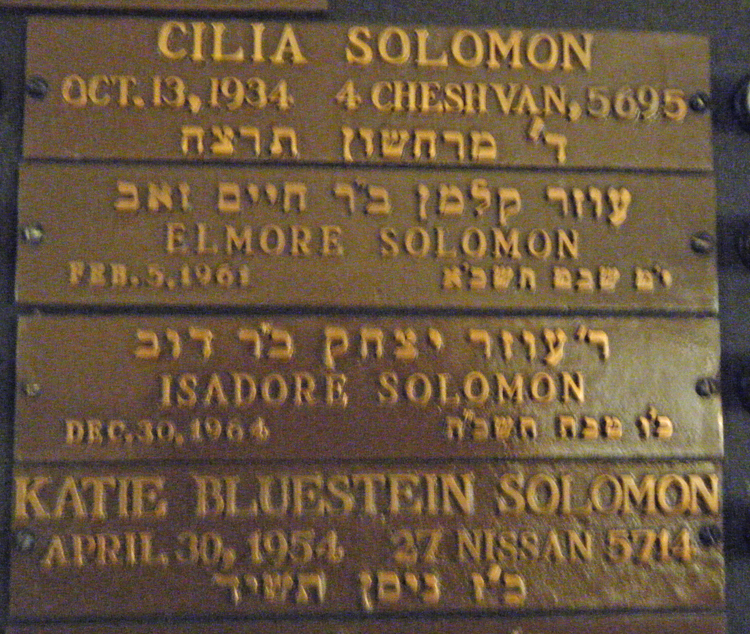 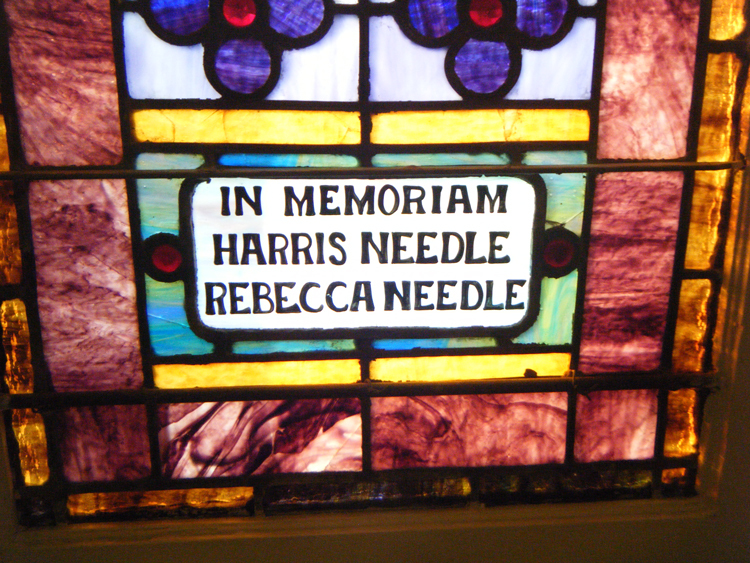 Additional information gathered from Cemetery records. 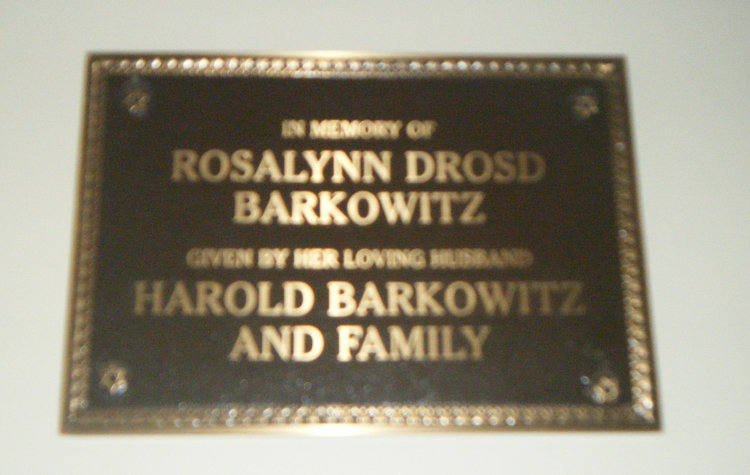 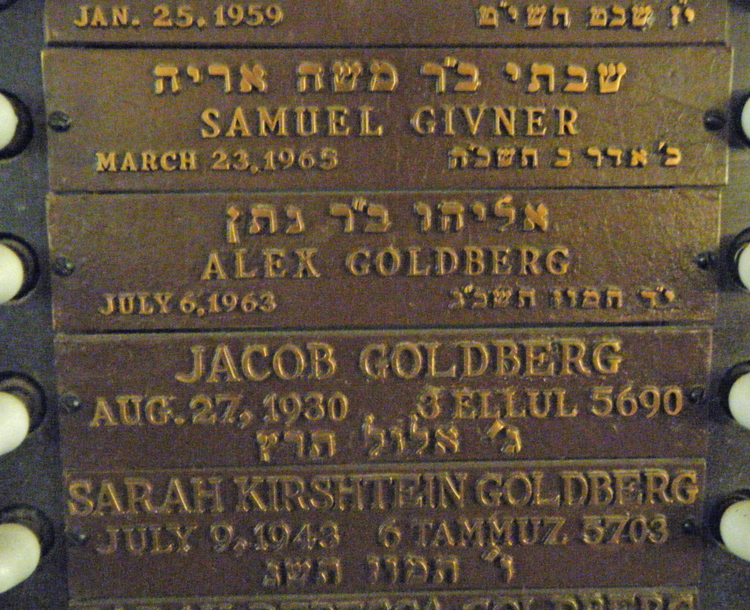 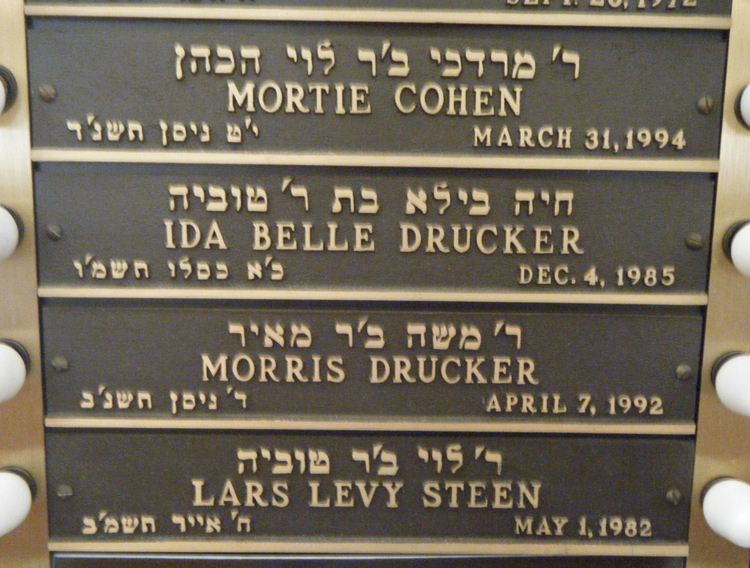 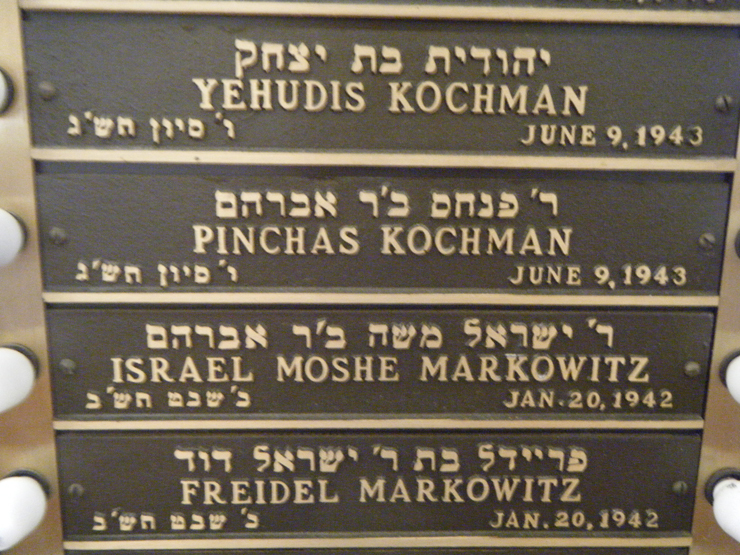 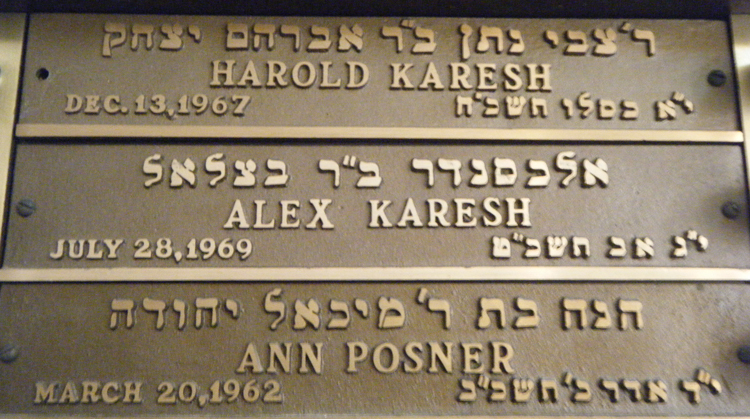 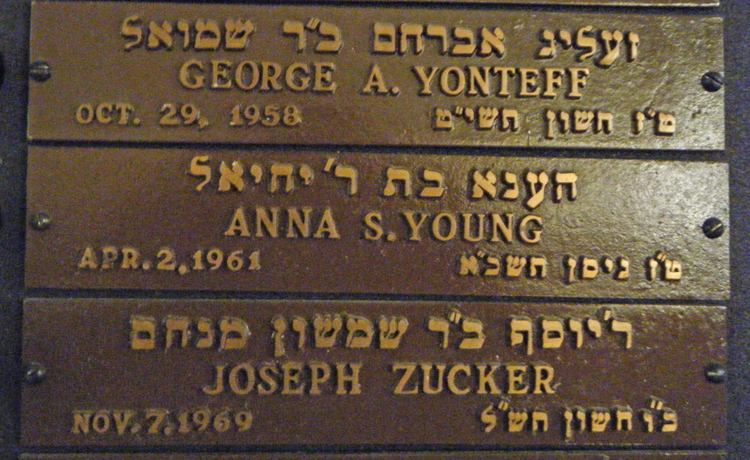 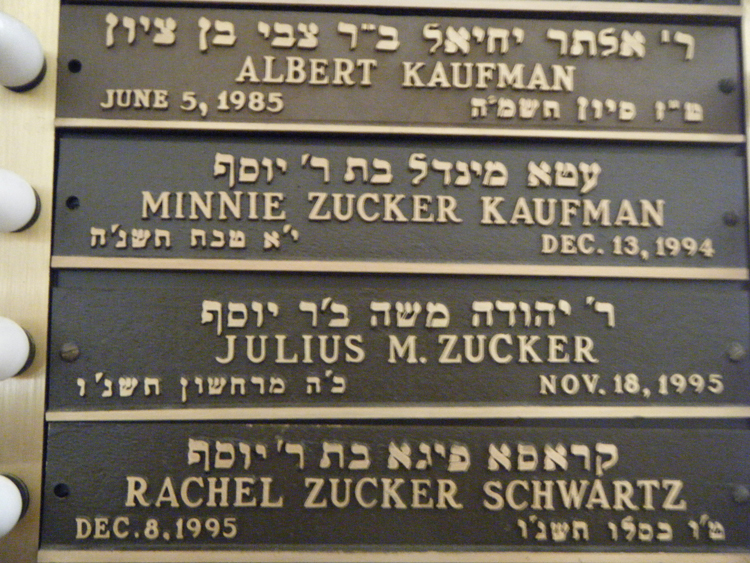 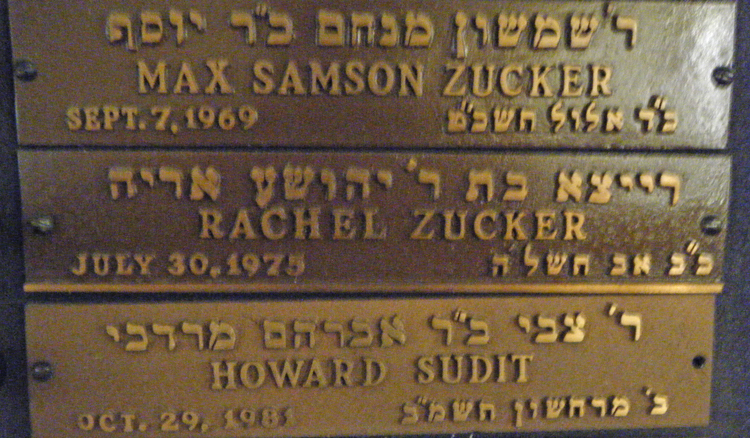 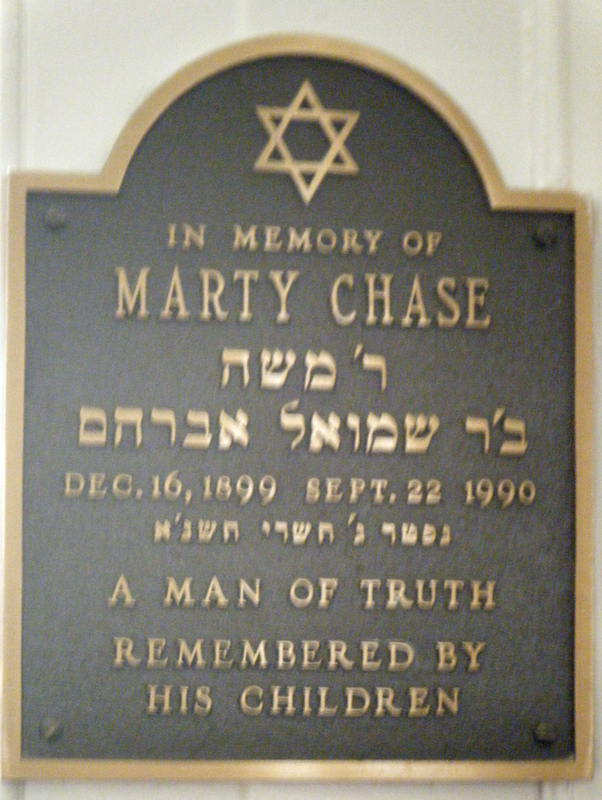 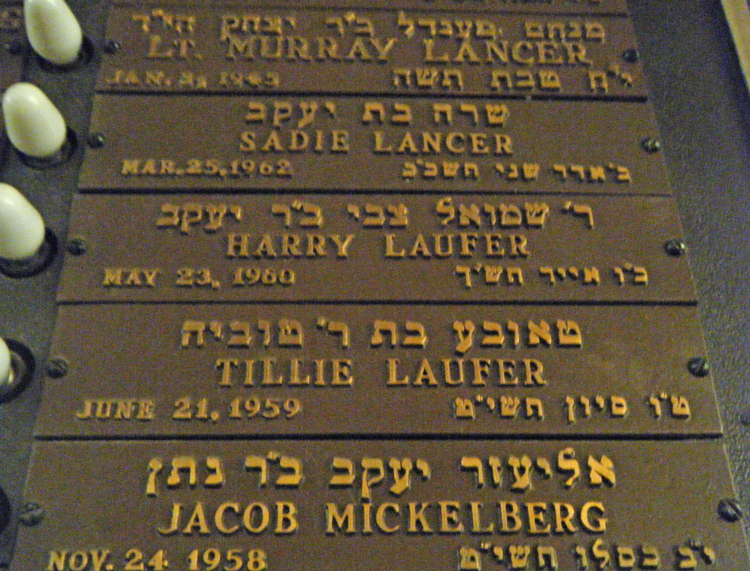 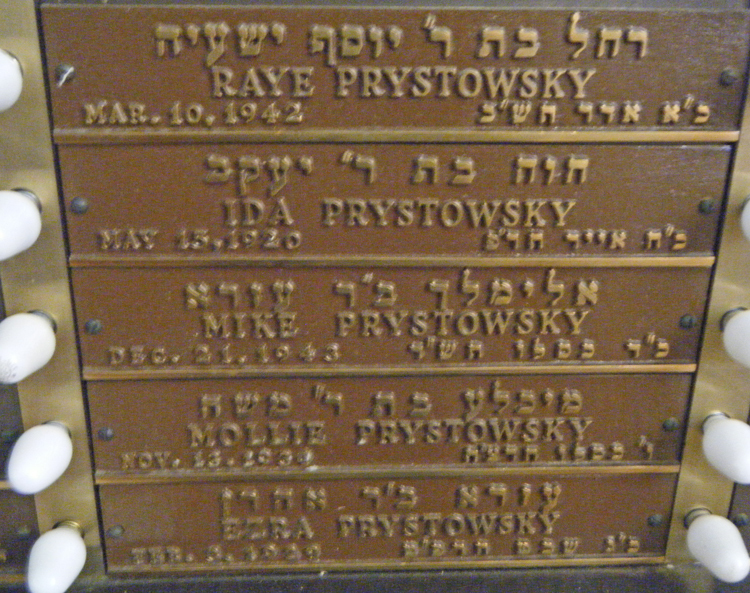 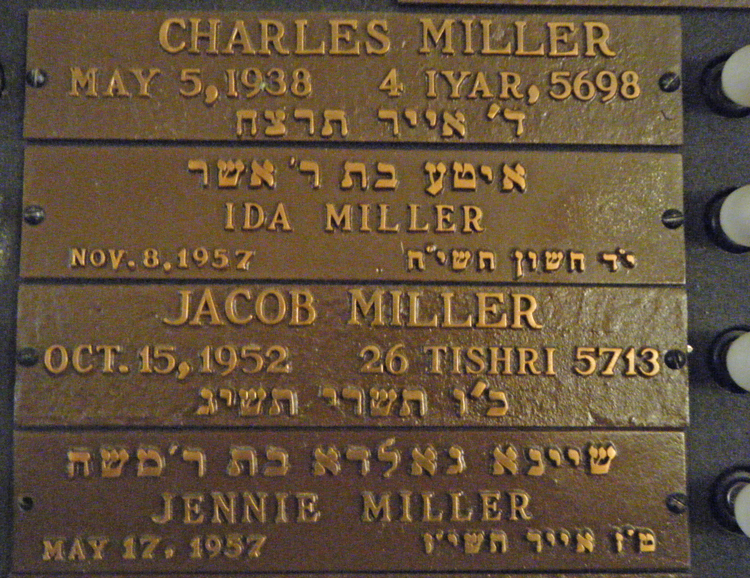 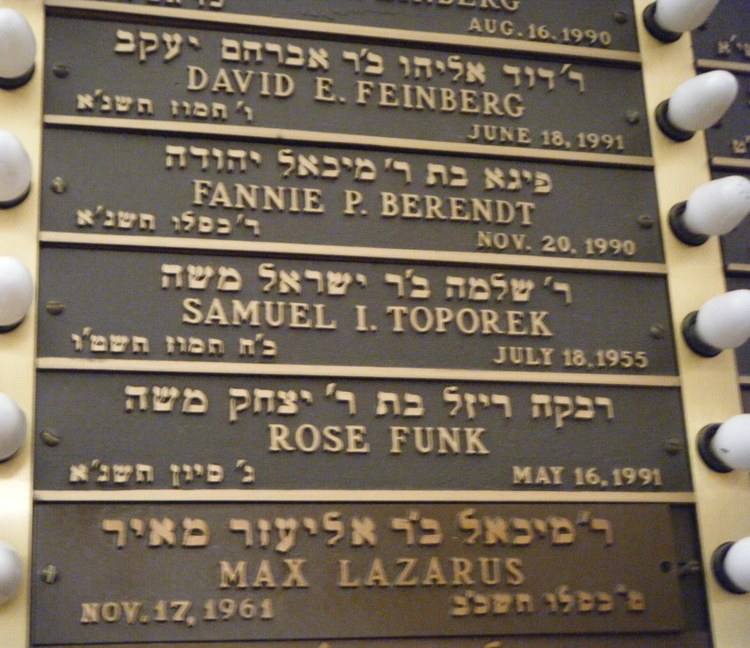 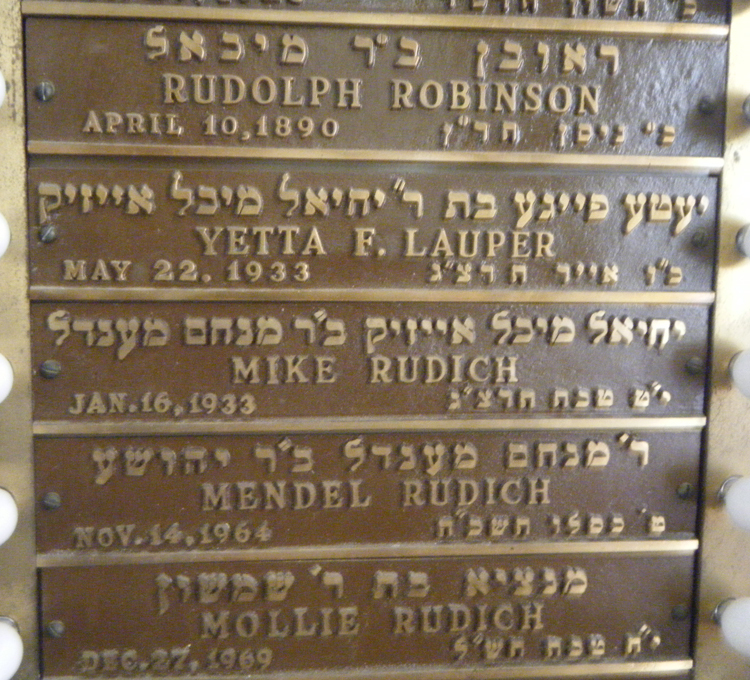 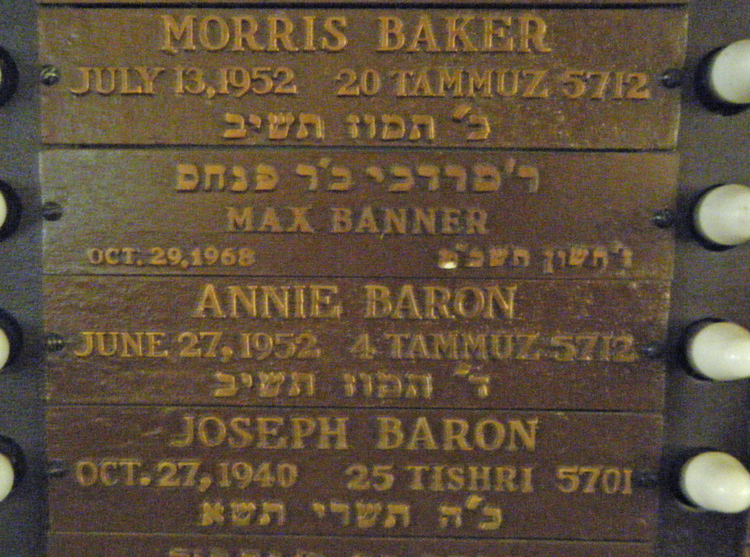 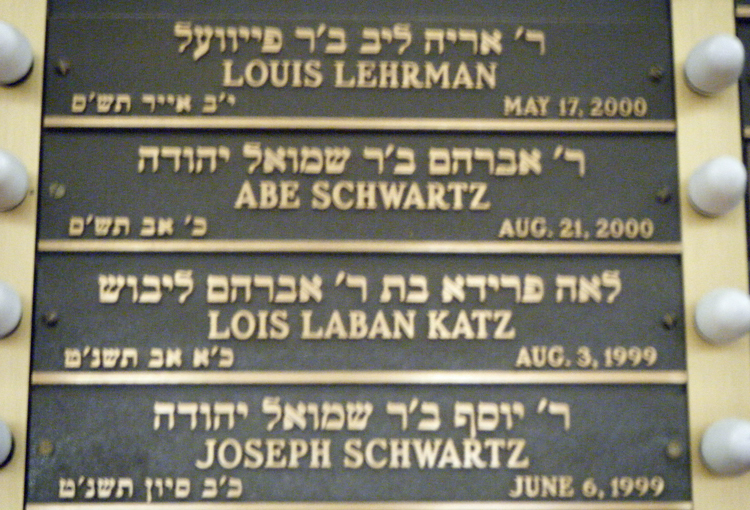 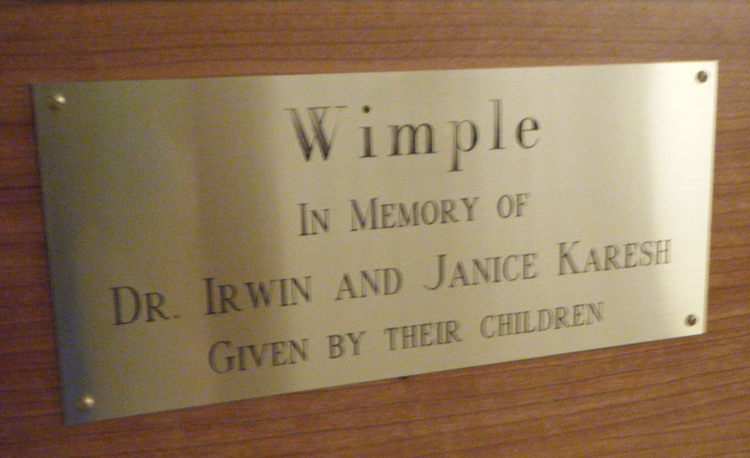 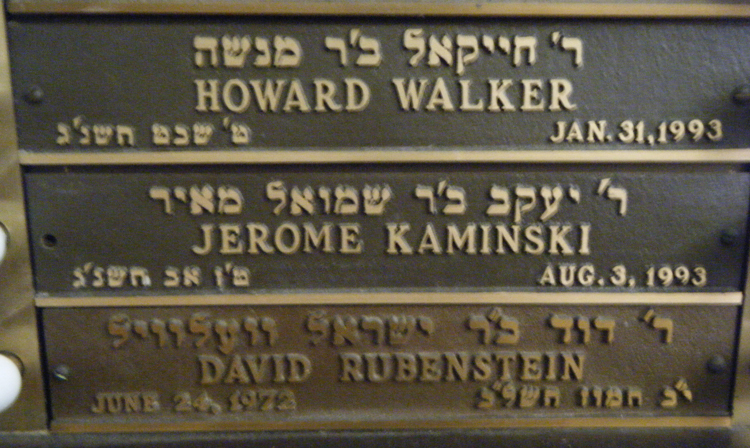 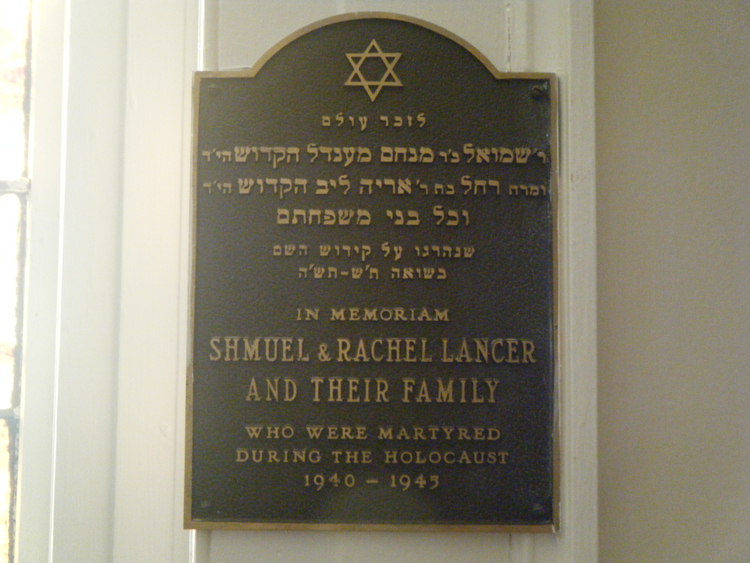 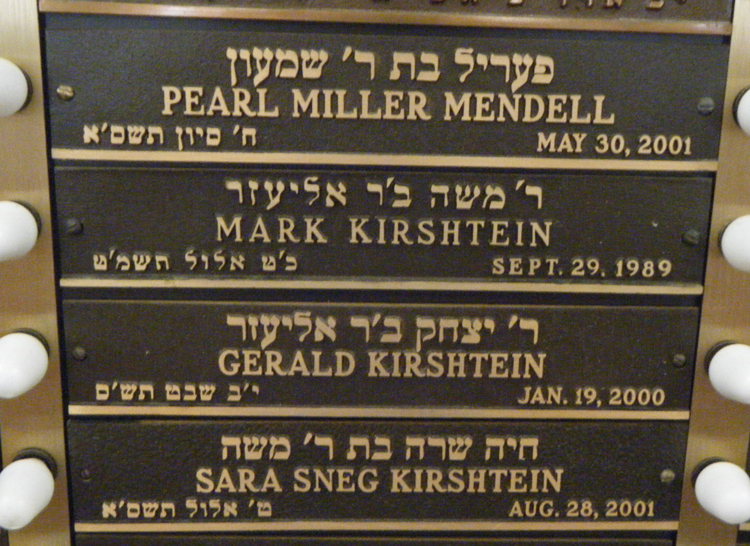 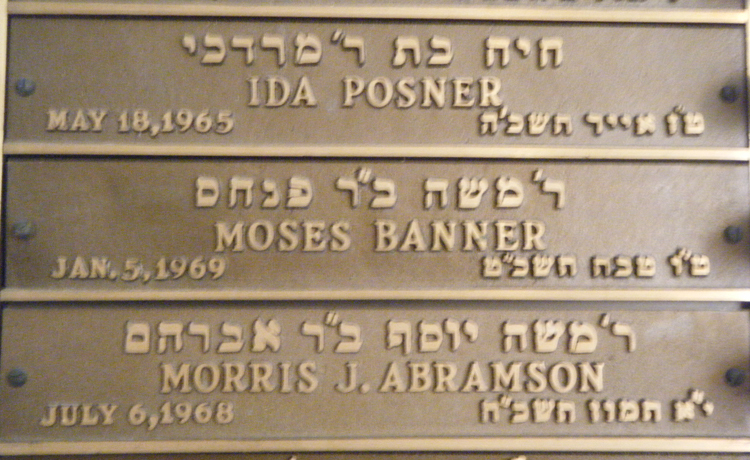 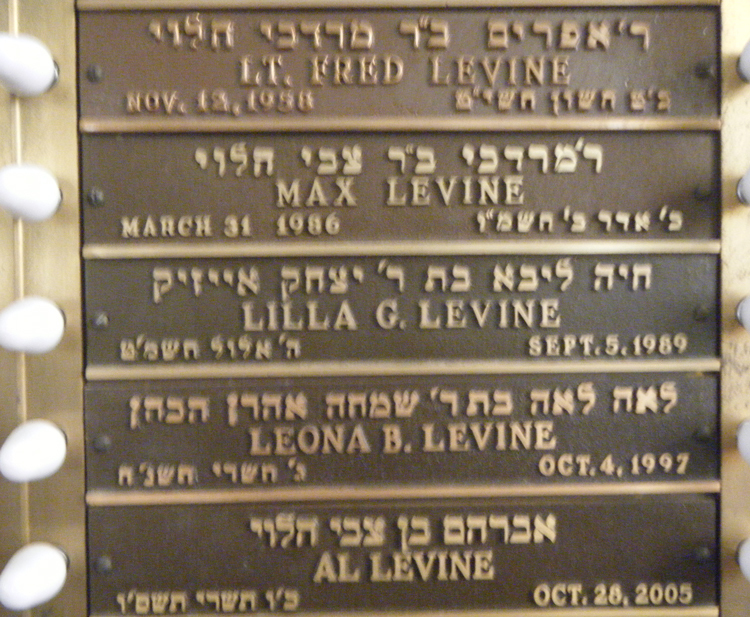 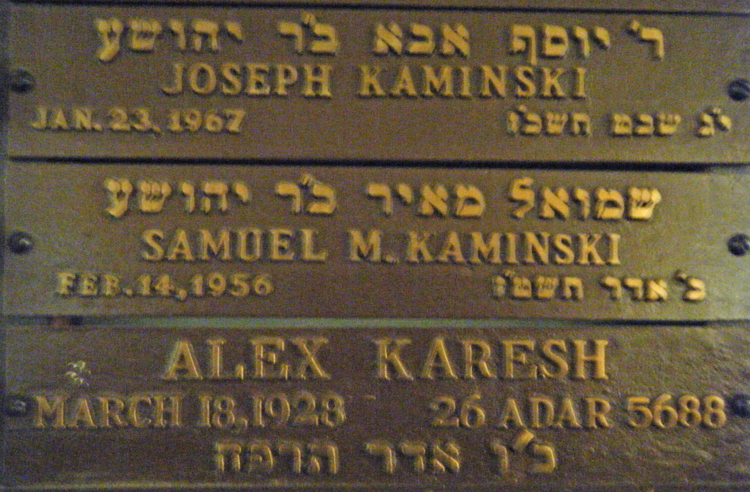 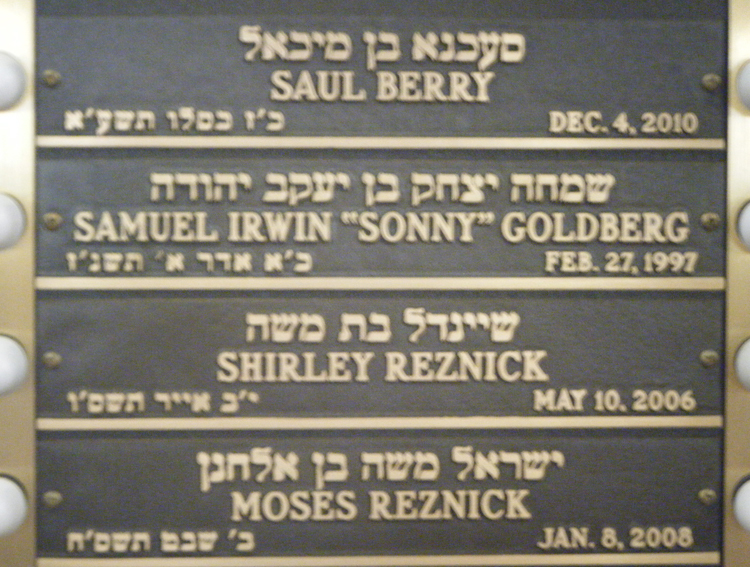 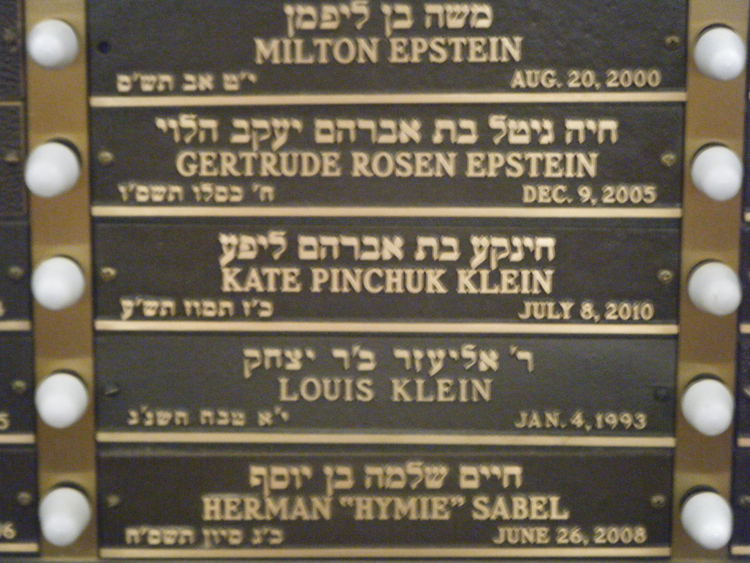 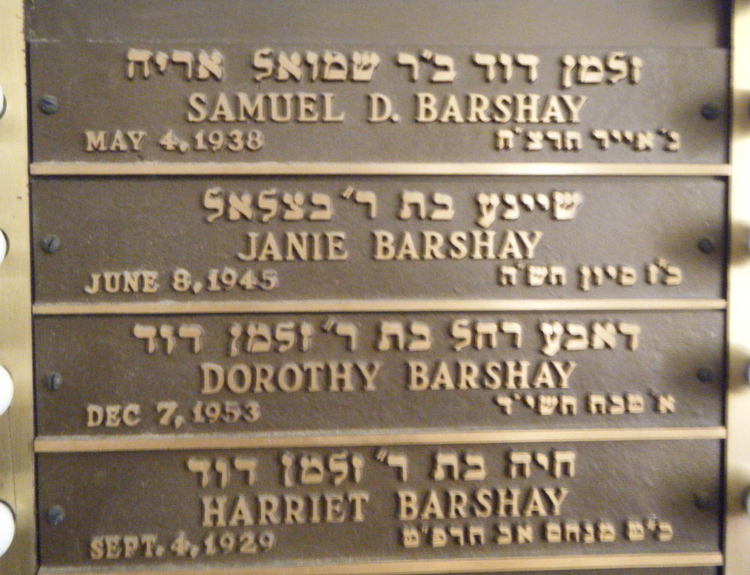 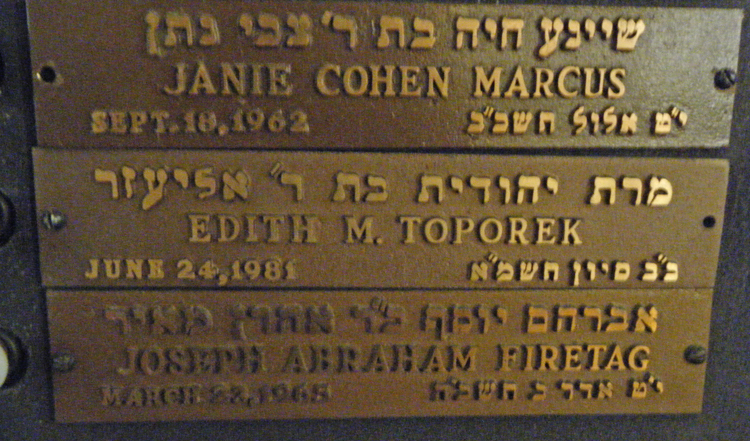 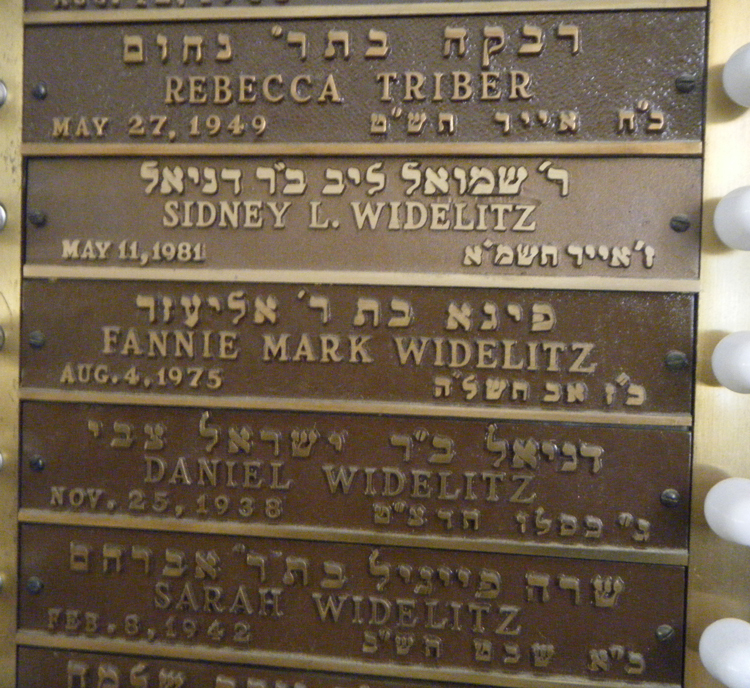 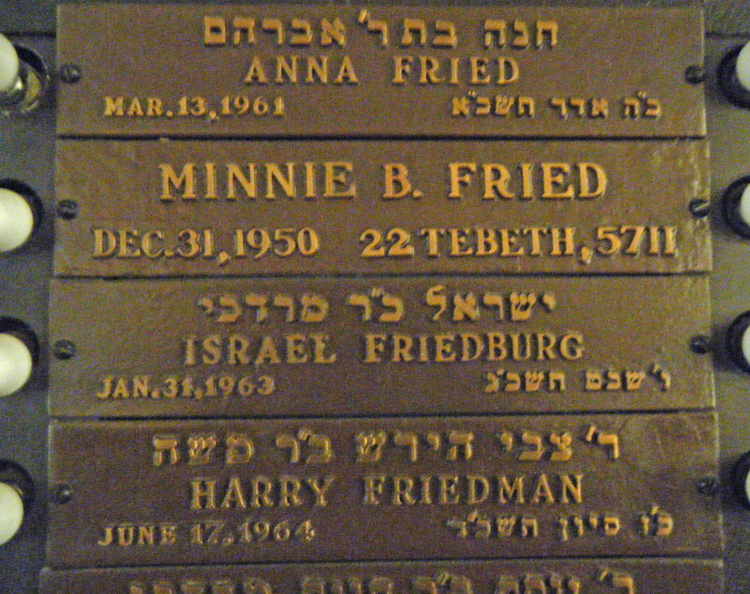 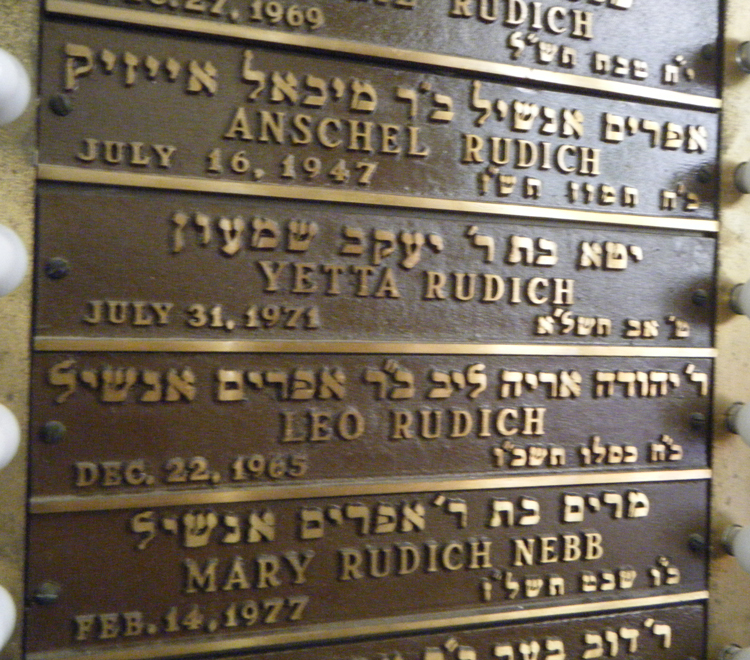 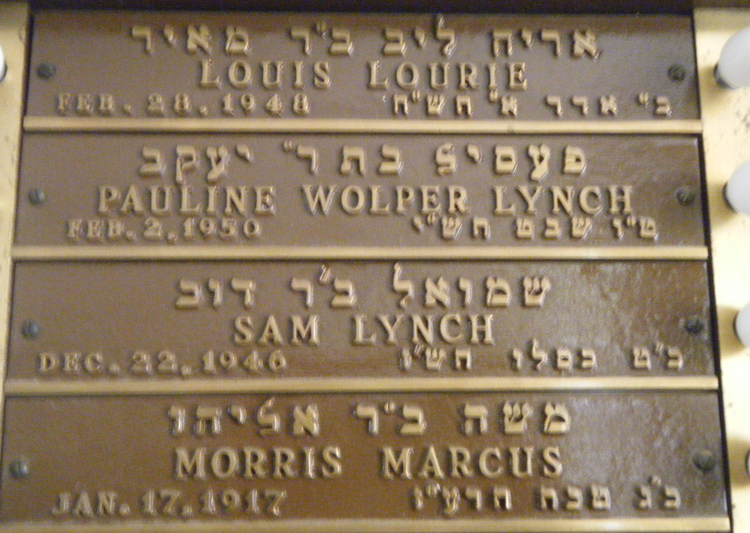 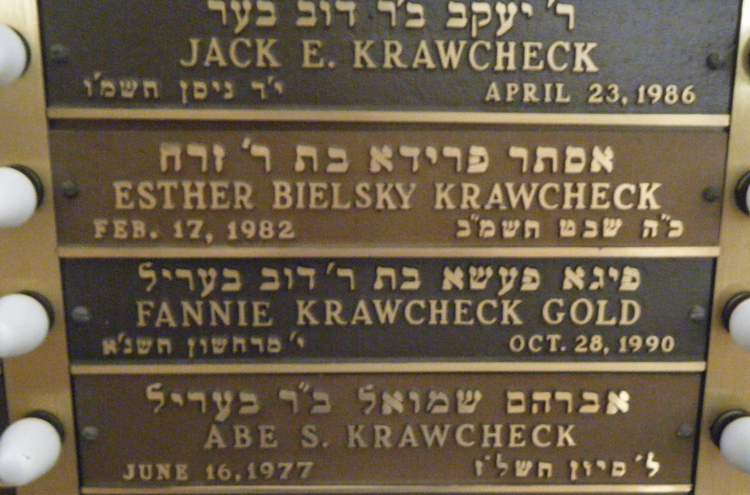 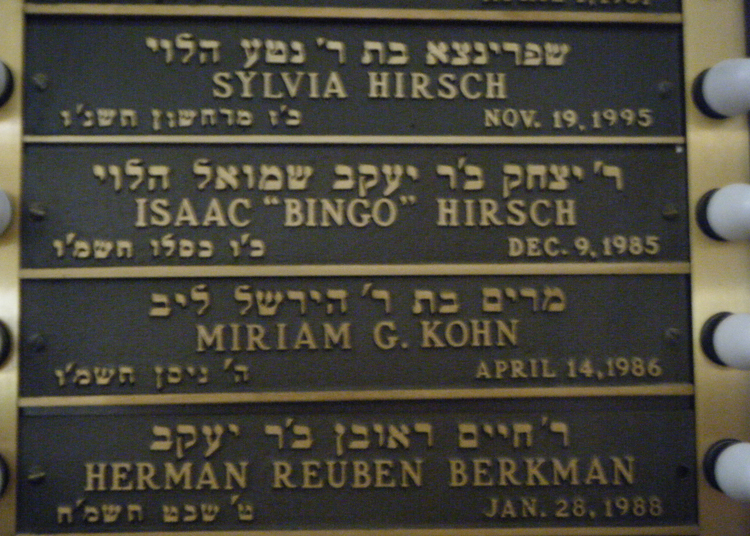 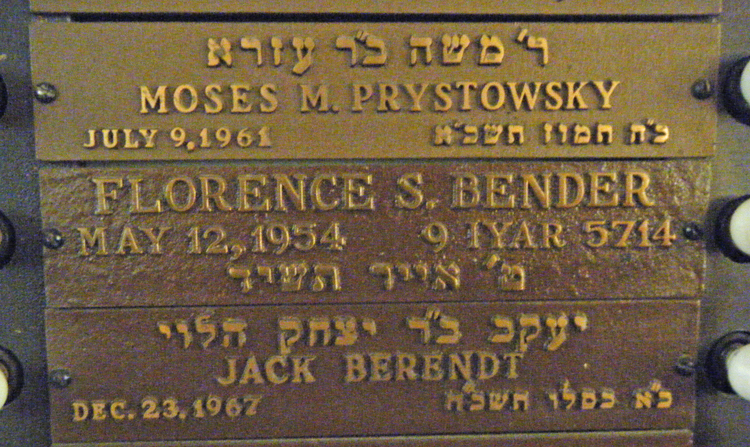 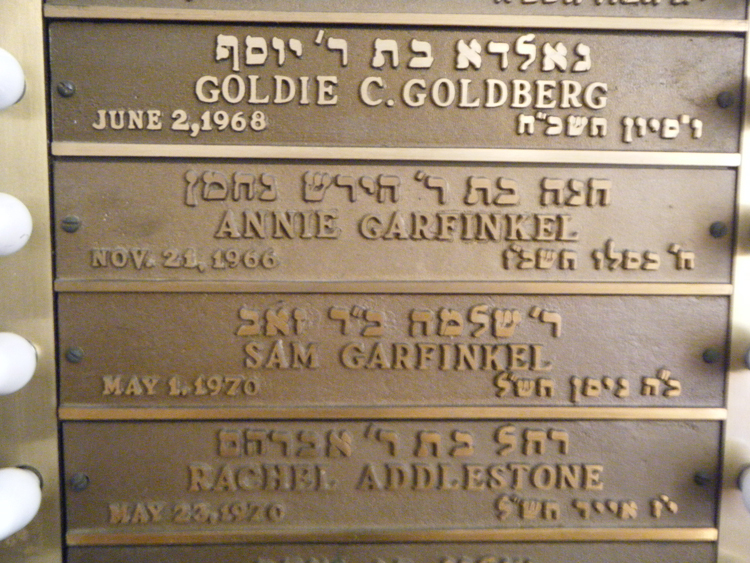 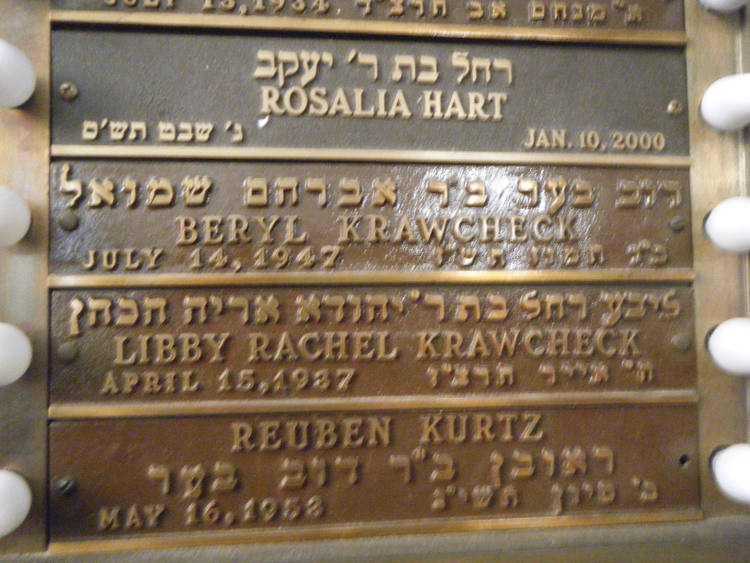 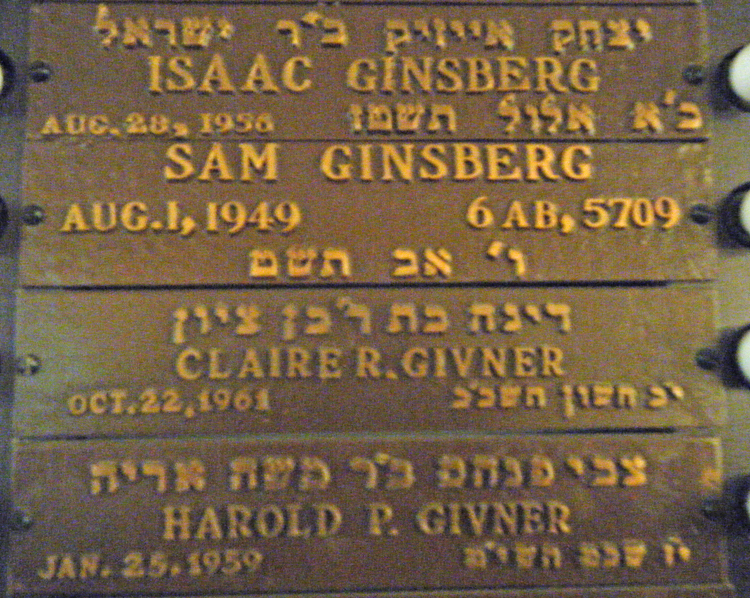 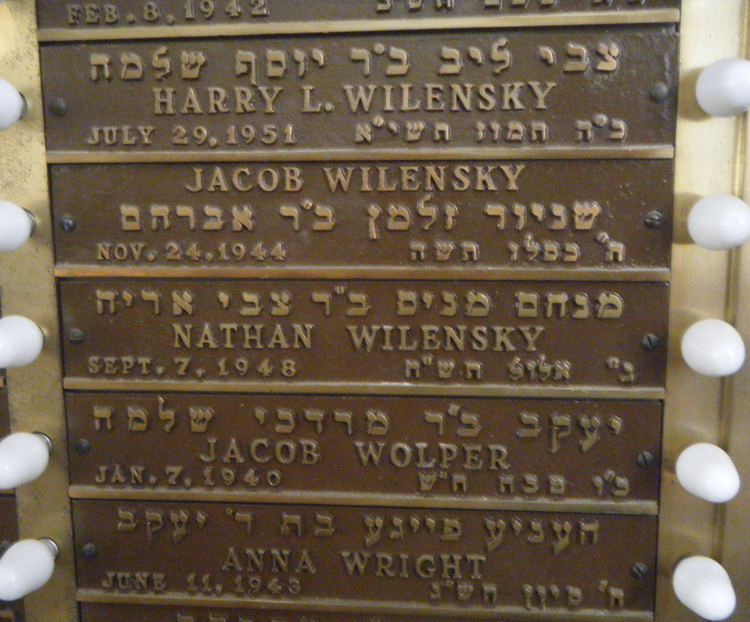 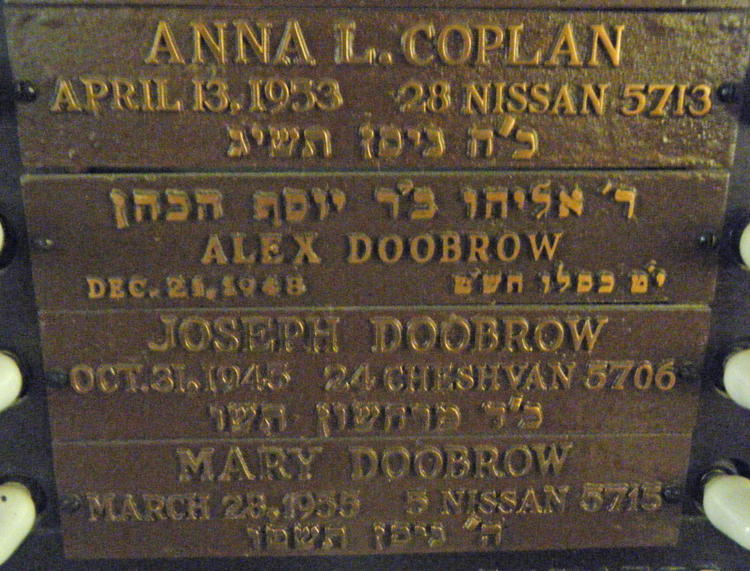 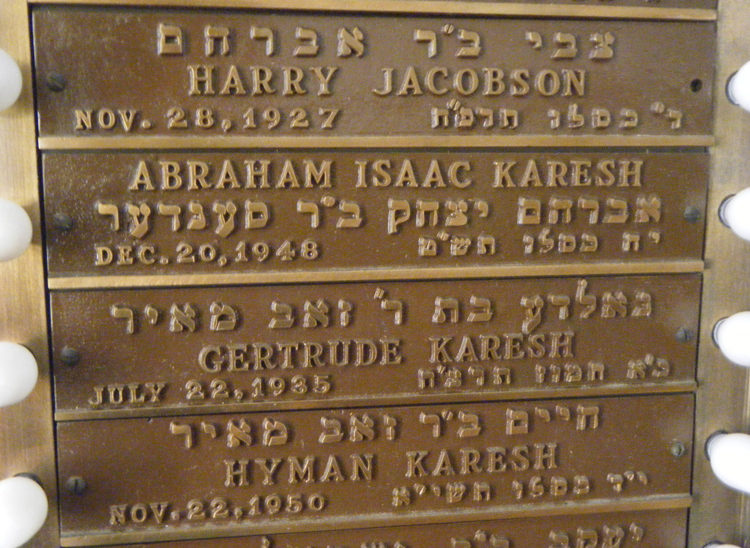 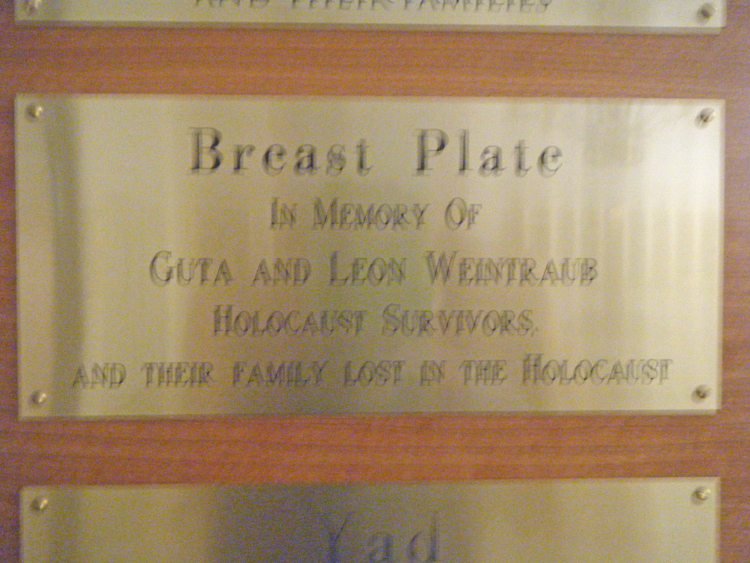 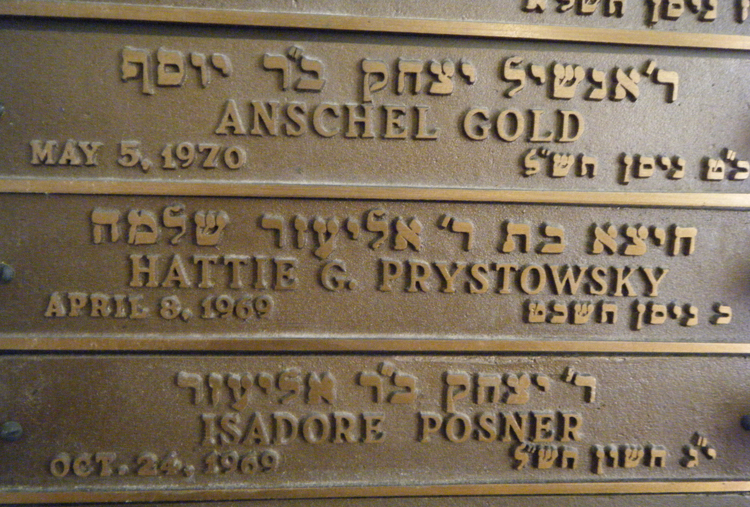 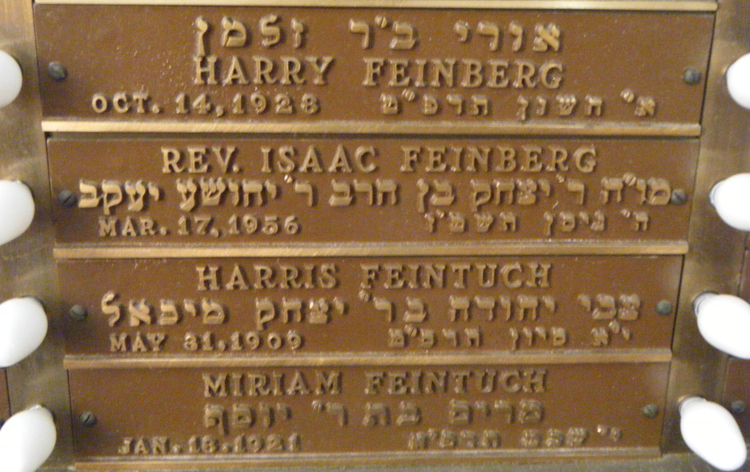 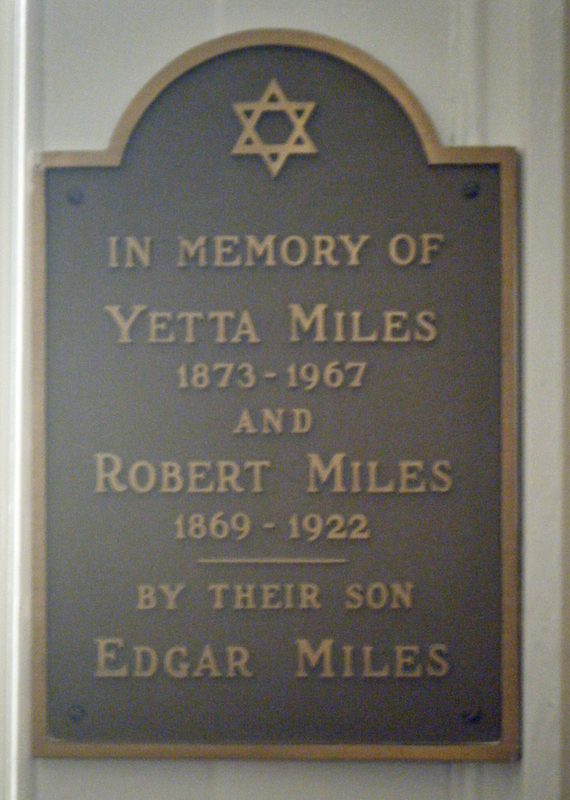 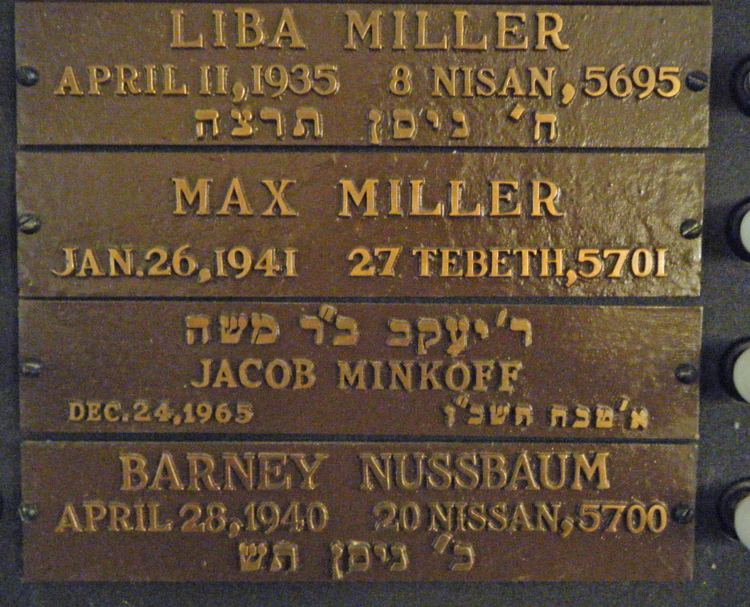 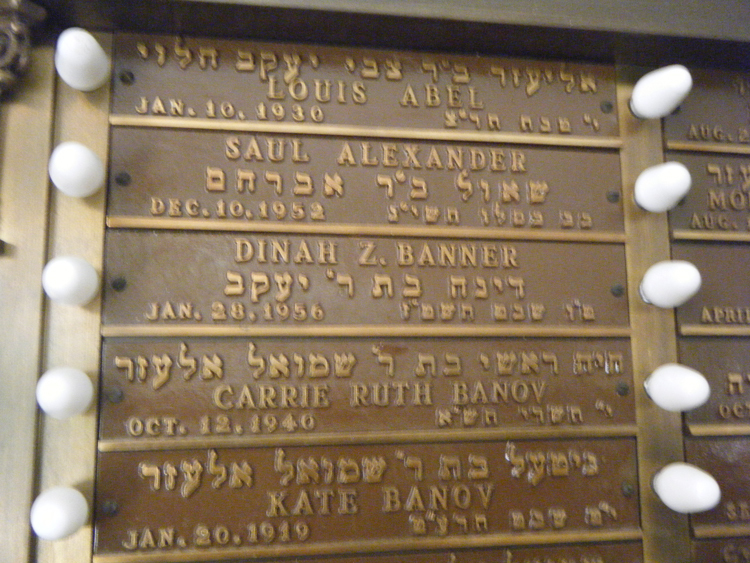 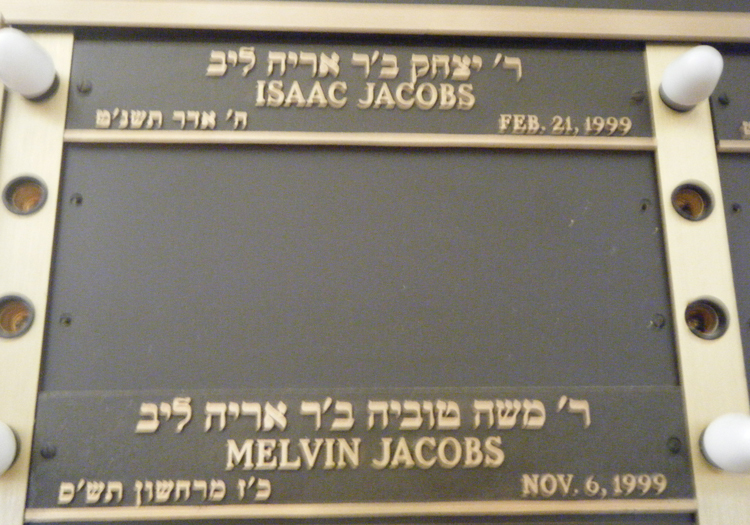 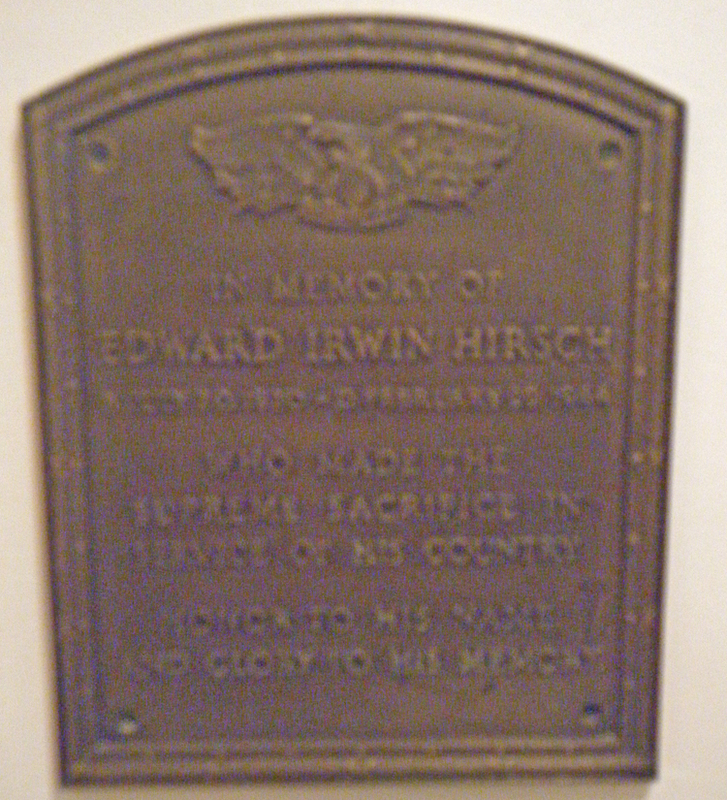 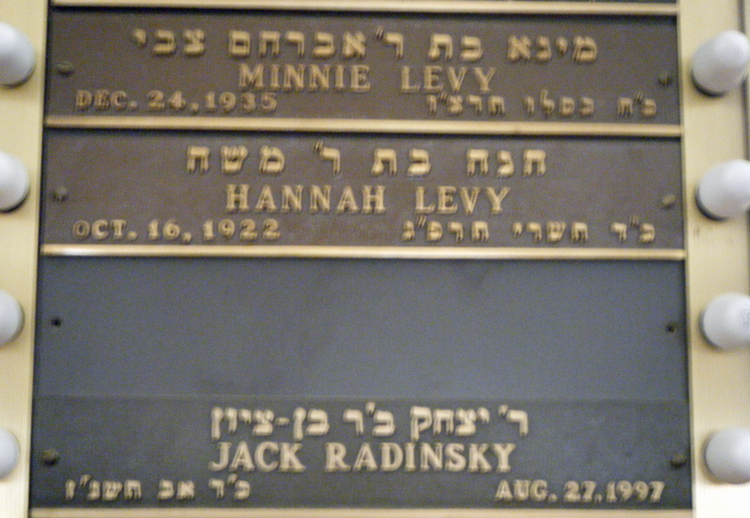 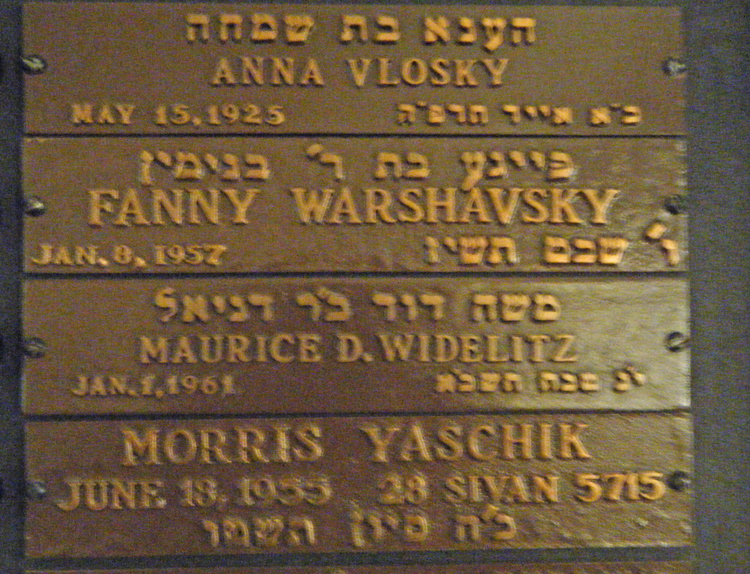 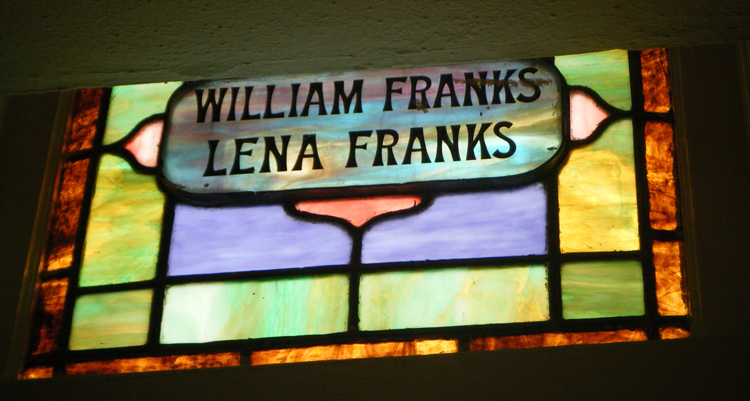 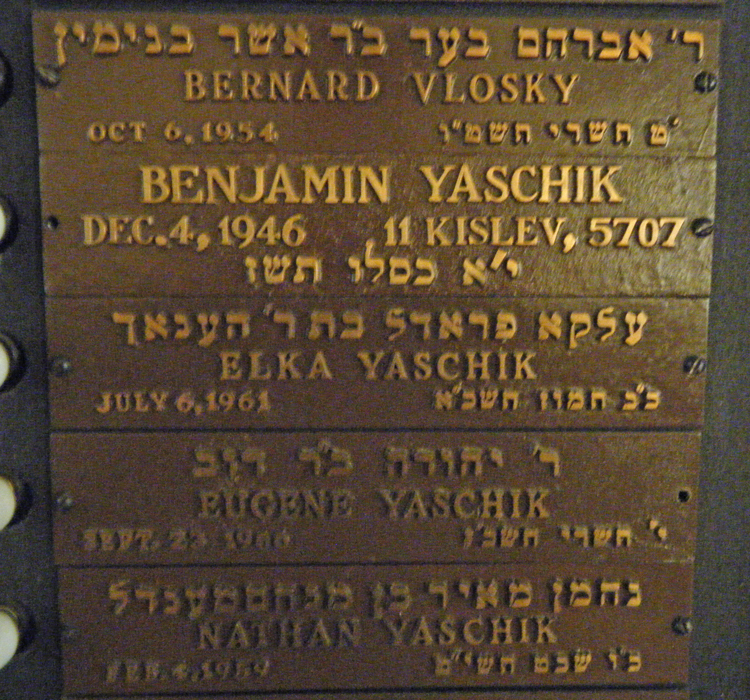 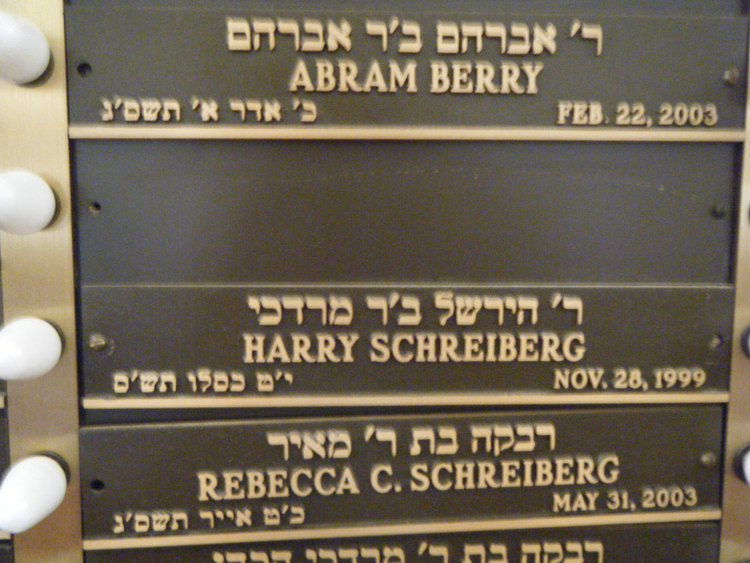 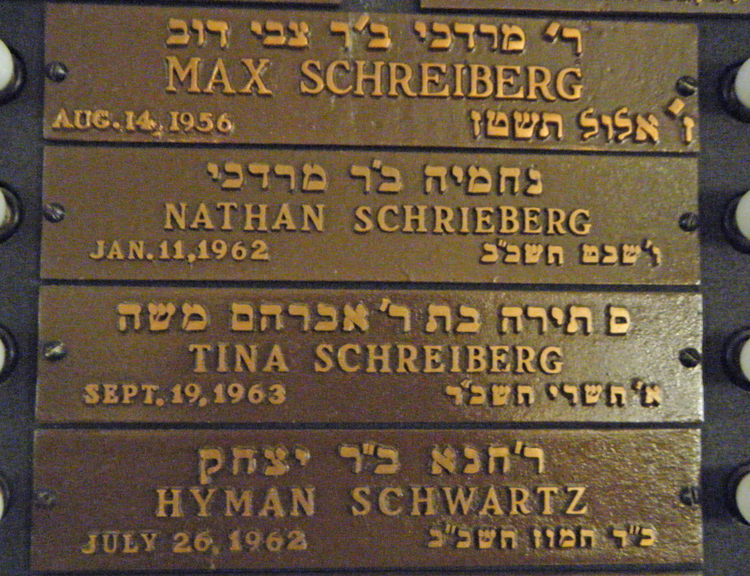 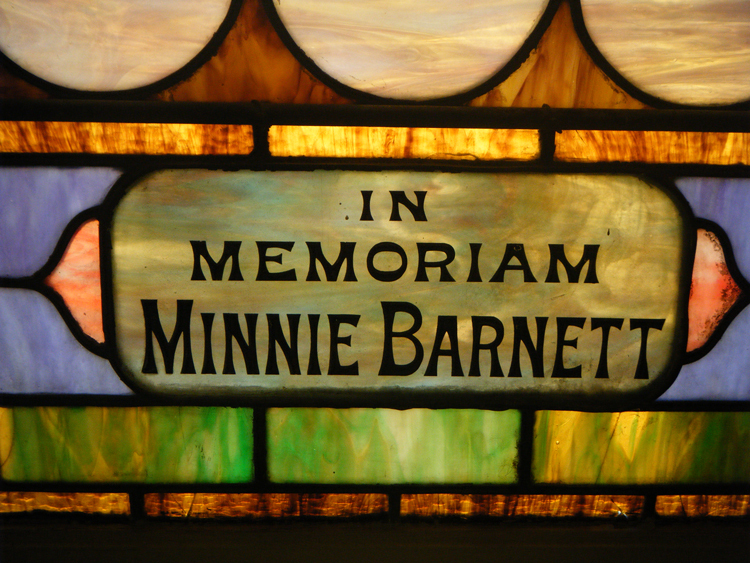 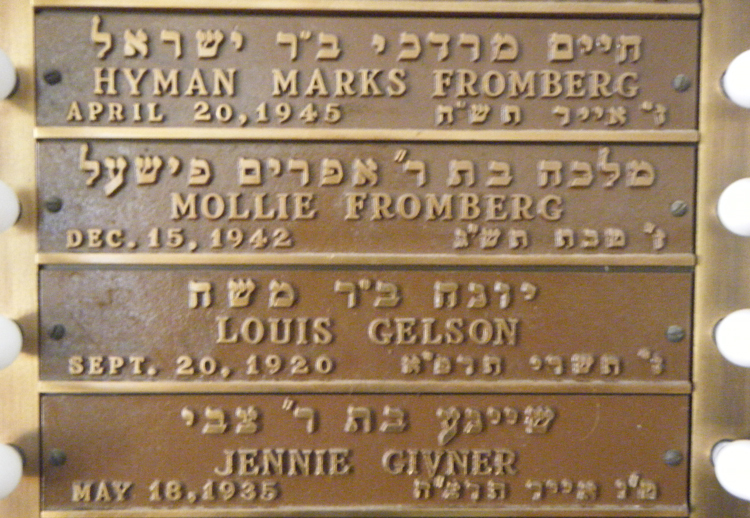 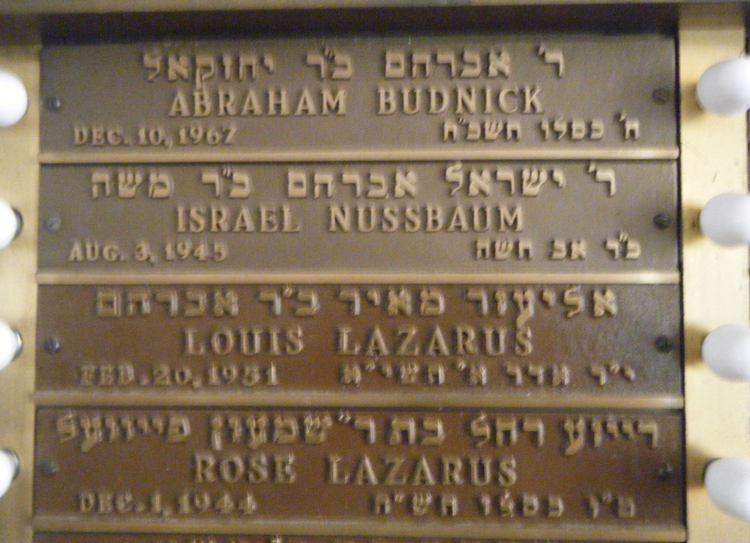 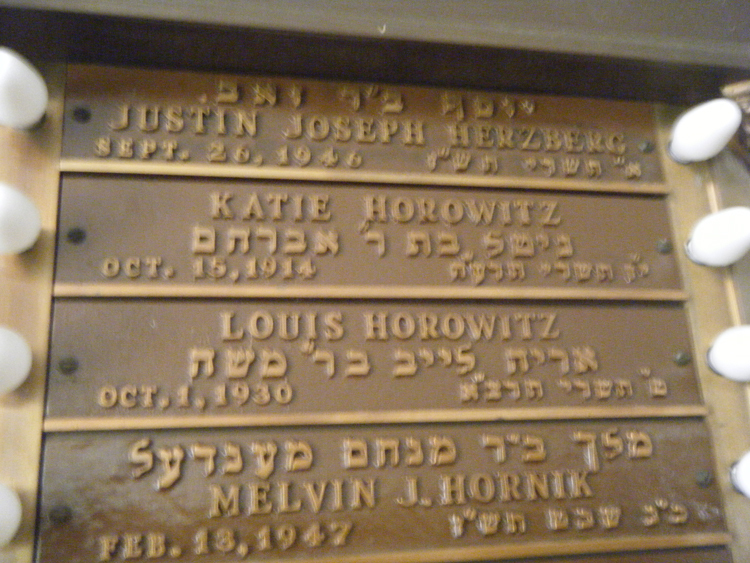 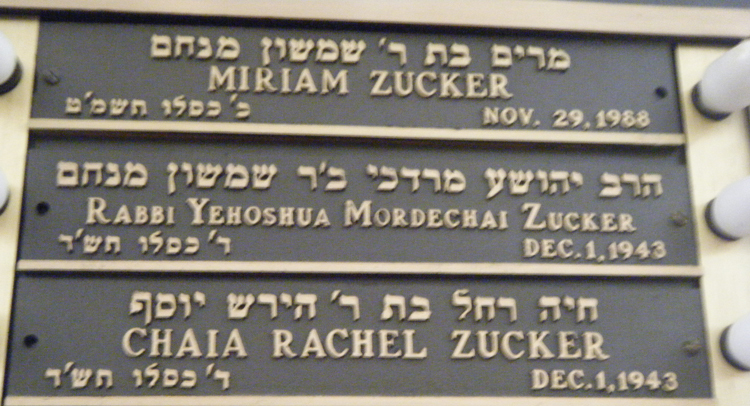 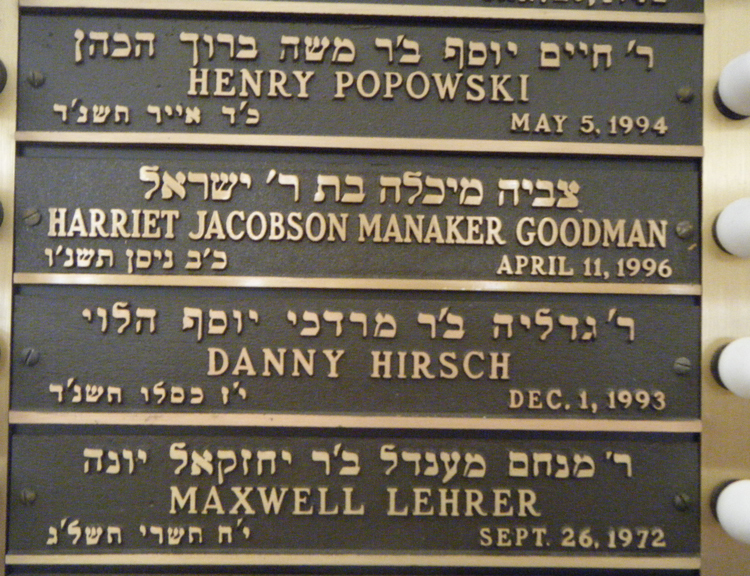 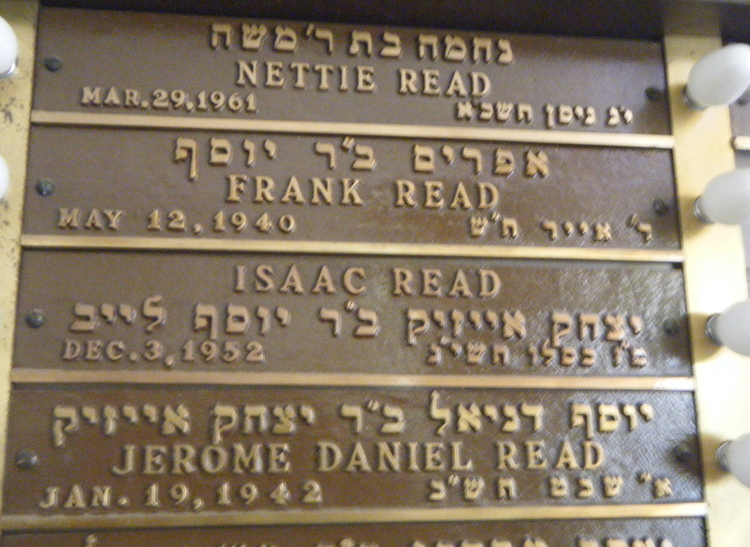 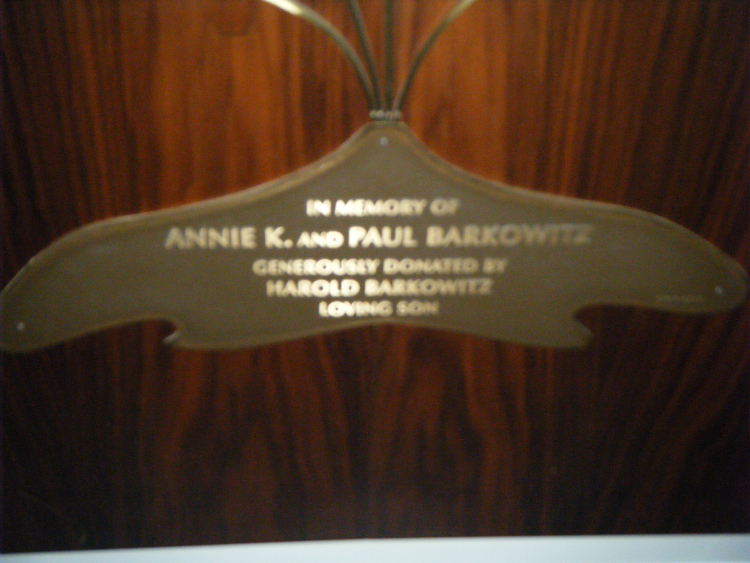 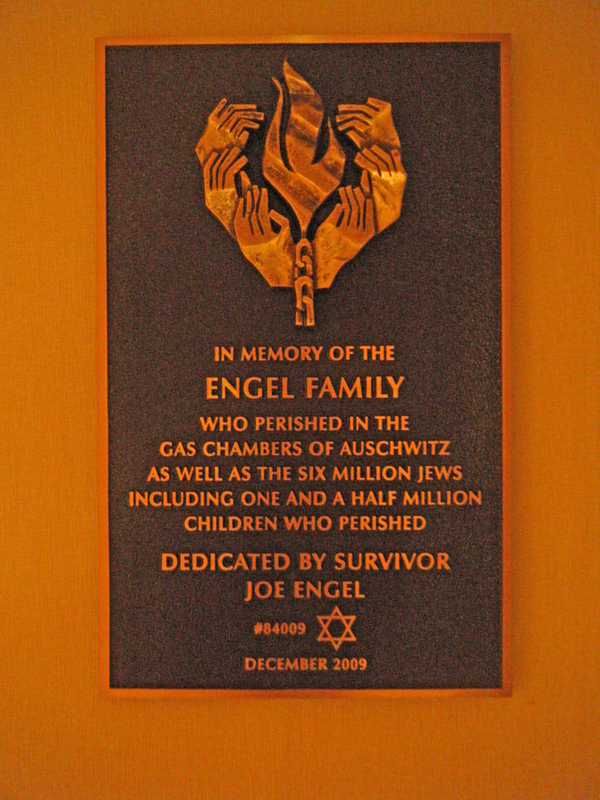 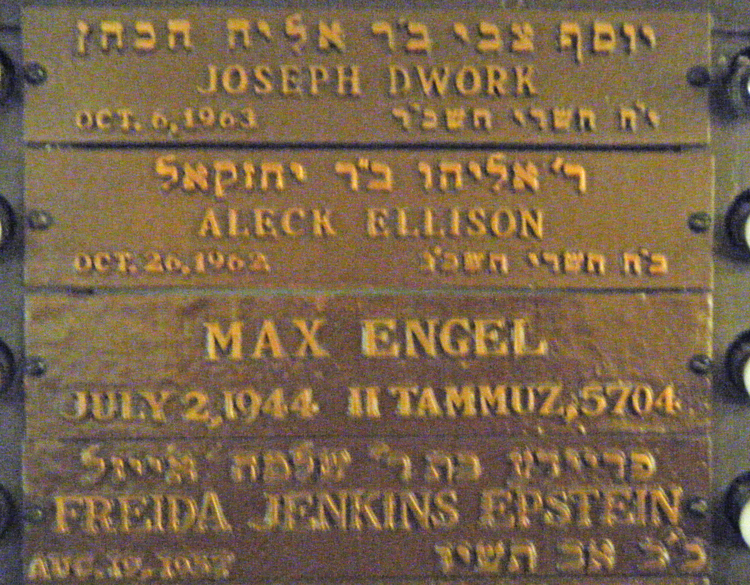 Names on these plaques do not mean person lived or is buried in Charleston SC.